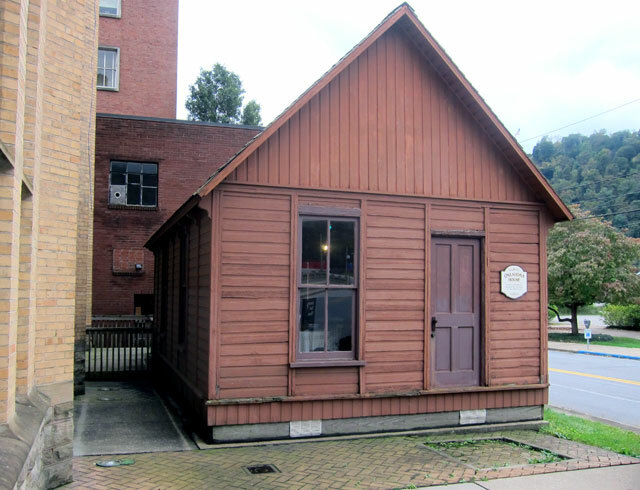 I have wanted to visit Johnstown, Pennsylvania, to experience the site of the May 31, 1889, flood since I read David McCullough’s The Johnstown Flood in the 1970s. This, his first book published in 1968, launched his writing career gaining him two Pulitzer Prizes. 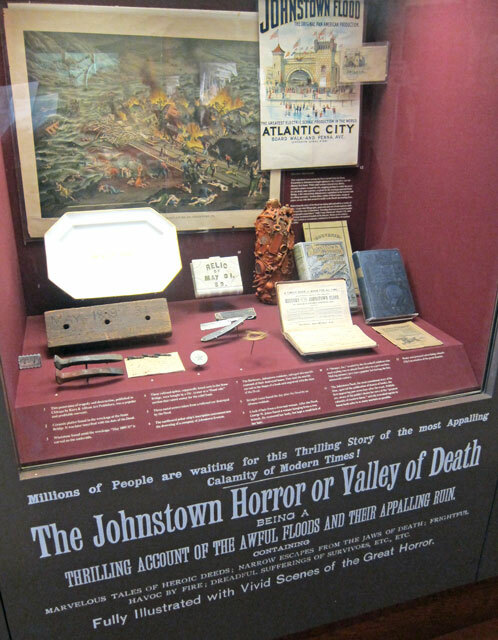 The opportunity finally came about, and I left home about 6 AM Saturday the 13th, arriving about 530 miles and 8 1/2 hours later at the Johnstown Flood Museum. Originally the library, it was refurbished after the flood by Andrew Carnegie. The buildings across the street (below) also are survivors from the flood. A company town in 1889, over 7,000 workers were employed by the Cambria Iron Company. 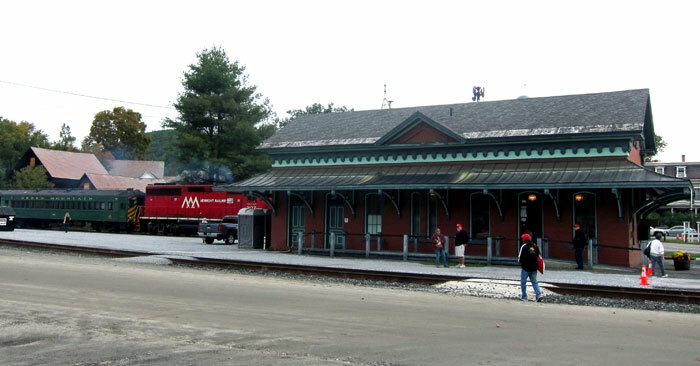 An important rail center, earlier Johnstown was a canal center beginning in 1834 with the completion of the Allegheny Portage Railroad which united the eastern and western sections of the Pennsylvania Canal by creating a number of inclined plane stations to haul canal barge sections on train cars over the 2,291 foot high point of the Allegheny Mountains that separated Hollidaysburg and Johnstown. 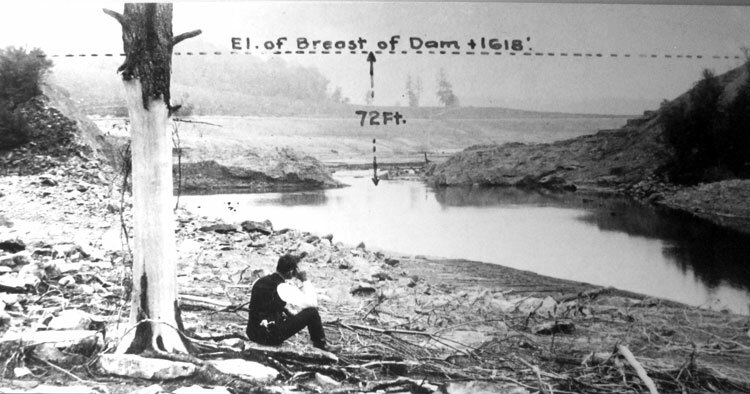 As was common in canal building for low water periods, a dam was built at South Fork, 14 miles from Johnstown, to create a reservoir to supply water when needed to the canal system. 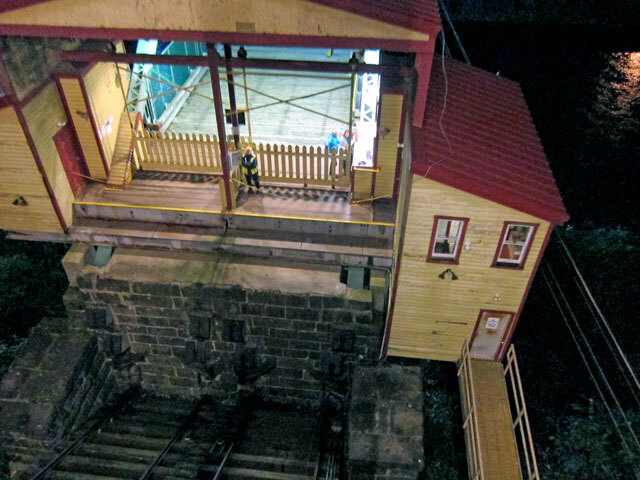 When the Pennsylvania Railroad was completed across the state in 1852 it made the canal system obsolete, and the newly finished South Fork Dam went into neglect. I started (as I usually do) with a wonderful introductory film, and then toured the main floor exhibits. Not much there, but a solemn tribute to the 2,209 lives lost in about 10 minutes as the 40 foot wall of water swept through the valley. This display showed souvenirs of this news sensational event that captured the world’s attention. See what looks like a bottle in the middle? 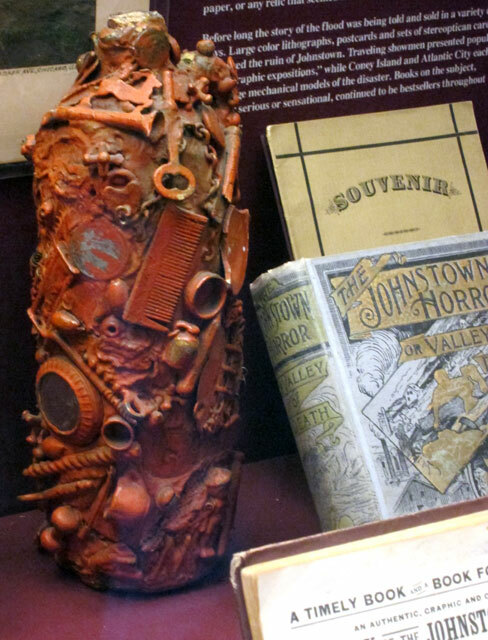 It is a “Memory Jar.” A popular fad during the late 19th century, On this bottle the Overdorff children affixed relics of the flood to the bottle with red sealing wax. You know I like to share things you probably know nothing about – and I didn’t either. 310 pre-fab houses that were heading to the Oklahoma Territory for homesteaders were instead shipped to Johnstown for shelter. 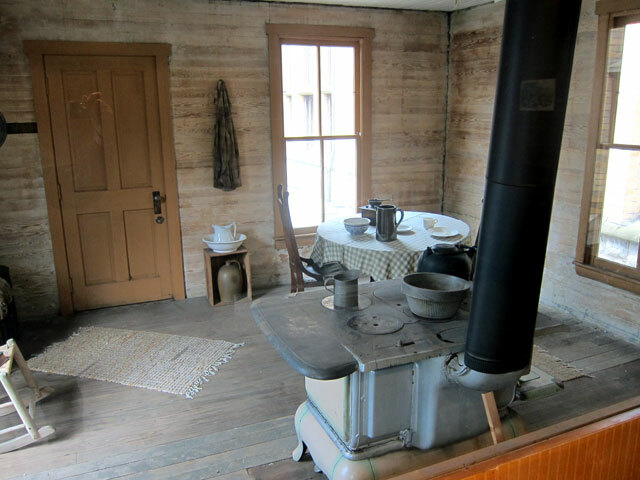 Manufactured in Chicago, the 1 1/2 story “shanties” came in two sizes: 16 by 24 feet and 10 by 20. 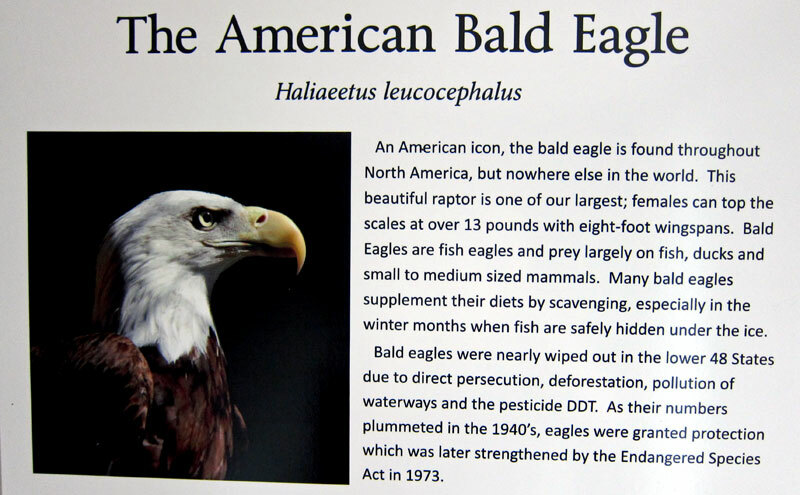 One survived to this day, and was relocated outside of the museum. 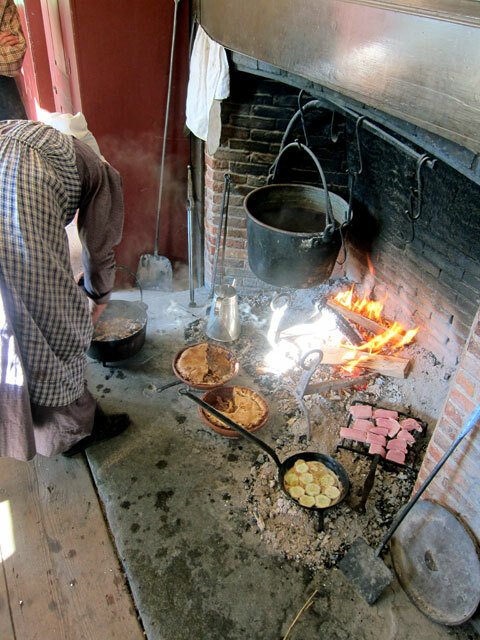 This surviving example is significant showing the living conditions of an affected worker after the flood, and as an example of one of the first examples of ready-made housing in the US. It was 5PM, so I headed to my B&B, got settled, and asked for a dinner recommendation. 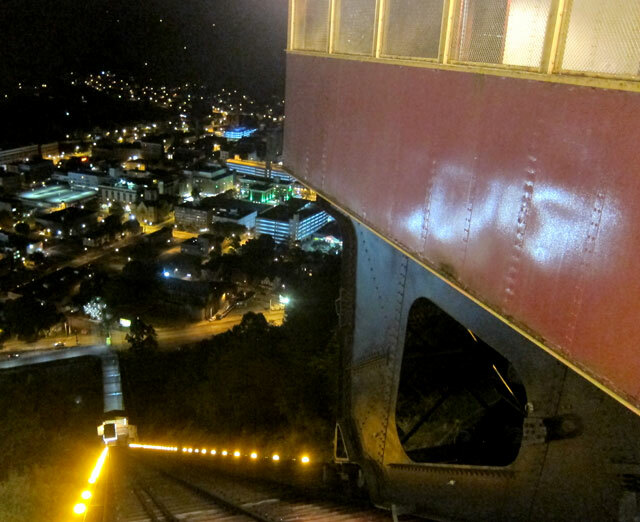 I wanted to ride the Johnston Inclined Plane, built in 1890 and the steepest vehicular incline in the world, and my hostess told me her favorite restaurant was at the top of the incline. Off I went. 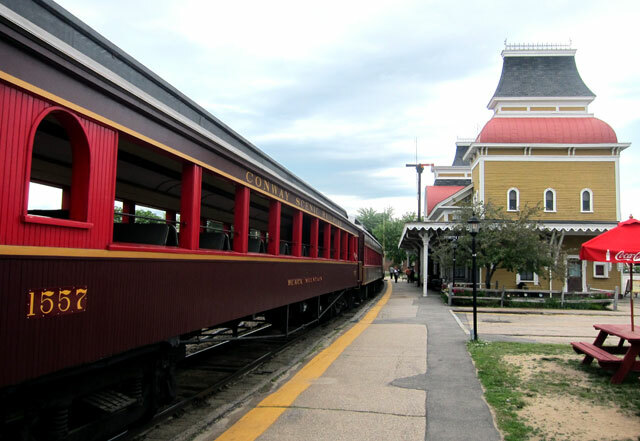 when originally built, the large car was double decker with room for horses, wagons and carriages on the main floor, and passengers on the second level. Now there is room for two cars end to end, and a passenger room on the side. 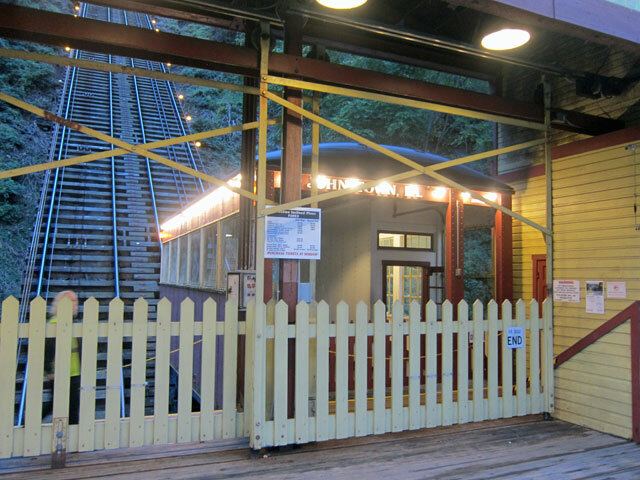 and, sharing my ride with you – enjoy this video (I am wrong in the video, it was the 1936 flood when 4,000 were taken to safety on the incline). 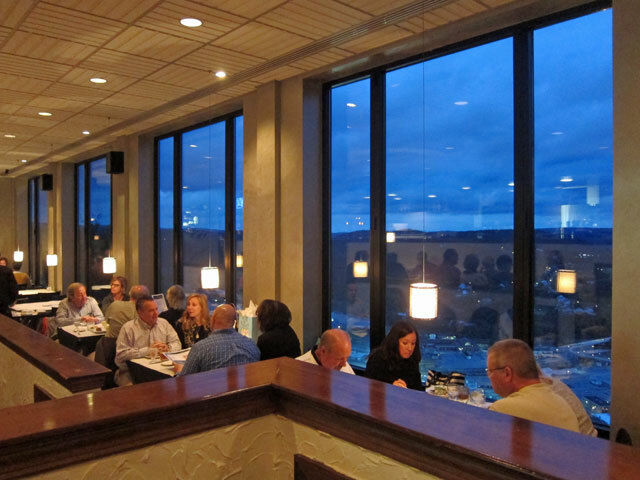 Chatting with the hostess at Asiago’s Tuscan Italian restaurant atop the mountain, I was seated at the best table overlooking the dining room and city below. 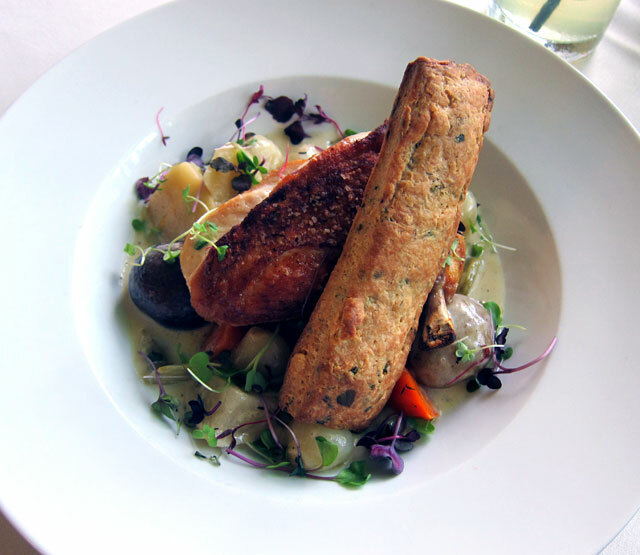 The operator of the Inclined Plane told me I had better have the bubble bread appetizer which I did – AMAZING, and when looking at the menu my choice was simple – Tuscan Chicken. 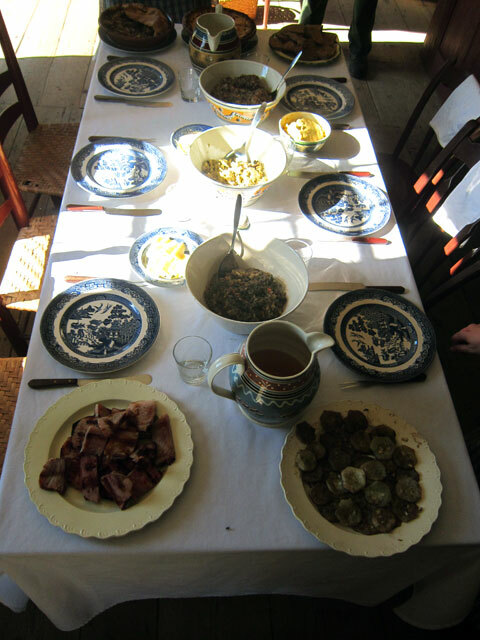 You may know my daughter-in-law is Tuscan from Cortona. and arriving back at the lower station there was not a bump, a jerk, nor any noise – just a smooth landing. Awakening on Sunday, I had a packed plan before arriving in Pittsburgh by 4 for an exciting week long program you will eventually read about. I first drove back up to Westmont (the high end of the Inclined Plane) to visit Grandview Cemetery. 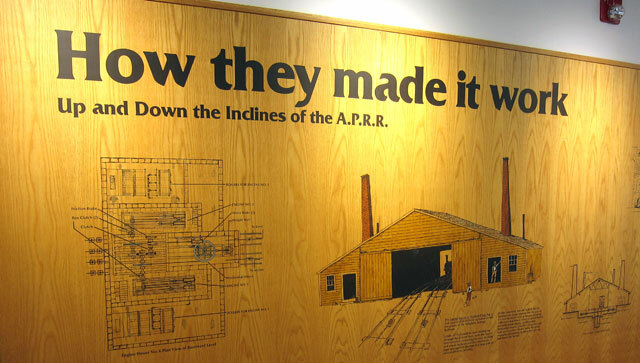 As a company mill town, the Cambria Iron Company began developing the mountain top for housing, and the Incline Plan to move workers to and fro. 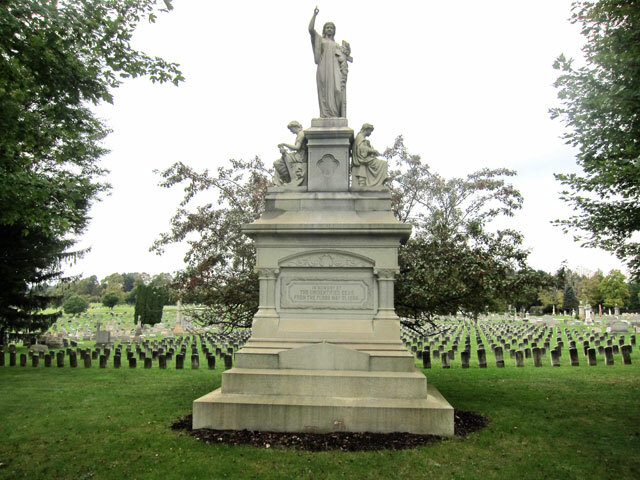 A cemetery was planned, and sadly immediately became the final resting place for flood victims, including the unknown persons buried behind this monument. 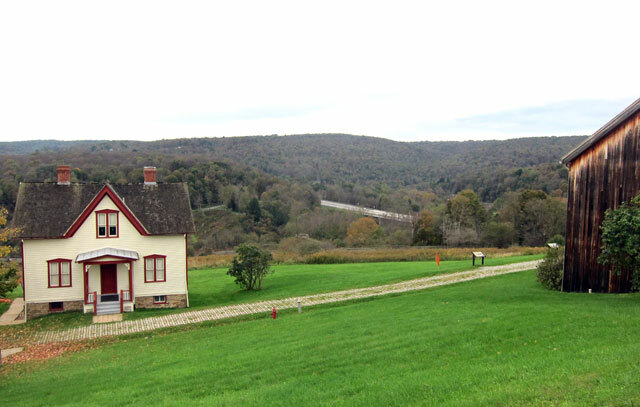 Next I headed to South Fork, the site of the failed dam, which is now the Johnstown Flood National Memorial. 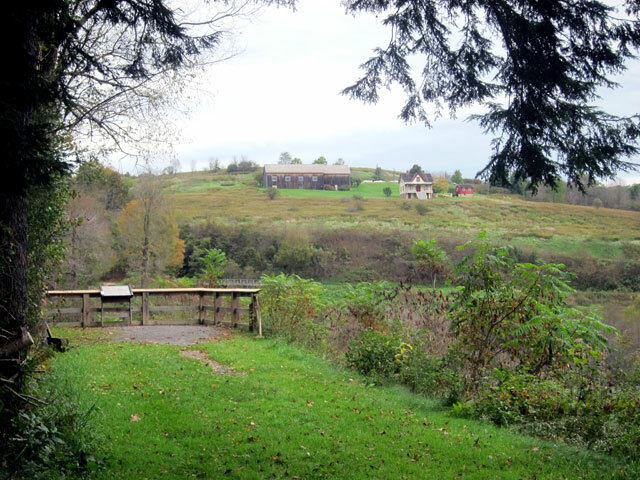 In 1879, a group of wealth Pittsburgh industrialists (including Andrew Carnegie, Henry Clay Frick, and Andrew Mellon) purchased the defunct reservoir and surrounding area and formed the South Fork Fishing and Hunting Club. It was the retreat from the dirty city for 66 members. 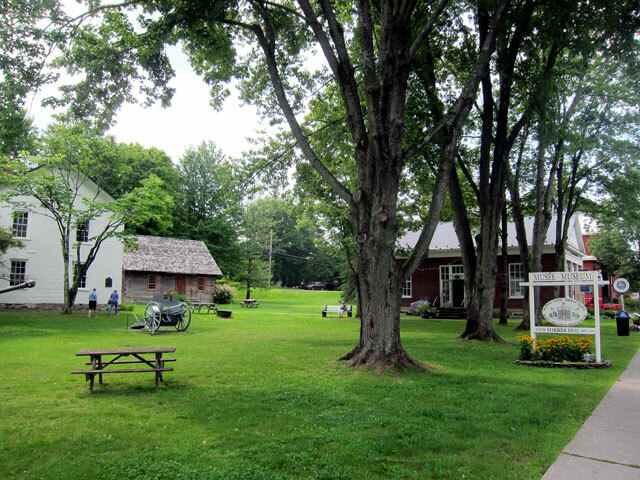 A large clubhouse and 16 cottages were built for the club (nine remain). 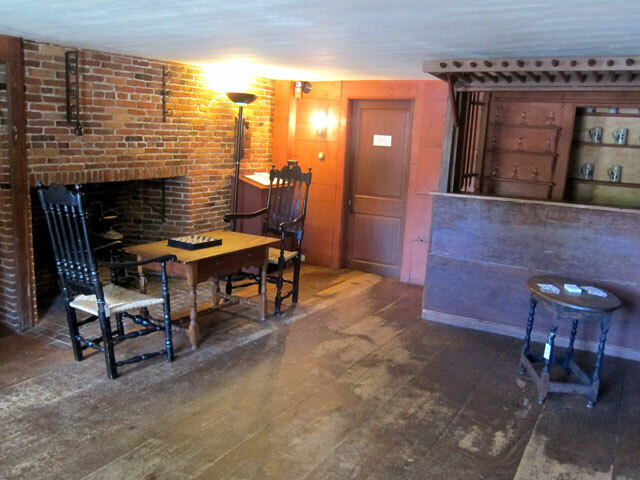 Below is original home of President, Elias J. Unger, and the visitor center that was reconstructed to replicate Unger’s barn. In the center of the image you can make out the remaining ends of the earthen dam. 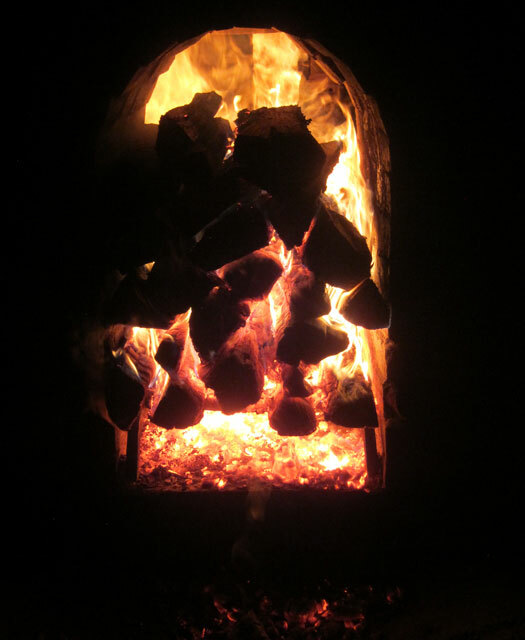 And a photograph after the dam gave way – it was an immediate burst. There are many on-line sources of images showing you the after effects in Johnstown. I then circled around what was the circumference of the lake, and first came upon the “clubhouse” owned by the Park Service, empty and yet to be restored. The lake came to a point just on the other side of the road in front. what is missing in this image below? And, here in a gallery that you can click and enlarge, are six of the remaining nine summer homes of the club members. 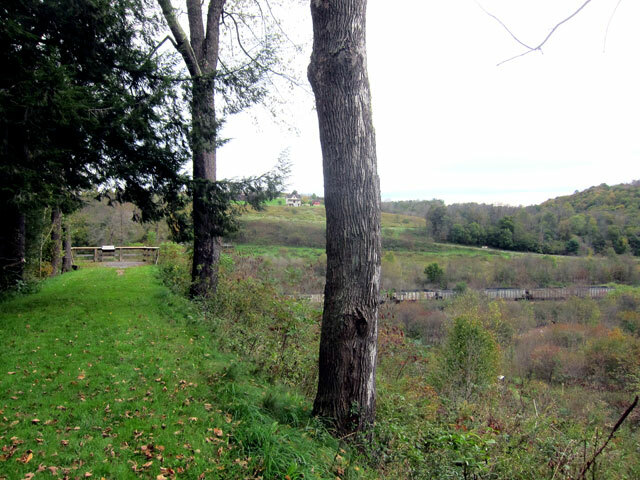 Just down the road is the South Overlook of the South Fork Dam Site. and, across the way you can see the North Overlook and the Visitor Center. and here is a short video panning the area of the former reservoir, now a small street, fields, and a rail line. 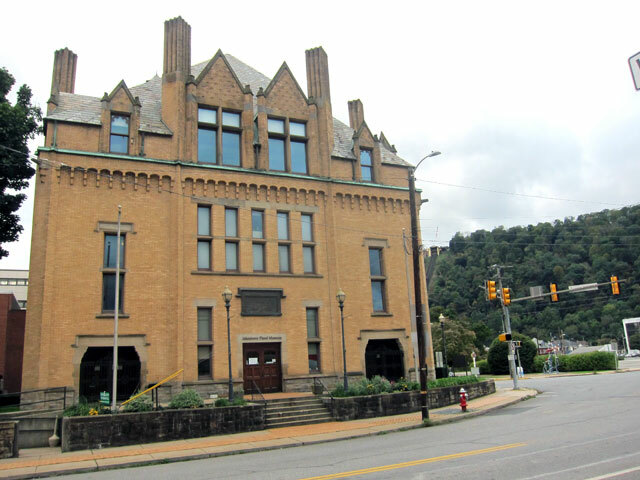 Finishing up in South Fork I decided that I could make a quick trip to the Allegheny Portage Railroad National Historic Site and still get to downtown Pittsburgh in time. You can pack more into a day when you carry peanut butter crackers for lunch – keeping priorities straight. 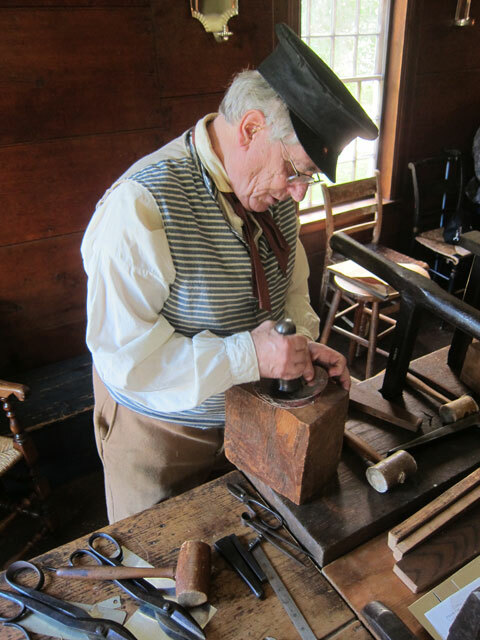 Following the success of the Erie Canal in 1825, Pennsylvania needed a route to the new west. 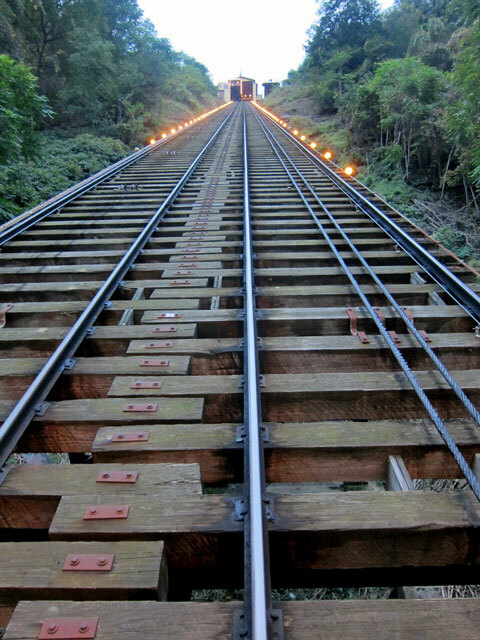 A railroad was built from Philadelphia to the Susquehanna River, where canals took over transporting freight and passengers. 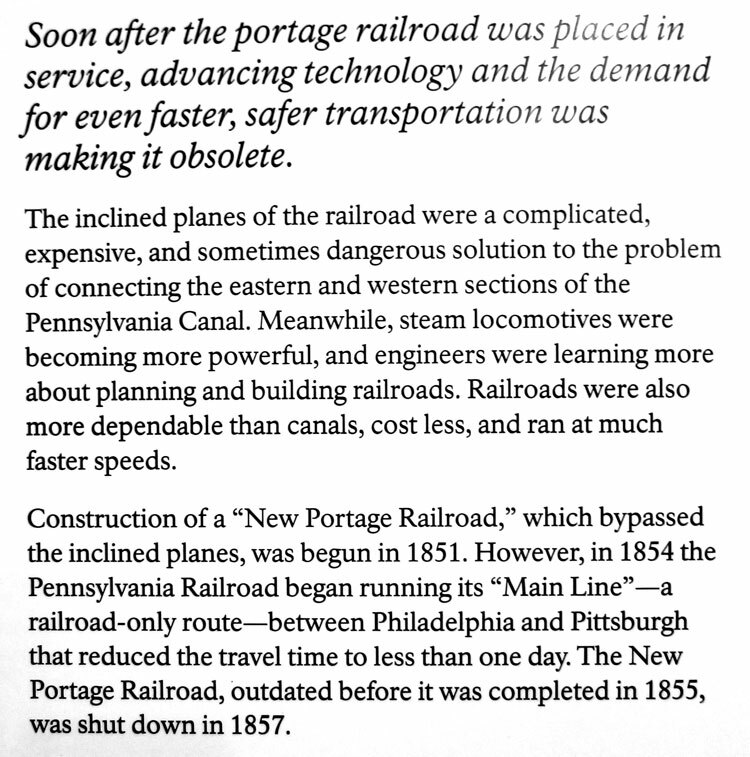 Work was done on the Western Division of the canal linking Pittsburgh and Johnstown, but 36 miles and 3,000 foot Allegheny Mountains provided a barrier to connection. 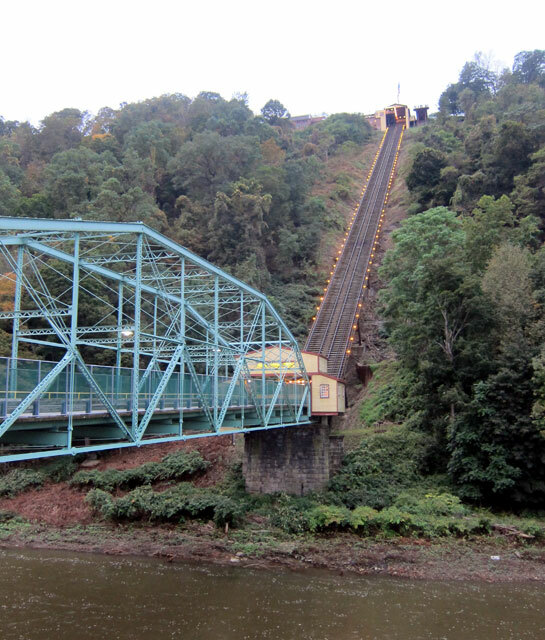 The solution was a series of inclined plane railroads. Canal barges were loaded onto train cars (in many cases barges were developed to be split into two or three sections to fit on the cars). 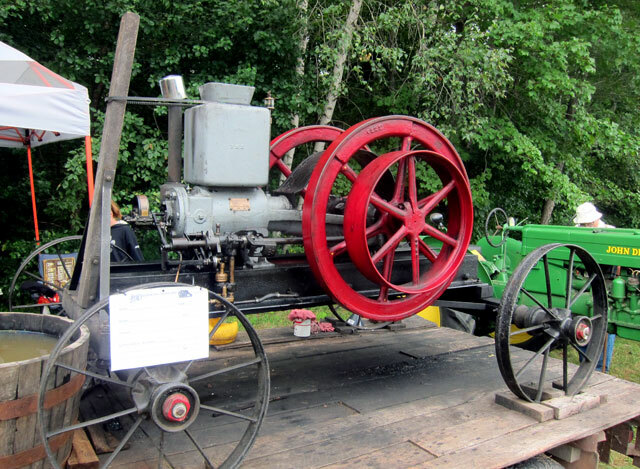 On steep grades the loaded cars were pulled by tow wires powered by steam engines. 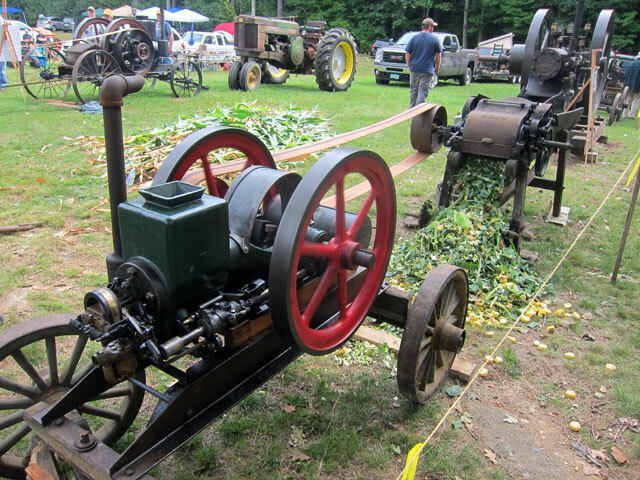 On the straighter sections horse, and later steam locomotives were utilized. 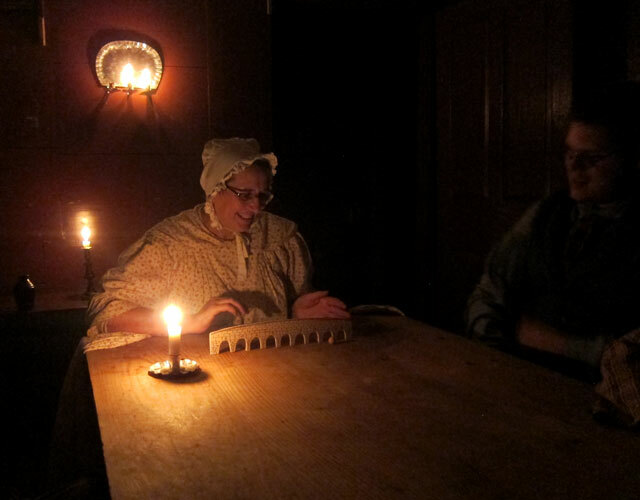 The 23 day trip from Philadelphia to Pittsburgh by wagon on the old turnpike now took but four days. 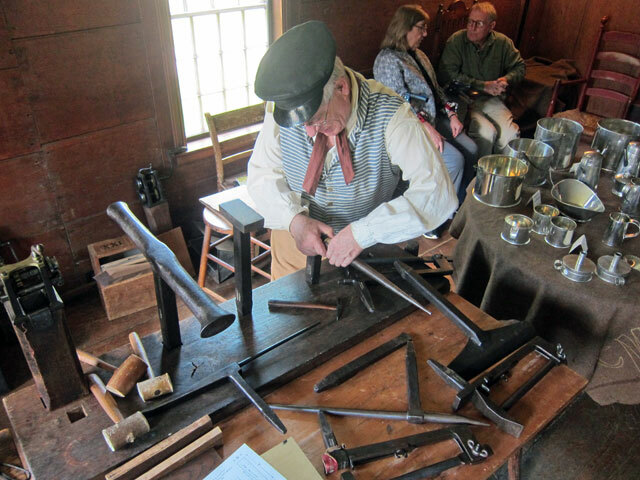 This portage over the mountains operated until 1857 when a direct railroad route was completed. but a tad larger to protect what is left of the original stonework foundation. So these adventures are four months apart? I still want to remember, and to share, and hopefully provide you with some ideas for future fun. Let me begin with the past week, and go back. 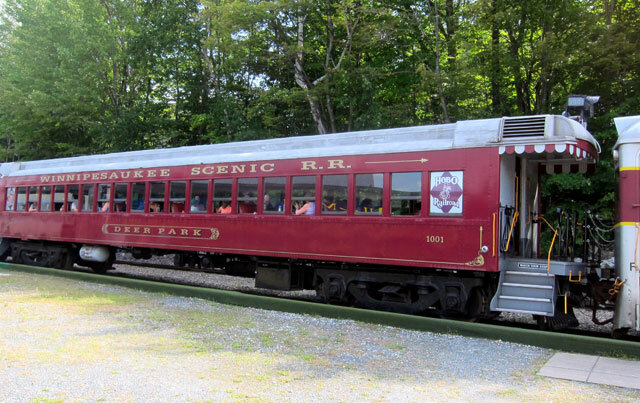 Only lived in New Hampshire for sixteen years, and never been on the Green Mountain Railroad. It was time, looking at the remaining fall schedule, and my schedule, it had to be now. A GREAT TRIP followed for an almost three hours from Chester, Vermont to Summit and back. 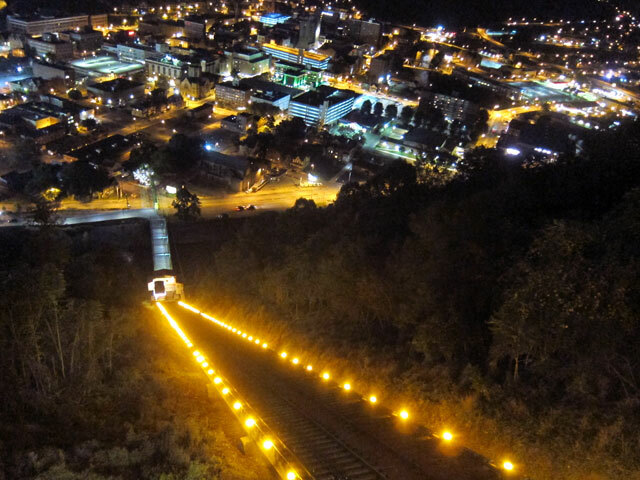 I told you about Summit and the original rail line back in July. 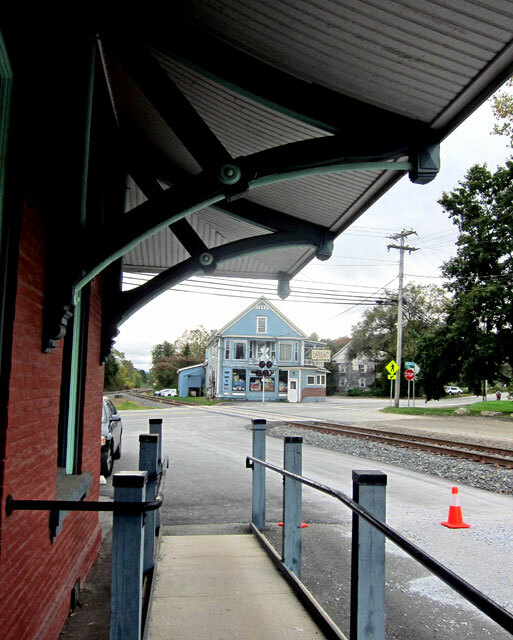 I booked the 10 AM train, and BLUE BELLE and I arrived at the Chester Depot at 9:20 for the 9:30 boarding. 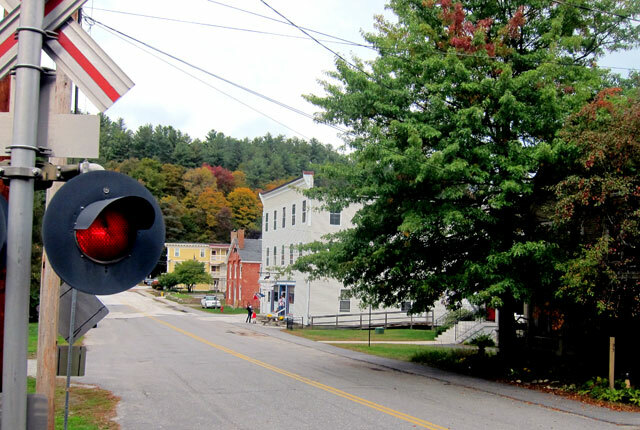 Looking back across Route 103 is Lisai’s Market established in Bellows Falls in 1926 (I enjoy shopping in the Bellows Falls store). But why show you this view? In 1963 I shopped here (different ownership them). I was “shunpiking” in my 1929 Model A Ford roadster from Connecticut, and needed some cans to heat for dinner while camping. 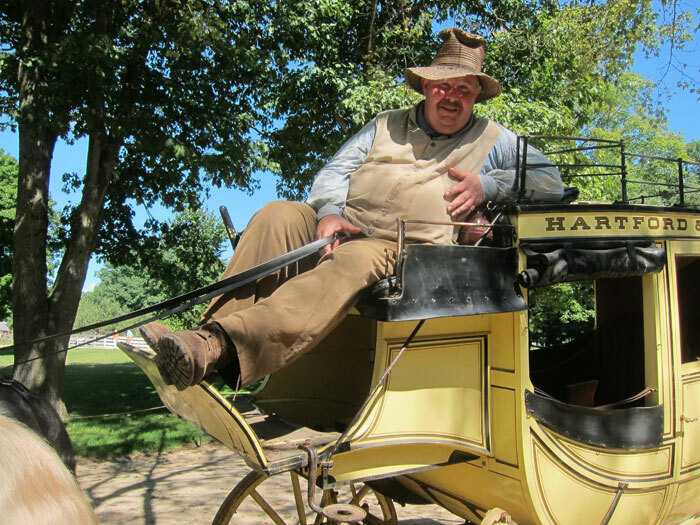 This “iron horse” was ready with a large number of carriages. Since the return trip was reversing direction, there was a locomotive at each end to lead the way and pull. It was time to board. 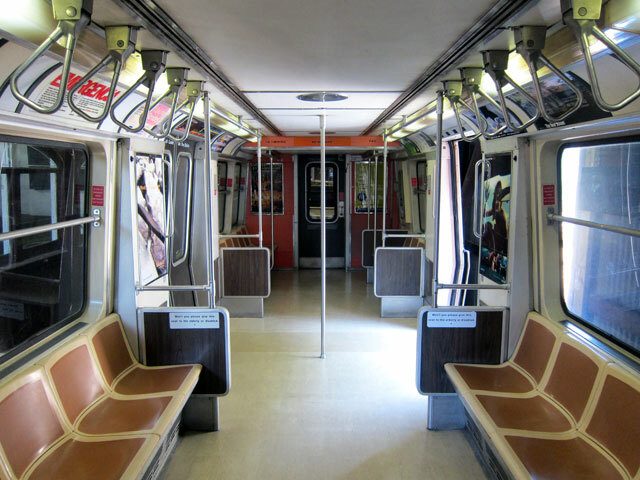 For some reason I thought I would have the train to myself – ha. Forgot it was leaf peeping, hoards of folks, and tour buses pulling up for boarding also. 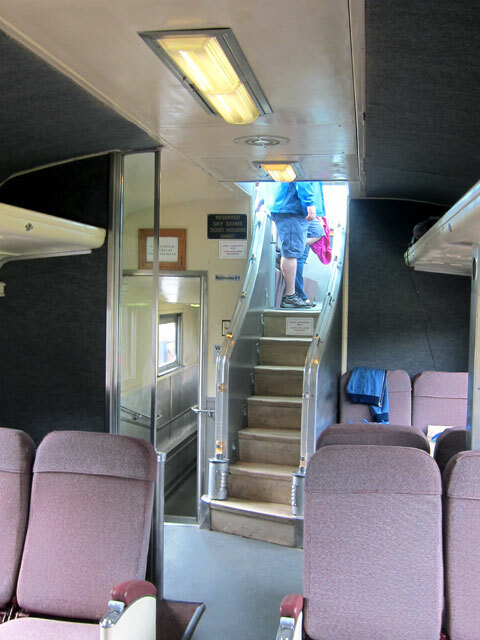 We “general passengers” were shown to these beautiful Budd cars, while the bus groups were in some older style coaches. Quickly seeing my options, I staked out this comfortable spot in the bar/food service car. 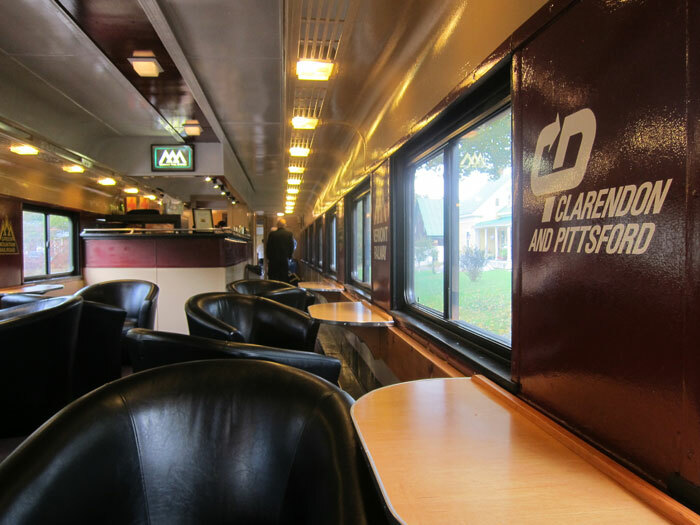 I had two chairs and a table to myself – special for a sold out train. 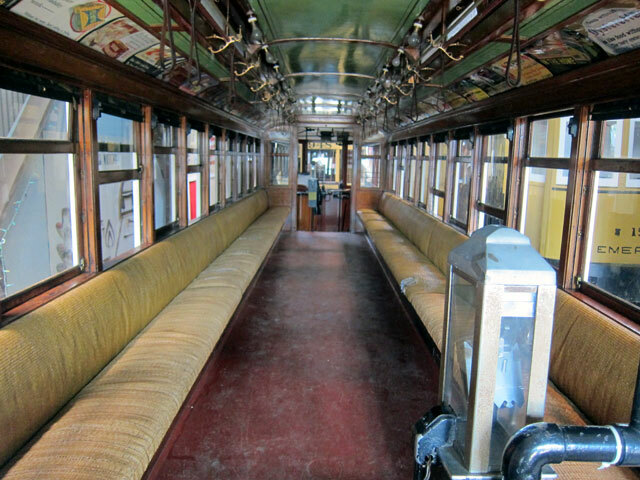 Here are the interiors of the other cars in the consist. 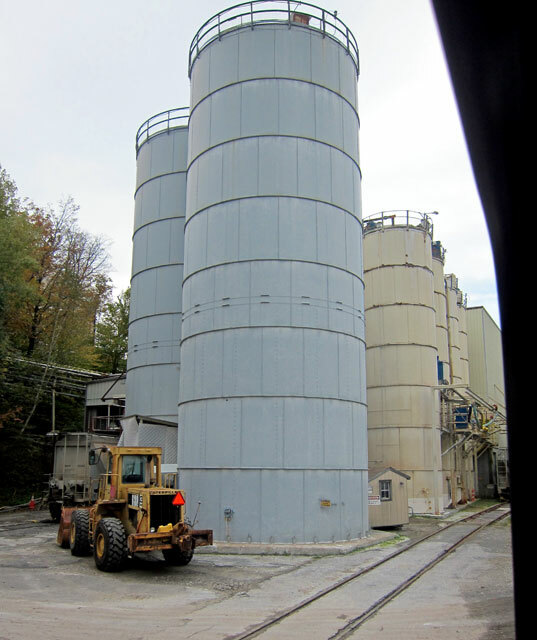 We passed this old Talc plant (closed in the 1970s) in Gassetts, now abandoned, but later on passed a new one. 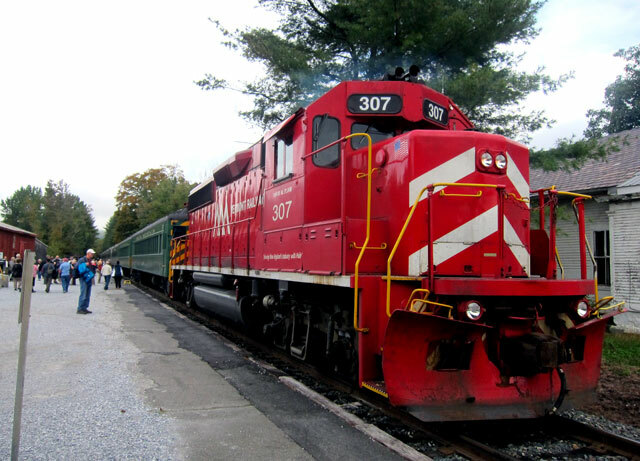 The Vermont Rail System carries freight through out the state, and connects with other lines. There are over 230 miles of tracks it leases from the State, and about 150 employees operate the freight trains. 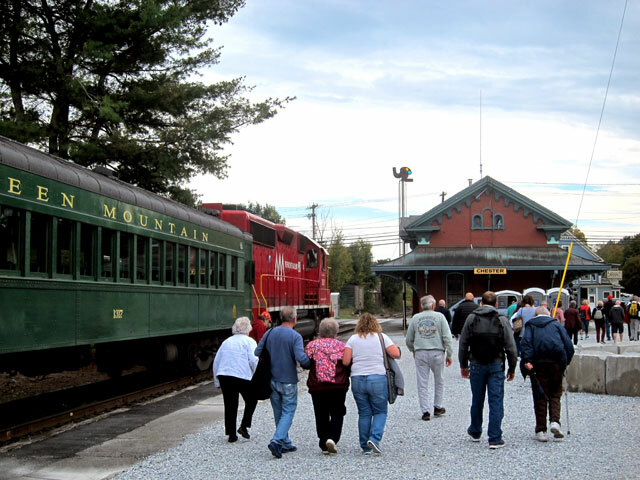 The Green Mountain Railroad is the tourist passenger subsidiary, and has 9 employees. 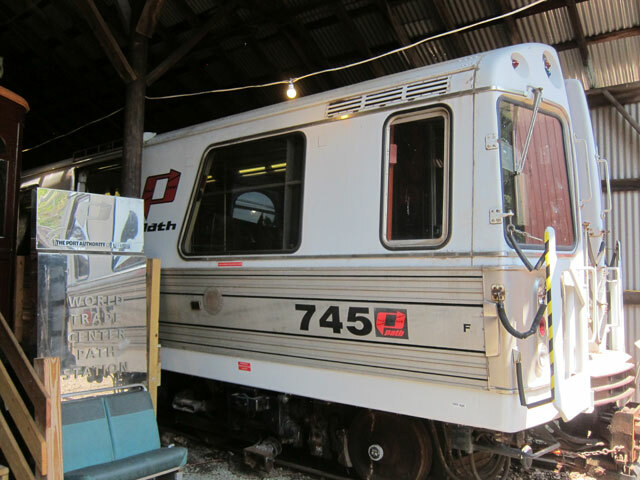 The railroad is a third generation privately run system. Nicole, the grand-daughter of the founder, sat with me and the couple across from me for awhile. She told us so much, and I asked so much. 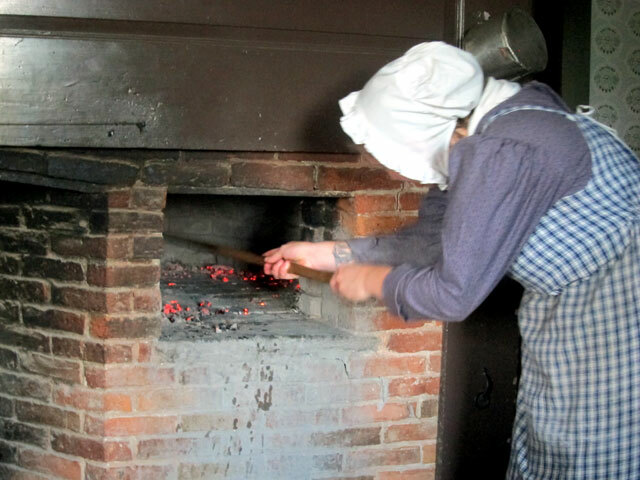 The family, and company history she wrote – click this link to read. 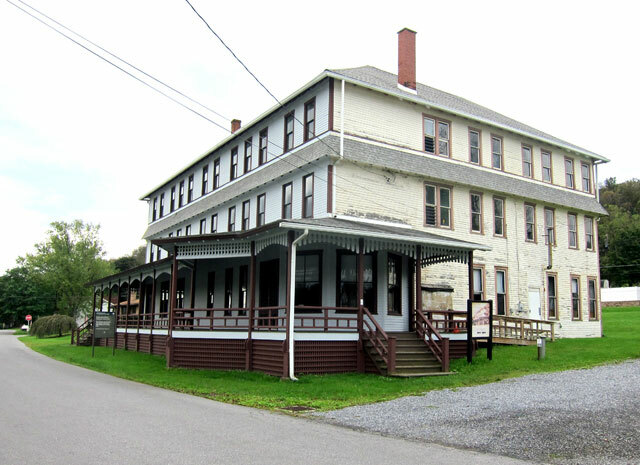 Coming into Ludlow, the station is actually up a hillside away from Route 103 and the business area. 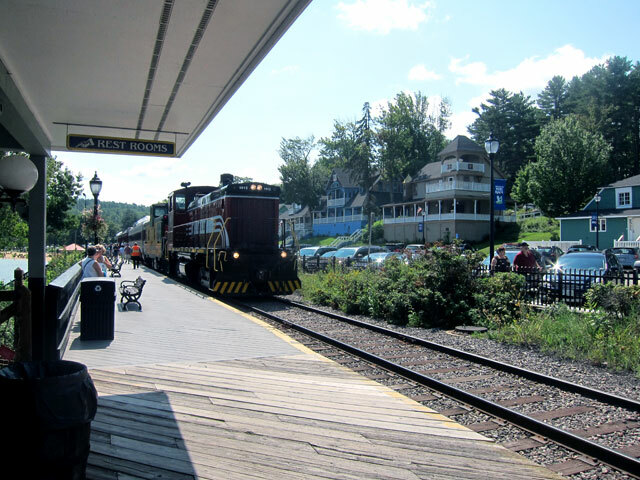 Nicole hopes that someday the State will restore the station, and it can be used for Okemo ski trains. Vail Resorts has recently purchased Okemo in a $82 million deal. Several buses of leaf peepers got off here to continue bus tours. 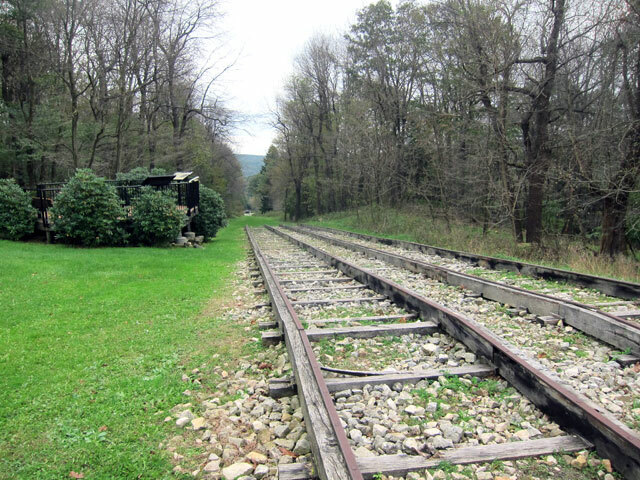 On the right of way of the old Rutland Railroad, the tracks were originally laid in 1848-49. 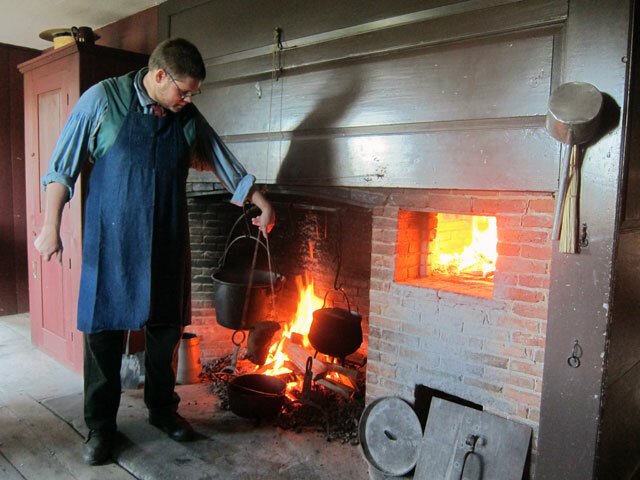 Milk trains daily made trips to New York and Boston, even stopping at Cold River Station in Walpole. 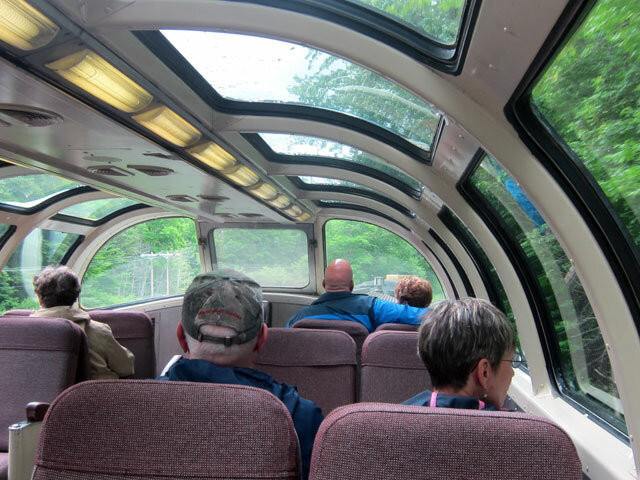 Until about 1953 the Green Mountain Sleeper would travel this route from Boston to Montreal. 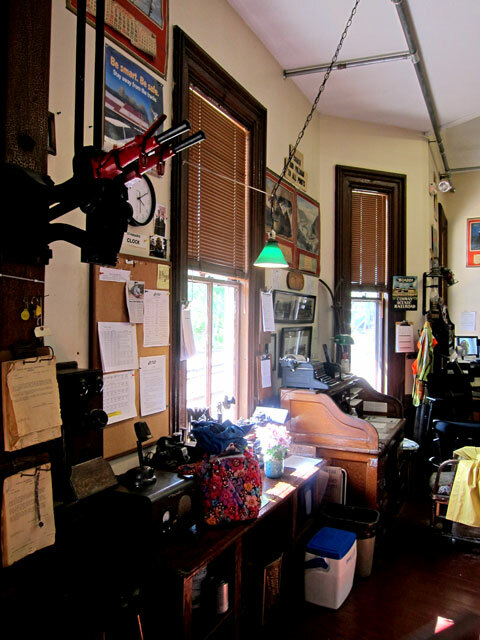 Following World War II, train travel and shipping waned in favor of cars and trucks. Eventually strikes closed the Vermont railroads and lines, and the track and right of ways became property of the State. 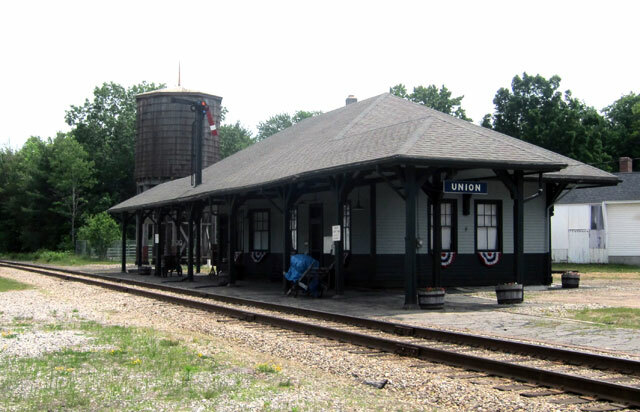 At a spot in Summit – Mount Holly – we stopped, the engineer walked through the train to the engine headed back towards Chester. I offered to help him, but he said, “no problem, downhill all the way, I just have to release the brakes.” At Summit we were at about 1511 feet elevation, so the coast back to Chester at about 500 feet was easy. 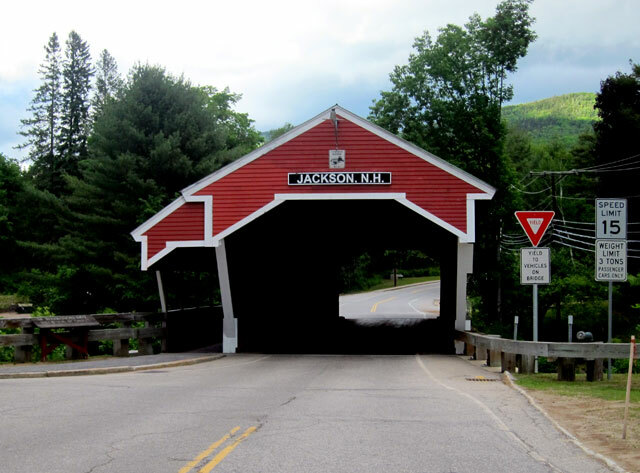 If you ever travel Route 100 from Weston to Ludlow you travel under a fantastic trestle just before the junction with 103. What a treat to now be on the trestle. and, from the center of the trestle looking north to “downtown” Ludlow. 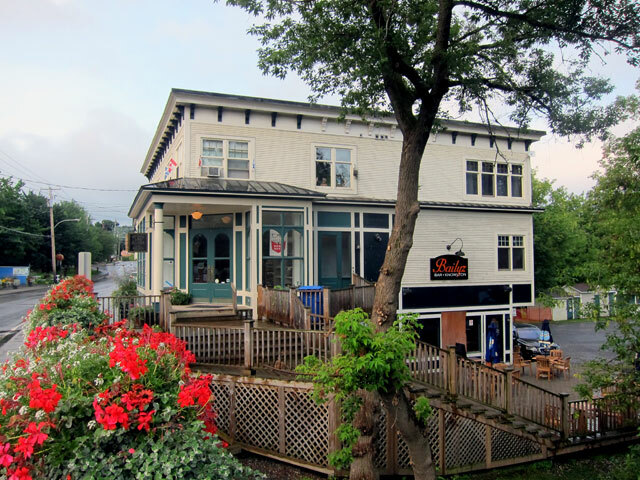 Do you remember my first “shunpiking” post from Crows Bakery and Cafe in Proctorsville in April 2011? Here is Crows from the train while crossing the road heading towards Cavendish. and, sadly all good things do come to an end, but memories linger, and new adventures come along. I am so glad I went – foliage was not peak (it was when I was back in the area with Gary and Alex on the weekend) but I loved seeing the “backside” of a familiar route as I said earlier. AND, Nicole told me that this is the last year the Foliage Tour will head in this direction. 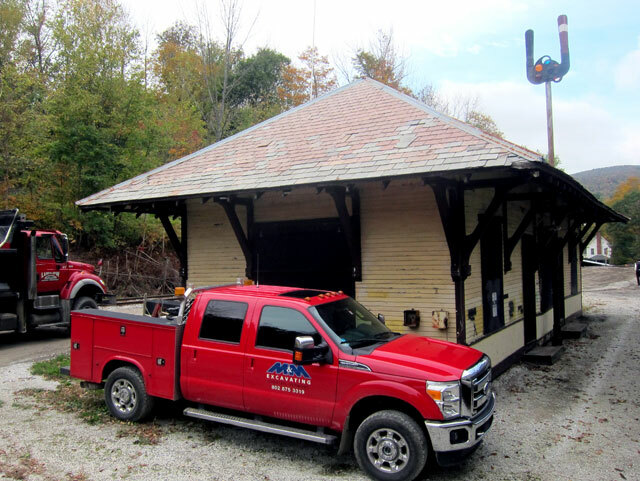 From now on, the train will go from Chester to Bellows Falls as it had previously (before floods destroyed track – now repaired) and pass two covered bridges and travel through a gorge. I should have booked my 2019 trip. 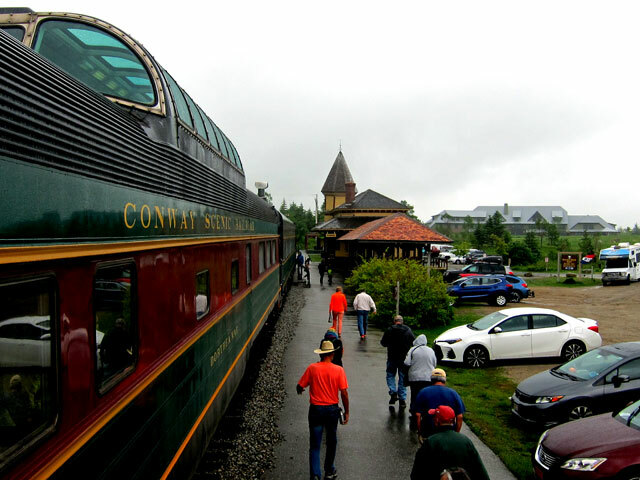 So, now let me re-ride the rails that I rode in North Conway June 14th. 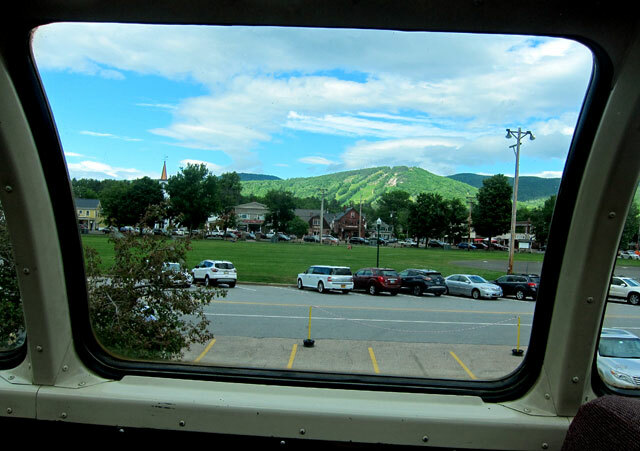 I did a two night sojourn 13-15 June with the the focus being the Conway Scenic Railway leaving North Conway and going to Crawford’s Notch. Back roads, of course, on the way across state. 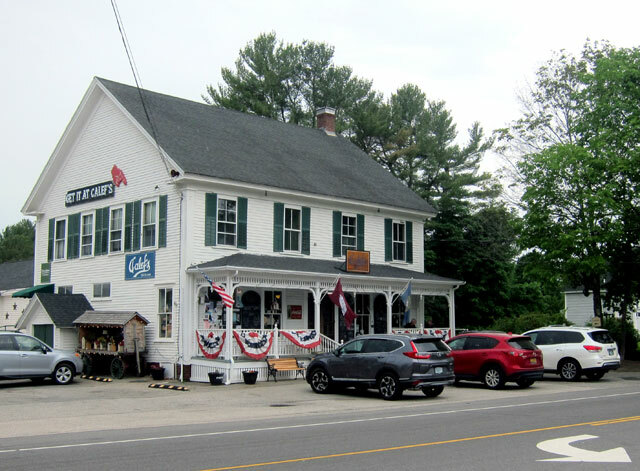 I stopped first at this Calef’s Country Store in Barrington for lunch – worth a trip and a stop. 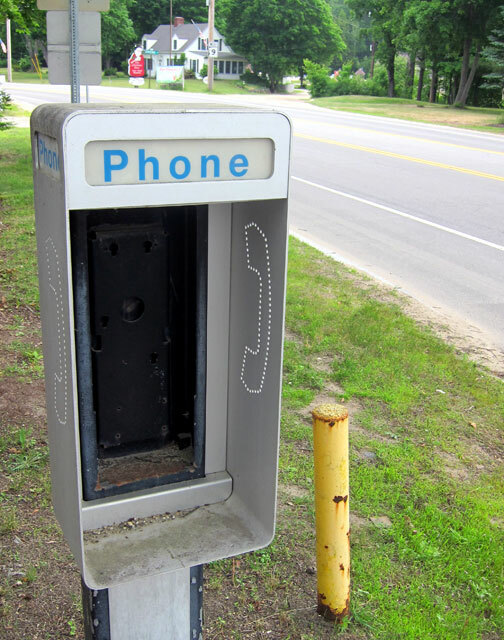 When did you last see a phone booth, or a pay phone on a poll? Long time ago, right? Well, I captured this view for you, albeit without the phone itself. You can still stand there and use your cell and pretend. 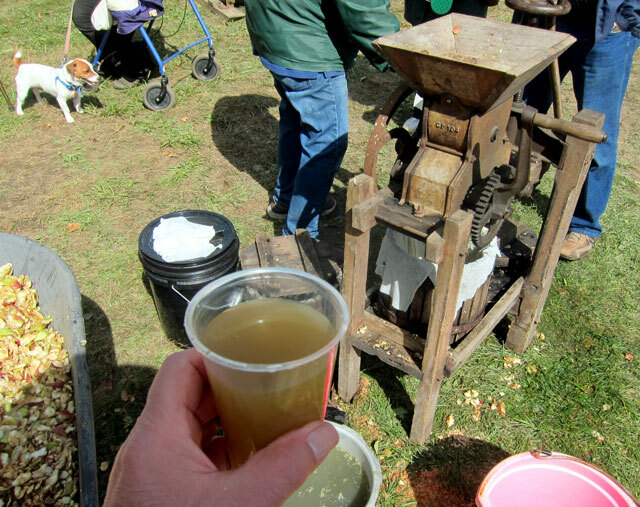 Now a second reason to make a trip to Calef’s. 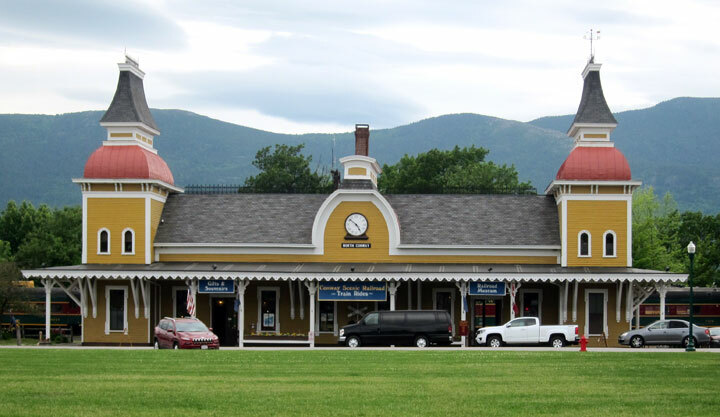 Passing through Union – how perfect a stop on the way to a train adventure. 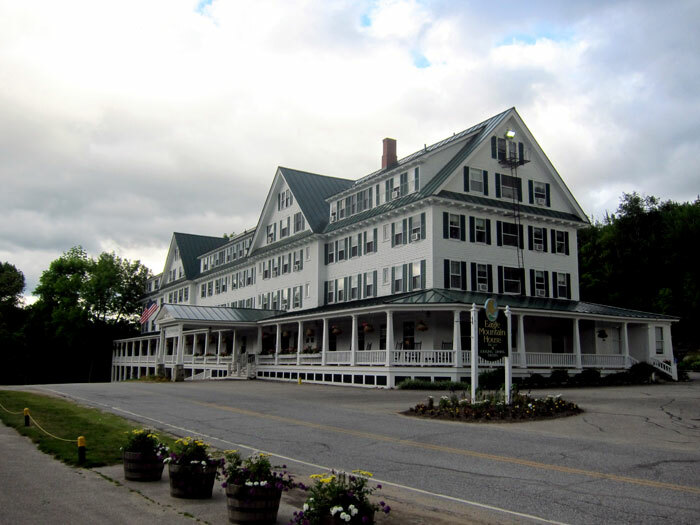 I arrived in North Conway at my home for the next two nights – the Cranmore Inn, operating since 1863, in the shadow of Mt. 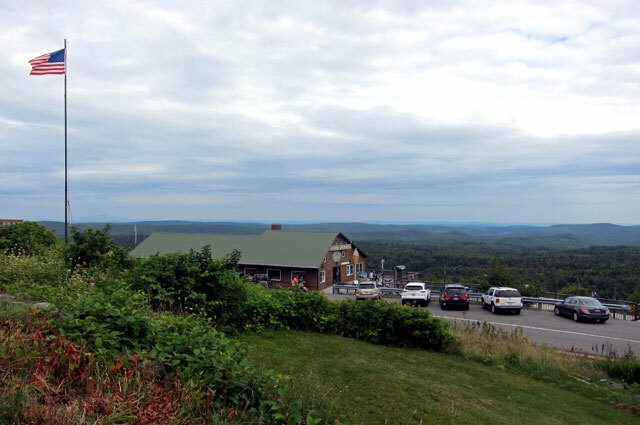 Cranmore Ski Resort. and I was “upgraded” to a lovely spacious room, but as you know I love to spend my time in the common areas – not bad here. 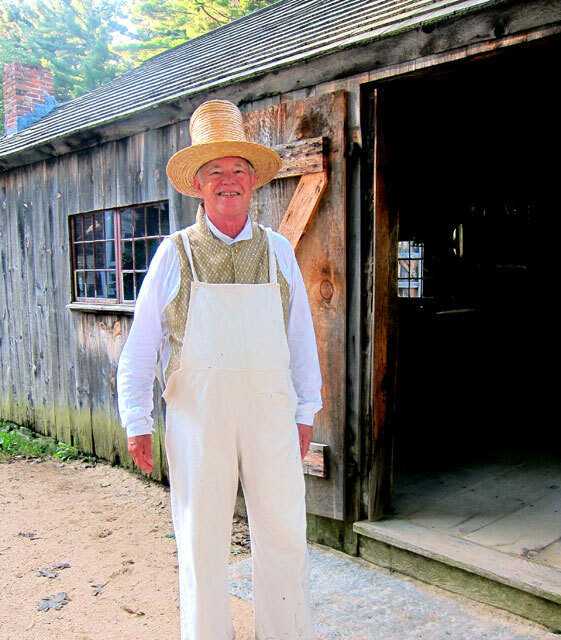 going back to town, you know I love 19th century country or general stores. 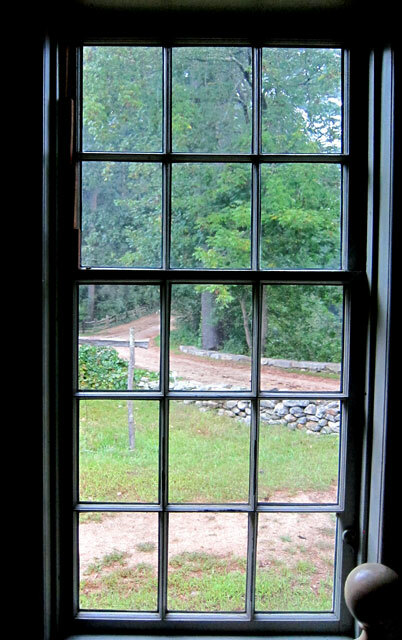 Here are some classic interior views. 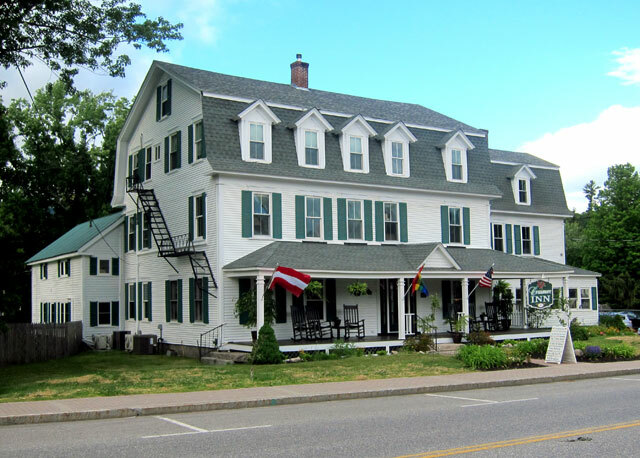 For this first evening there I decided to cross the border to Fryeburg, Maine for dinner at the Oxford House Inn. 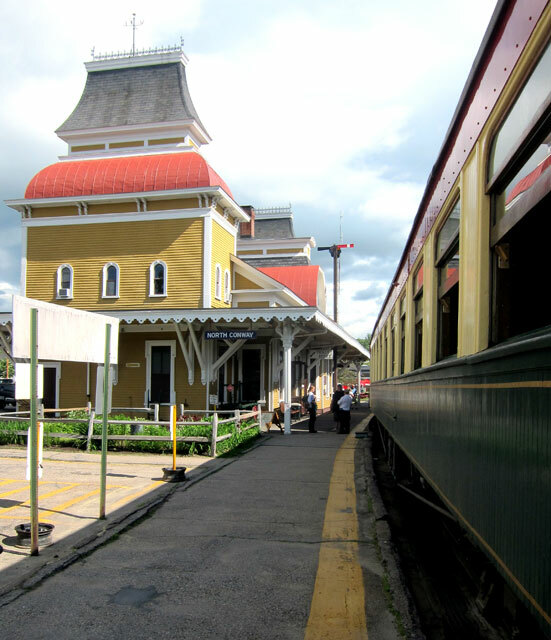 The next morning, I was ready for a day and lunch on the rails, and walked over to the station. I booked a seat in the observation dome – if you are going to do it – do it right, for something different, and a higher view. 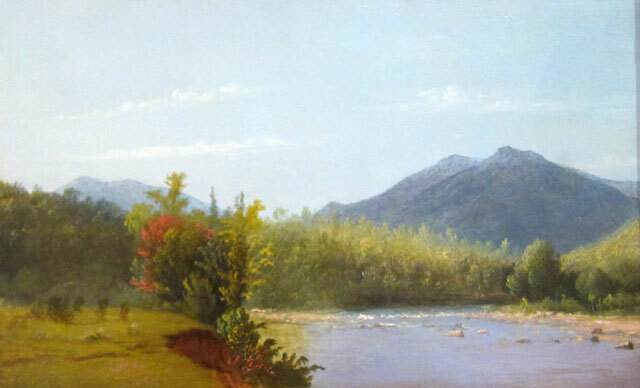 almost the same view as the painting I saw in June at the New Hampshire Historical Society – “A View on the Saco” by Godfrey N. Frankenstein done in 1847. 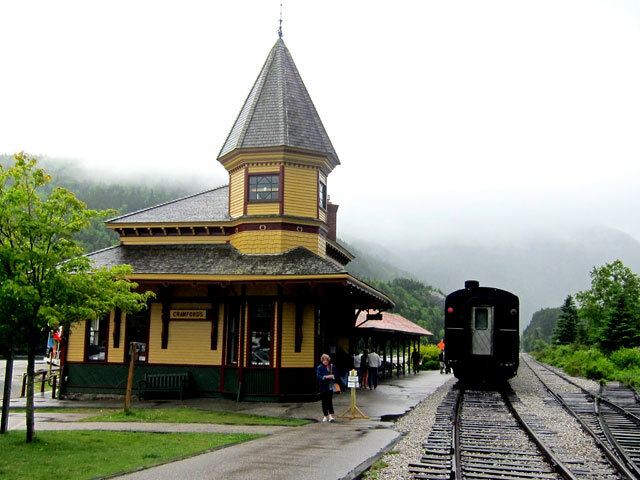 It was an overcast day, and upon arrival in Crawford Notch, a light rain greeted us. and, a look inside the train station “pulse” not much changed from day one. 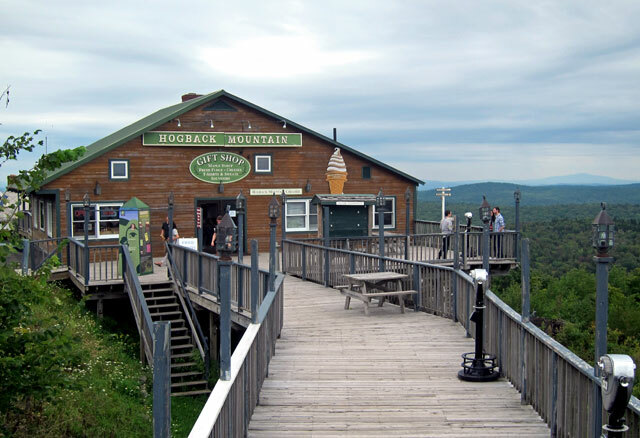 I am glad I took the trip, got to again see the “backside” to the road up to the notch, but I must confess the scenery is hidden by the trees surrounding the tracks, and “nothing to write home about.” It was the beginning of the season, and the dining car staff and food also was nothing exciting, and somehow eating on formica table tops is not my forte, particularly since I have had fine china and linen on Via Rail Canada – you get to expect a certain norm. Dinner for my second night in North Conway was an easy decision. 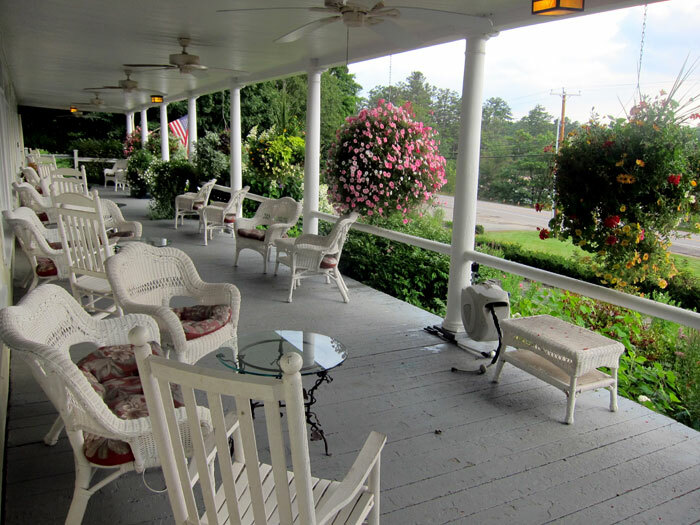 Cathy and I had stayed a couple times at the Eagle Mountain House in Jackson – I had to visit again. 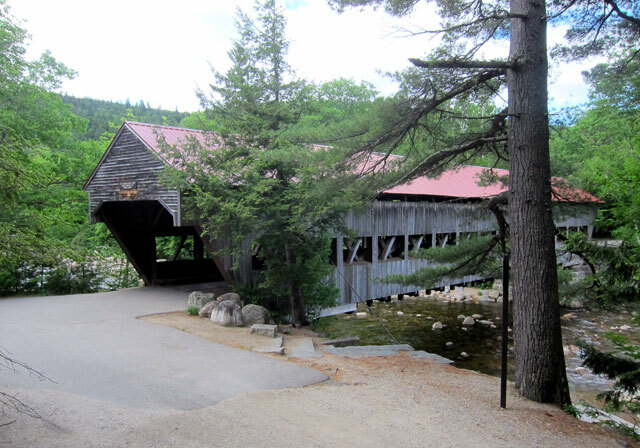 Heading north, and past Story Land, a right turn comes through this classic Covered Bridge (it was hit and damaged a month after my trip through). The road up the hill follows a scenic stream with many water falls. 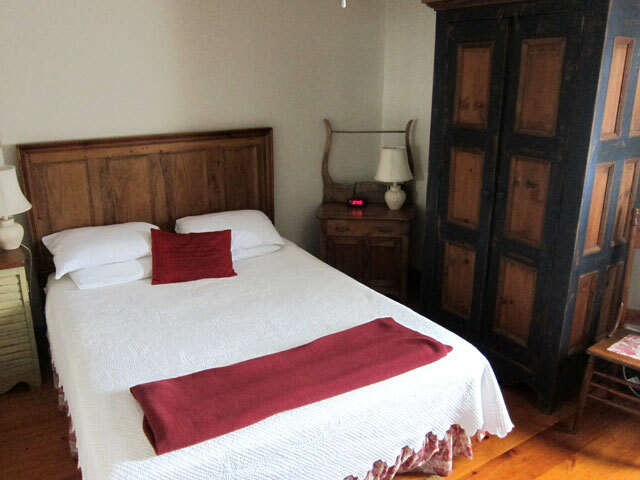 and, you arrive at The Eagle Mountain House – a classic old Victorian mountain hotel. Heading back home, my plan was to cross the state on The Kancamagus Highway. Its 34 miles was completed in 1959, but not completely paved until 1964. 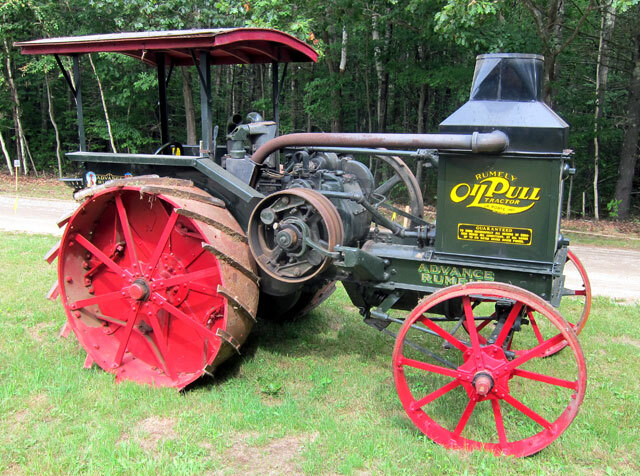 Closed in winters until 1968 when it was plowed for the first time. 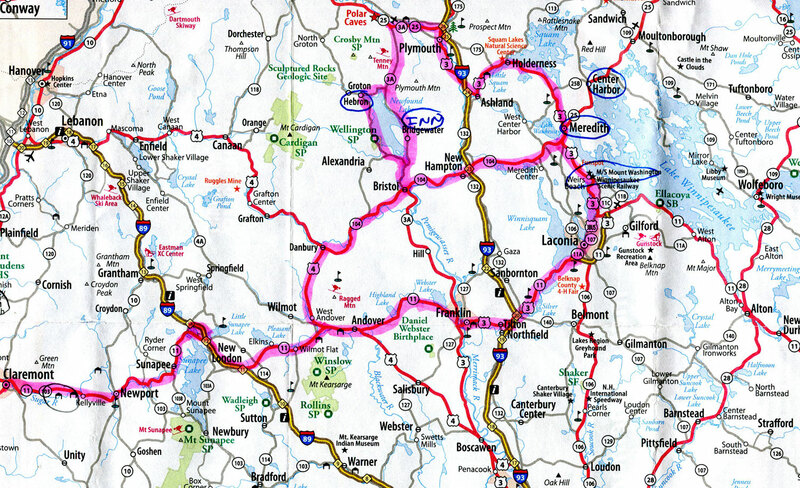 I do not recall driving through with Cathy, but I did tour most if not all of this route in 1962 or 63 in my 1929 Model A Ford Roadster, making it all the way up from Wilton, Connecticut. You can click on the map below for a larger view. I first explored the area around the Albany Covered Bridge. 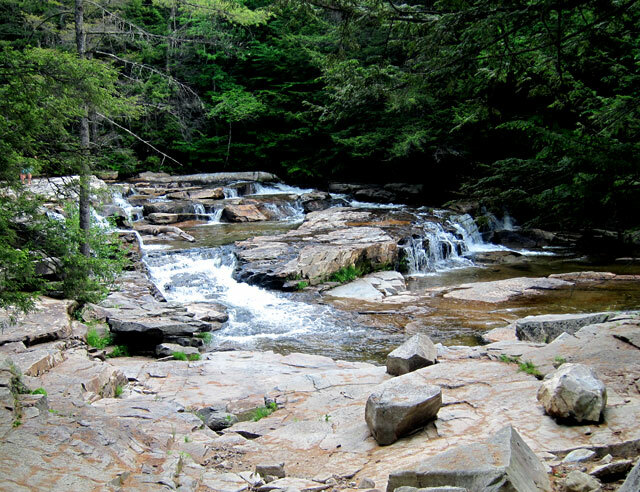 During the Depression years of the 1930s, before the road went all the way through, the road was relocated by the Civilian Conservation Corps, and Lower Falls developed as a roadside attraction. 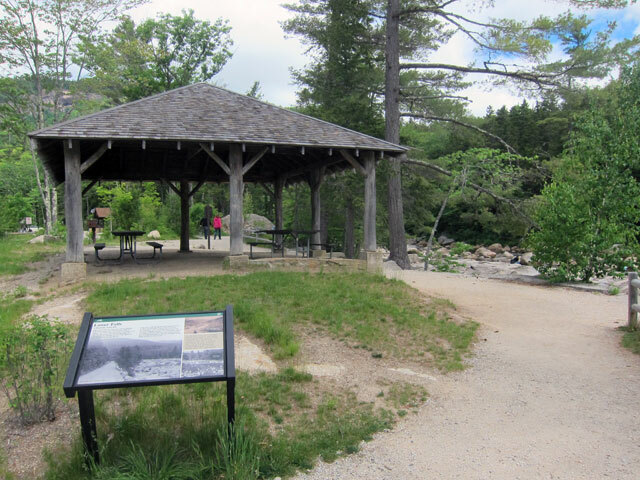 There are trails, picnic areas and observation locations. 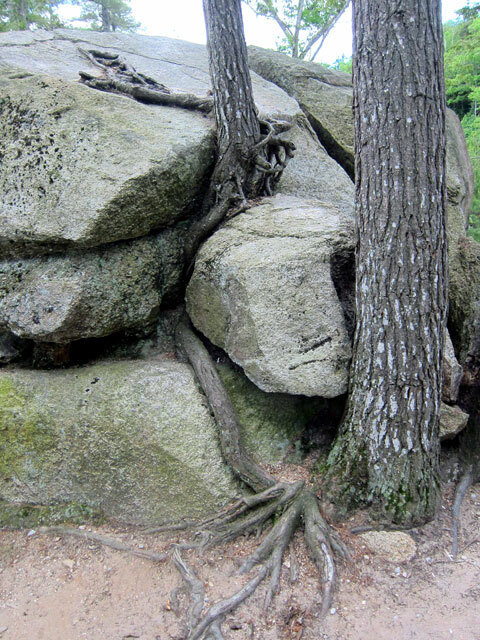 Rocky Gorge has been visited since Civil War days. 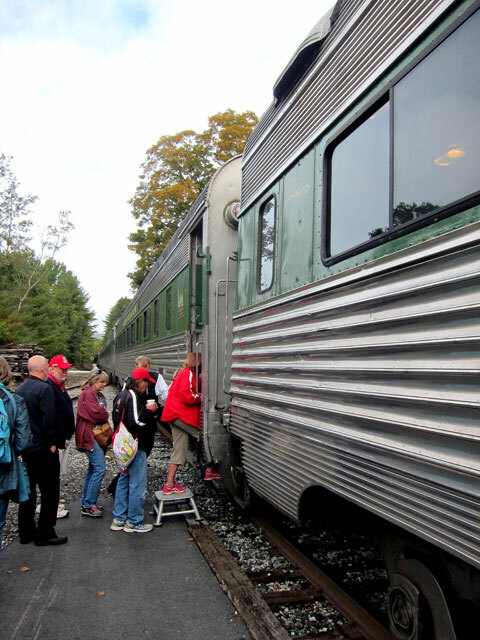 Trains shortened to 4 hours what was a three day stage trip to bring tourists to Conway. 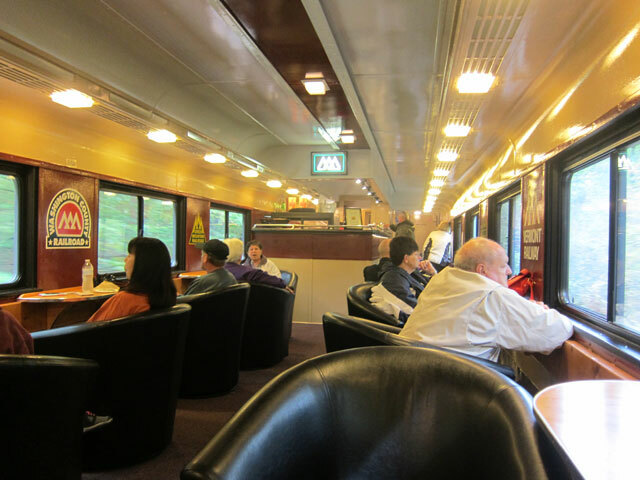 Then by carriage and coach they would be brought to this scenic area. 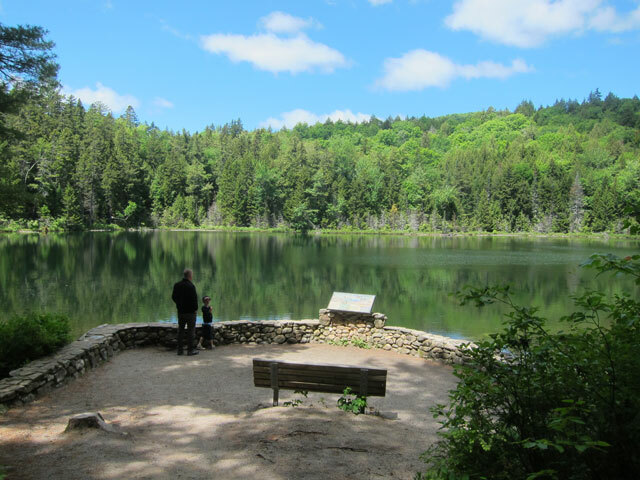 Continuing on a trail up from Rocky Gorge you come to bucolic Falls Pond. 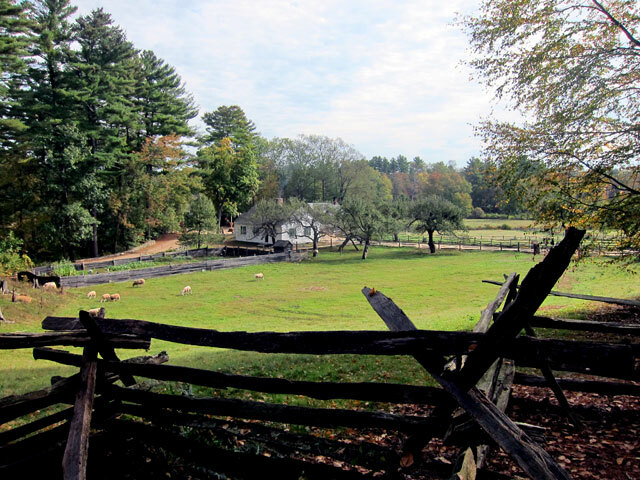 All that remains of the thriving farming village, Passaconaway is this historic home. Open for tours, I was there the wrong day. 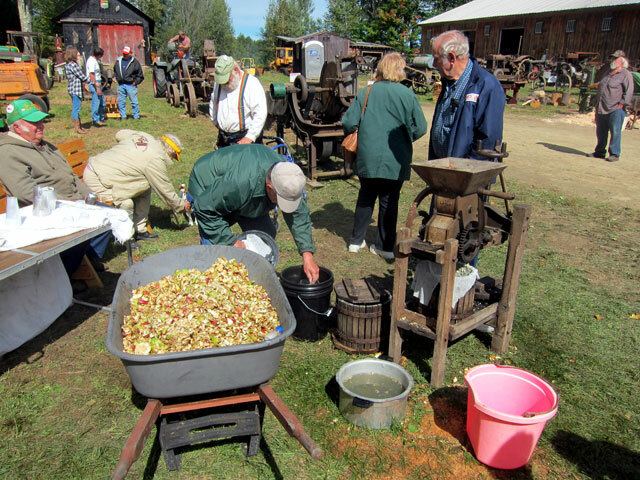 Also there are other events held in this area. 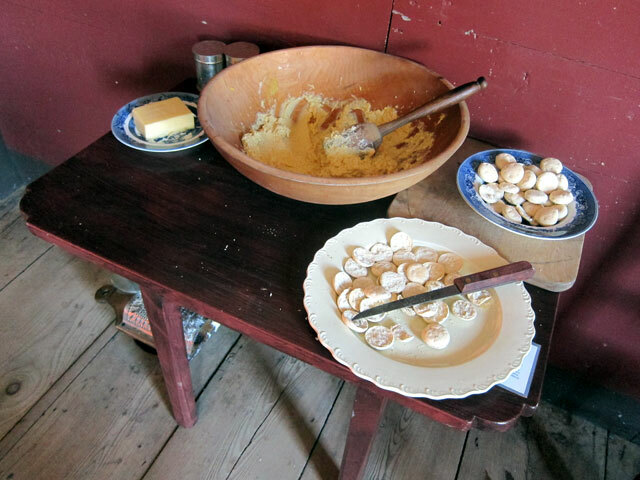 If I had gotten to this post in a timely fashion, I could have shared more tidbits of history and facts learned along this route, but at least I am now giving you a flavor. 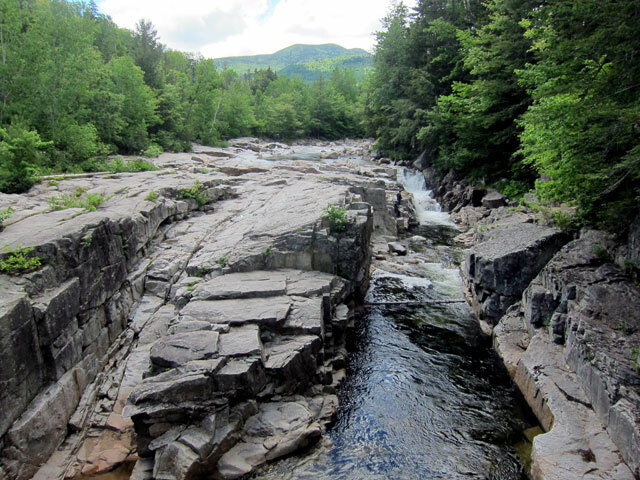 If in the area, do take the time to travel along and enjoy The Kancamagus Highway. 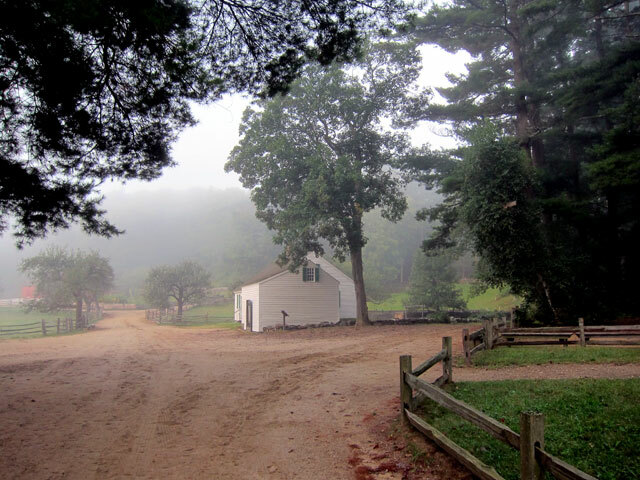 I then cut down the western part of the state – back roads – and home. 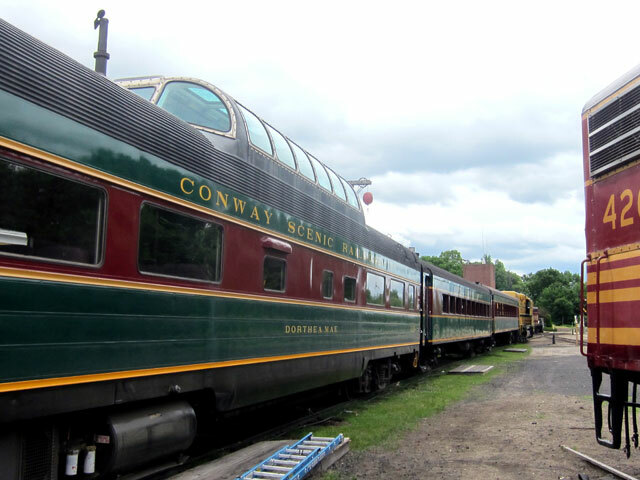 If you like trains, hurry to The Green Mountain Railroad, and you do not have to hurry to the Conway Scenic Railroad, except to tour the station and see the locomotives and cars in the rail yard there. 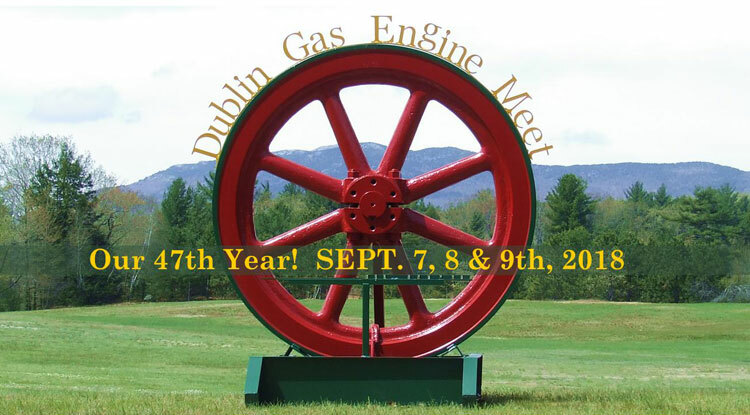 Today for the fourth time I journeyed to Dublin, New Hampshire, to take in all the wonders at the Annual Dublin Gas Engine Meet. 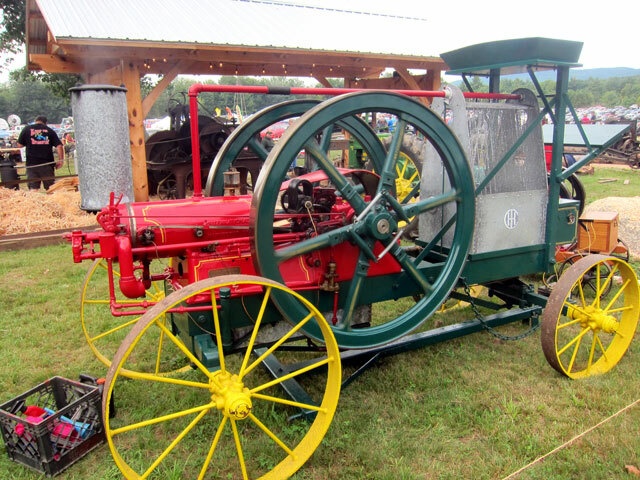 I became fascinated with the old “hit-n’miss” engines decades ago, and have reported to you about my recent visits seeing these amazing old machines. 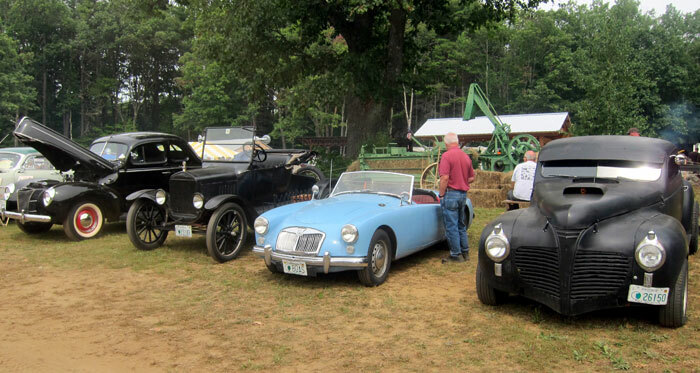 The organizers encourage people with “antique” cars to come and exhibit. Entrance then is “free.” Hey, I am not proud, the $5 saved paid for my lunch, and BLUE BELLE loves the attention. how can you not love these machines? Every time I have shared this show with you, I have sought to show you things I have not seen before. 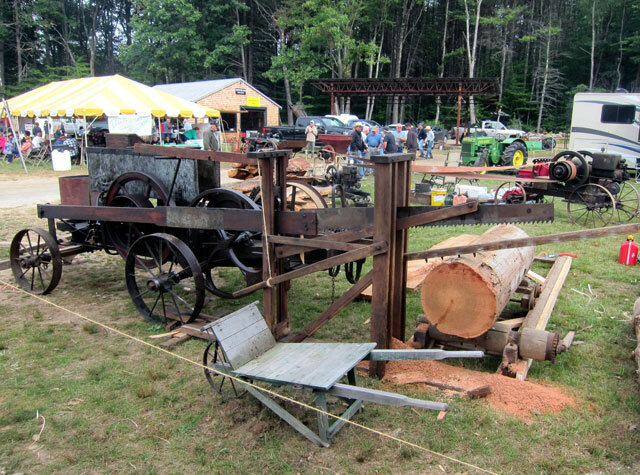 Looking out my back windows (if it were not for the trees) I can see the buildings that still exist in Westminster Station, Vermont where these Abenaqui Machines were built. The ingenuity some people have is amazing. 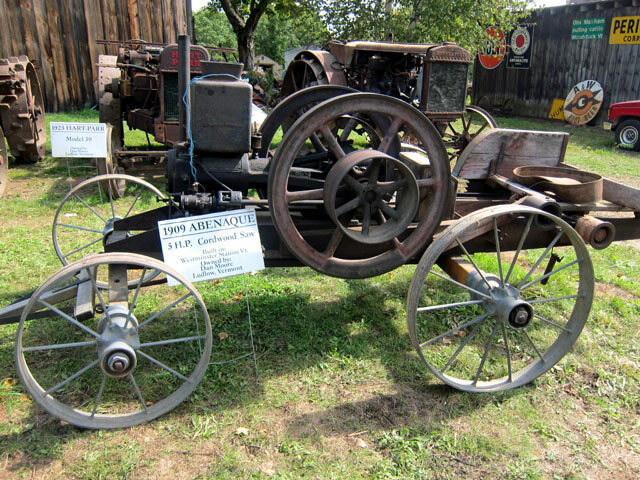 My Dad could have built this, I can only marvel at how the mechanics have been assembled to use a “hit-n’miss” engine to drive a buggy and pull a sulky. (remember, you can click on my galleries to get larger images). This video will give you an overview of part of the main exhibition area. 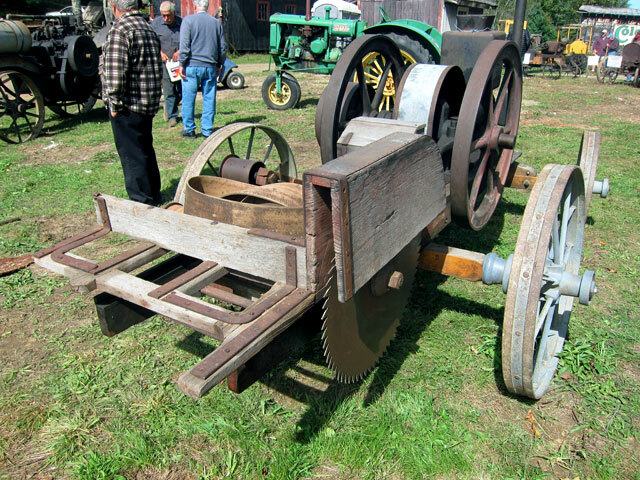 Easy way to saw wood? Colorful — how could you not want one? In the past year plus I have become fascinated with forensic crime research. 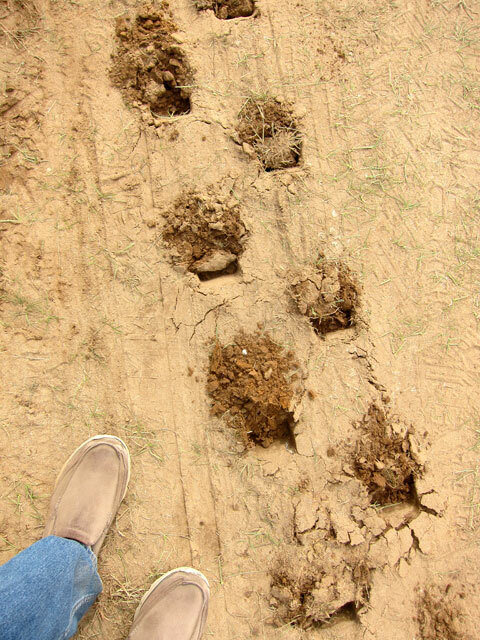 If I remember, I may even tell you at the end of this post what made these tracks (not my shoes at the lower left). Can you guess? 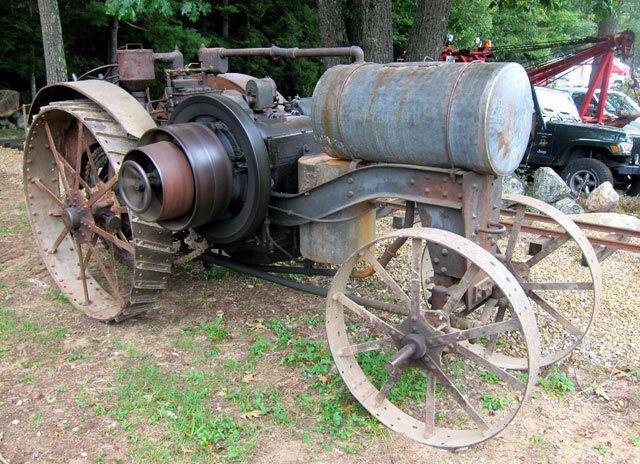 “How much wood could a woodchuck chuck, if a woodchuck could chuck wood?” Or, if all else fails, cut your wood with a 1917 Model 10-20 made by International Harvester. I gave you an image of these fans last year. Better yet, here is a video. 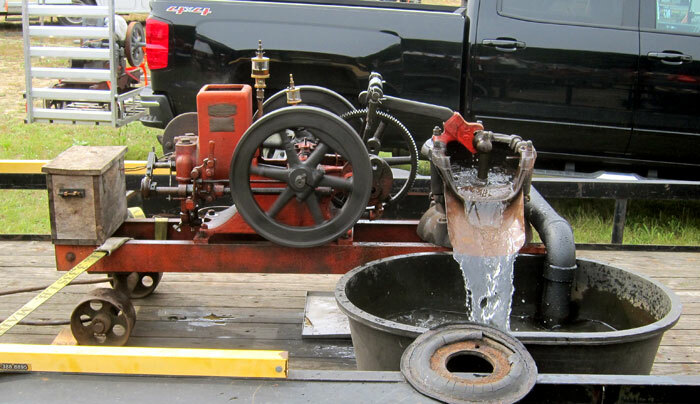 Below is something new to me – a 1912 1 1/2 Horse Power Side Shaft Domestic (brand) Engine with a Goulds Mud Sucker Pump to pump water out of ditches. I wanted a ride !!! And, here are two more galleries of unusual items I saw today. 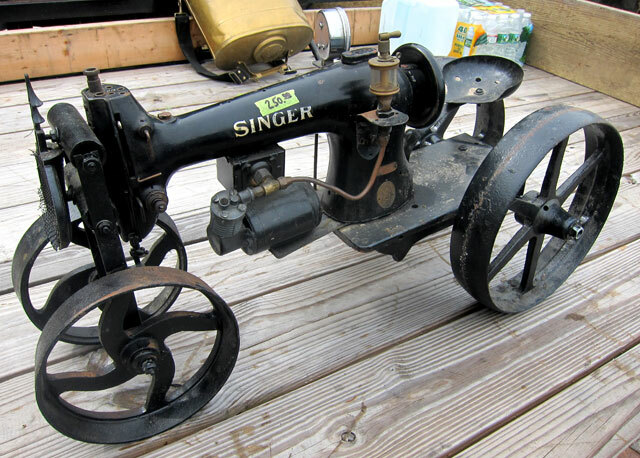 and, just when you think you have seen everything — a Singer Sewing Machine made into a tractor model — or does it really work? 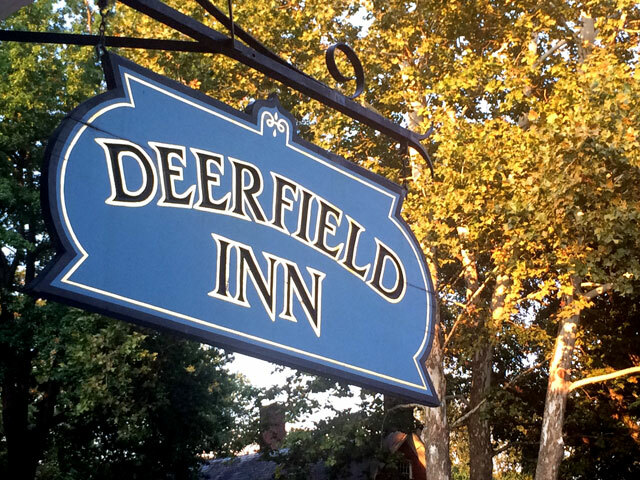 Three hours plus of really too much fun – and “for nothing.” I then headed to Peterboro to see what was new, and at the last moment decided to head home via Jaffrey (to see what was new) instead of deadheading back on Route 101. Glad I did !!! Bought a print shop. Sadly too big and too much weight for BLUE BELLE to ferry back. Will make another trip to retrieve the balance – can live with that, if I decide to sell, a nice 2K profit. Around the corner from that purchase I saw I shop I had not before seen, and a fountain. 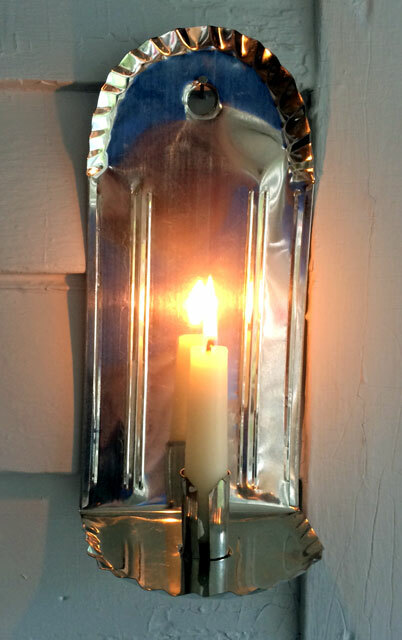 Been looking for one – and this will serve until the absolute perfect one materializes. 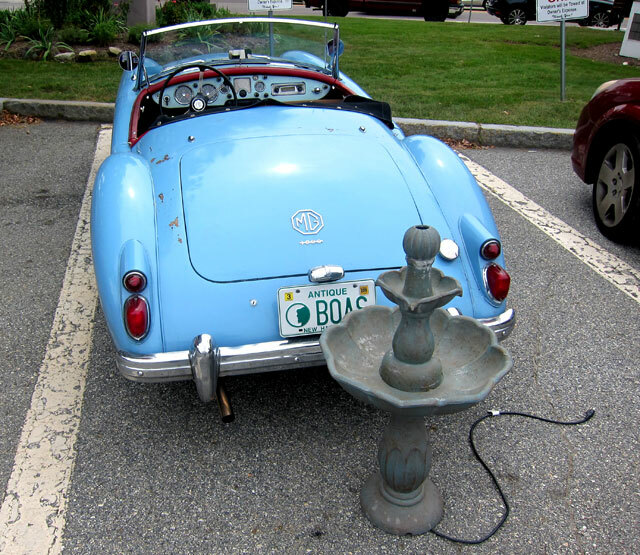 How do you get a fountain into an MGA? Carefully ! And then, there were more stops, and books purchased. Hey, this day (and month) now more than paid for. At one stop I saw something not seen before. Cathy and I collected what we called “book a likes.” Things that look like books, but are not books. 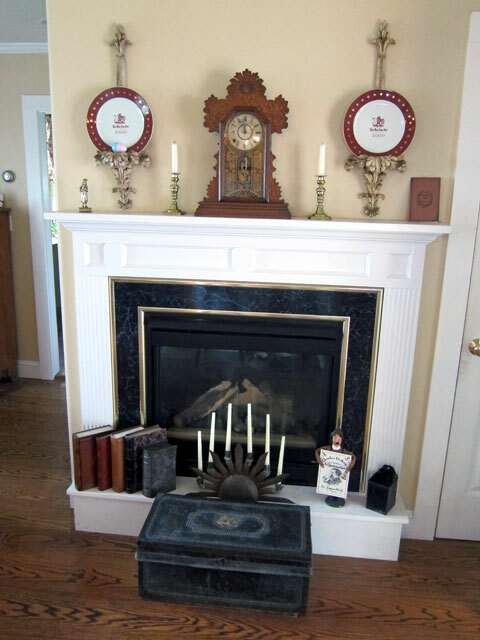 I have my formal living room decorated as a library, but there is not a single book in it. 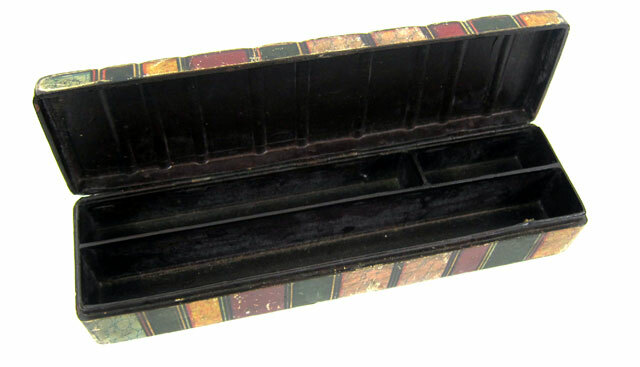 A fellow bookseller once told me, “you need to write a book about your collection to create additional value.” Been on my list, to document my “book-a-like” collection, but now I have a tremendous pencil box that looks like a set of books. PS – those tracks? Figure it out? Rear steel wheels on a vintage John Deere Tractor. 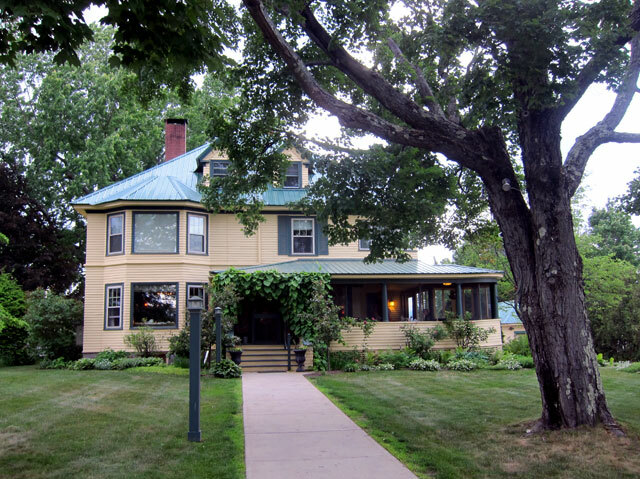 A 34 hour vacation that felt like a week when I arrived home – that much done and seen – and three things that had been “on the lists.” In fact, the Inn I stayed at Cathy and I talked about experiencing years ago, and ironically I drove by and took some pictures exactly 4 years ago, August 26, 2014. The experience for each day was on last year’s definite list, and rolled to this year’s definite list written back in May. 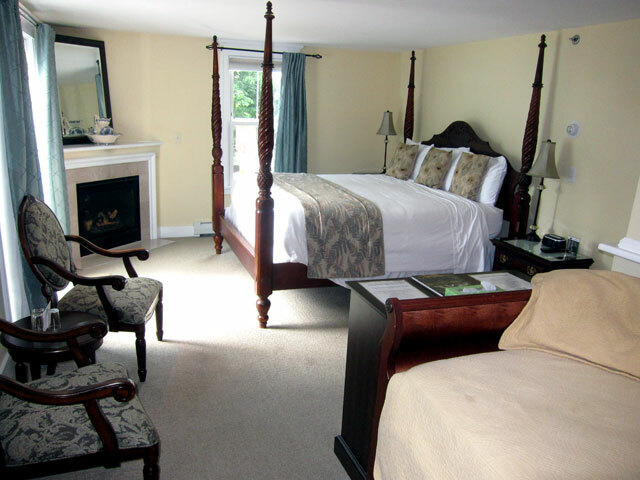 We got the September CLARION done early and off Friday to the printer giving me a “window of opportunity.” I made two phone calls to verify schedules, then one call to book the Inn. And what followed was a great time to share with you here. Lots of routes to get to the lake region, I considered several, considered taking BLUE BELLE, but for comfort sake decided to exercise GiGi some more. Here is the route I will be taking you along. Yes, you can click on it for a larger size. Leaving Claremont I headed to New London, then headed east on Route 11. Turning left on Route 4 towards Danbury, and then a right on Route 104 to Meredith. I recommend this route. On Monday coming home, I took Route 3 from from Weirs Beach back to Franklin and Route 11. But there is way to much traffic and commercialism on that route – not a BB2 route. 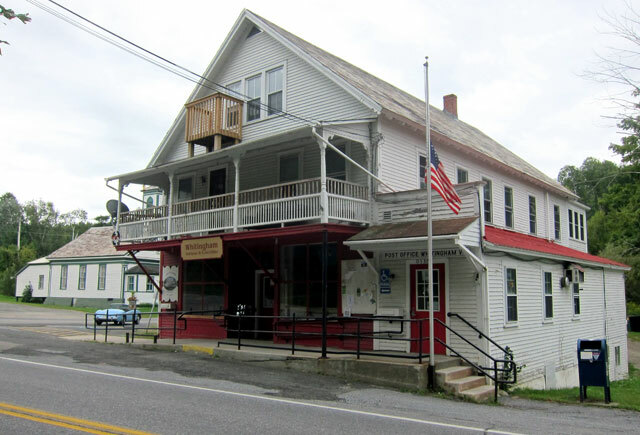 Redeeming factor, on this route home, was a purchase in a Laconia antique center of two books, which once sold will pay for almost 1/3 of this holiday. 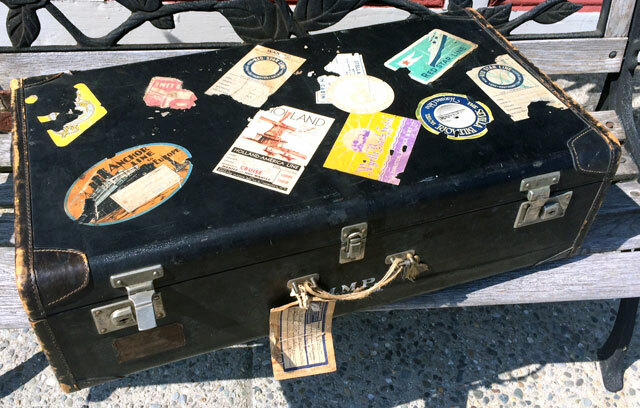 This suitcase owned by a Bostonian resident is full of ocean liner stickers. 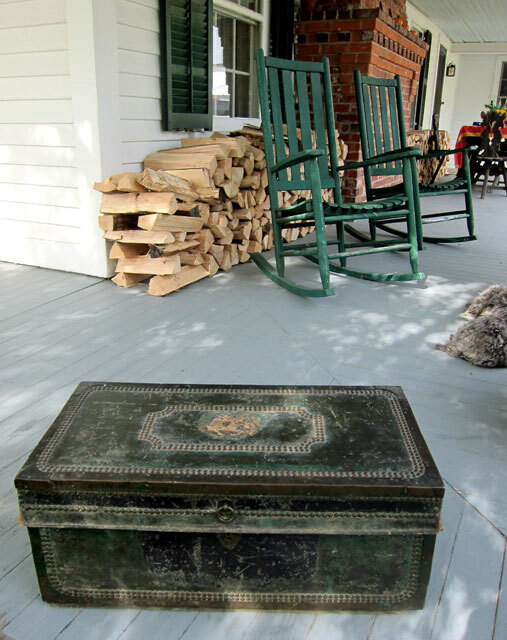 Note the exceptional “character” of this piece, including the replacement twine handle. 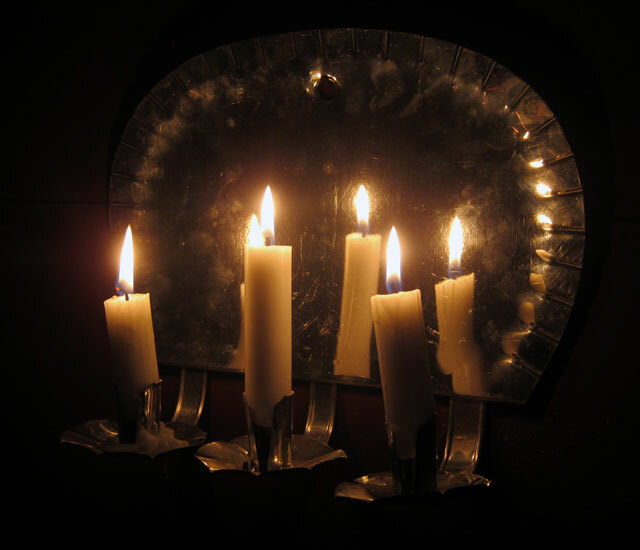 I have been watching these since Gary maybe wanted one for his Tiki Bar decor. Saw one in Connecticut last month (not as nice) for $275. I felt guilty (not) having to pay $40.50 for this treasure. I may loan it to Gary. 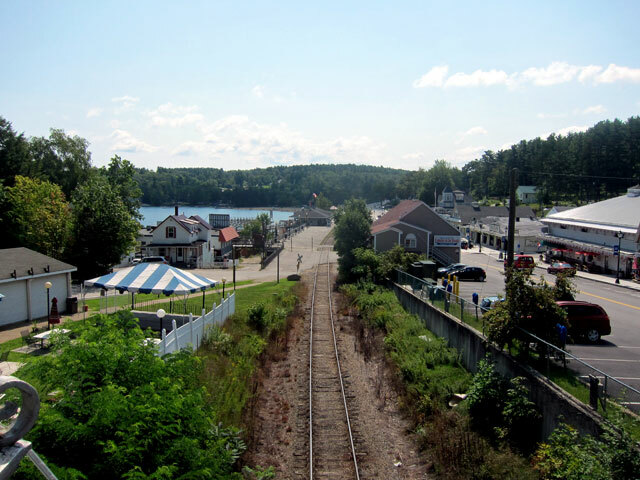 I then arrived in Meredith with my respectable hour to spare to catch the Winnipesaukee Scenic Railroad – run by the HoBo Railroad in Lincoln. 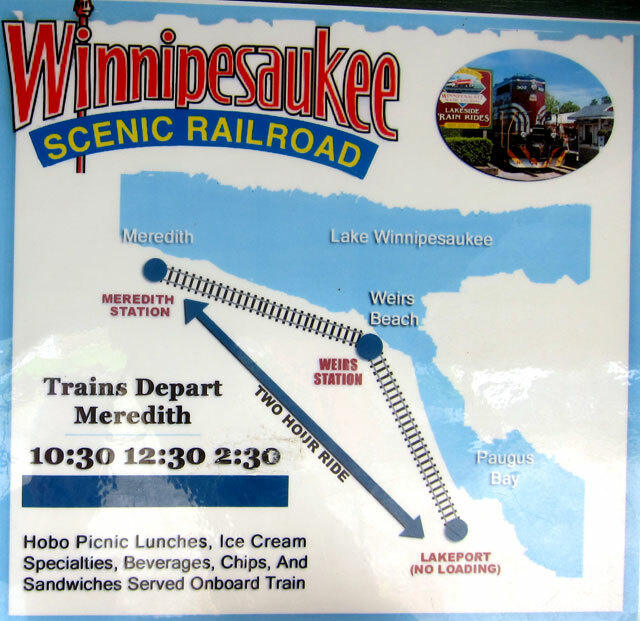 I wanted the full round trip from Meredith through Weirs Beach to Lakeport and return. 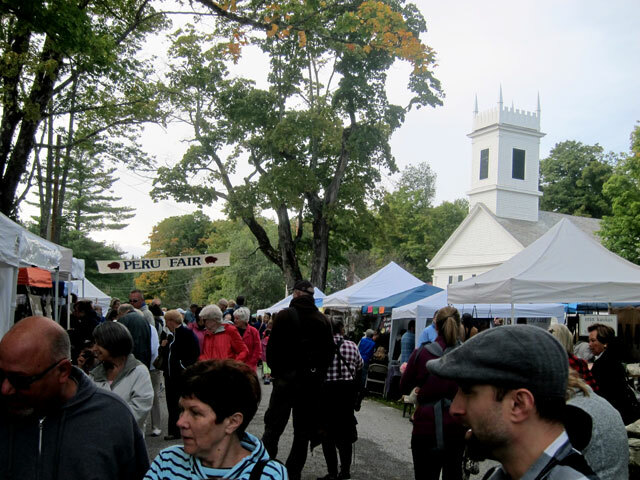 I bought my ticket, included a “Hobo Picnic” and ventured down Main Street to see the craft fair. For over 40 years I thought Meredith was the strip along the lake – Route 3. 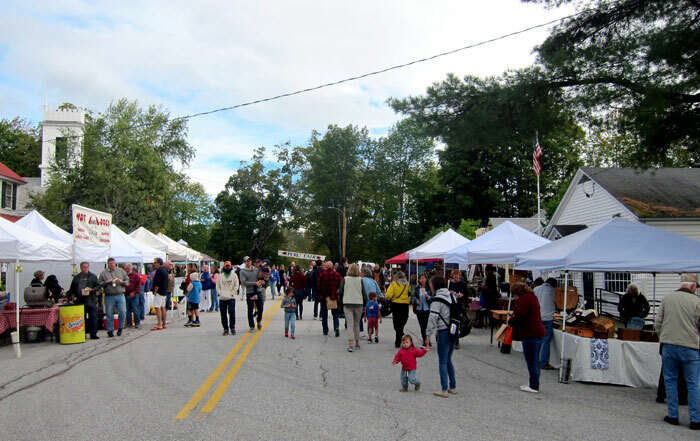 I found out Main Street is one or two blocks back from the lake – architecturally pleasing with shops, eateries, and today the street fair. But it was time to get back to not miss the train. The station/ticket master asked if I knew the derivation of the term HoBo. “Well, I should,” I replied, but with all my reading on trains, I do not. You probably know that particularly during the Great Depression, many unemployed traveled the rails (without paying) looking for work, or just for something to do. 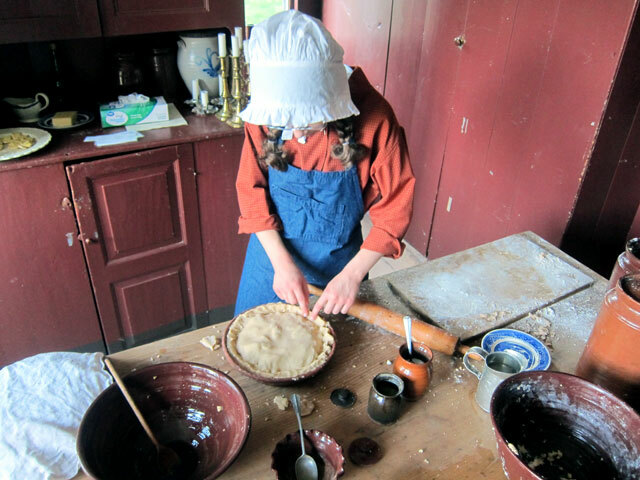 Many actually desirous of work would carry their own tools, thus improving their chances for that job or meal. 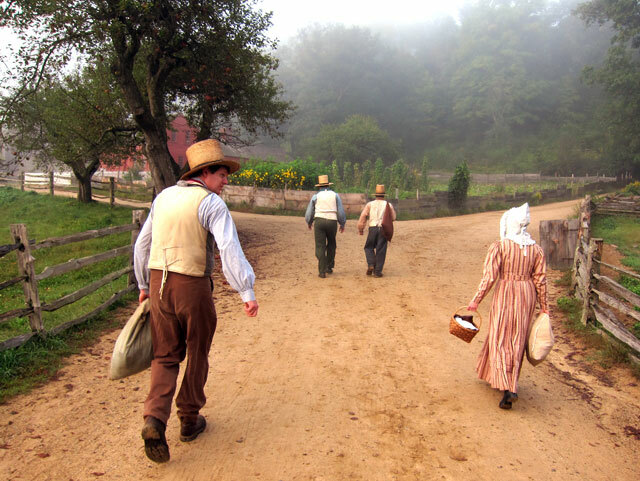 Agricultural work was most often offered, and offered to those carrying hoes, ready to work the field. Those boys carrying hoes became know as HoBos — you needed to know this. And, right on time, the train arrived from its first run. and, some views along the rails on my trek (and remember, you can click and open my galleries for larger views). 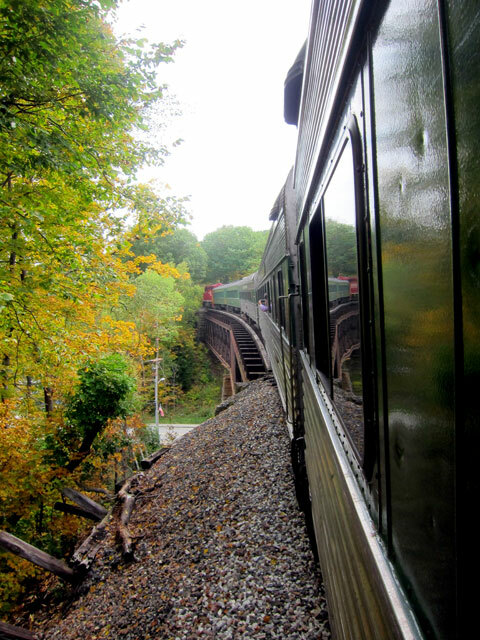 Two things of interest – everyone waves as a train passes, and those waves are returned. I saw the same happen the next day as the MS Mount Washington met smaller craft on the lake. And, everyone in the lake side communities and developments appeared to have golf carts to get the the lake shore — they were parked everywhere. 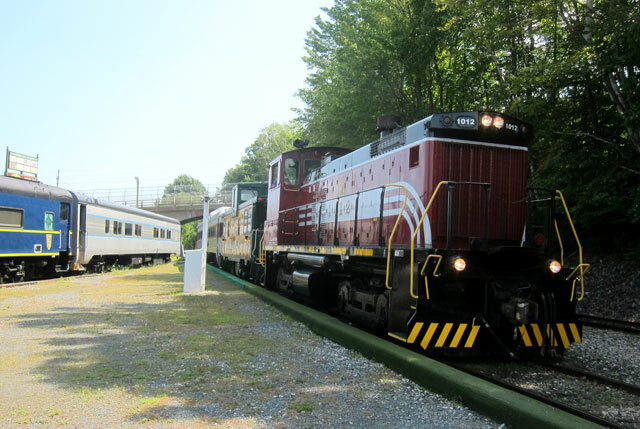 When my “ride on the rails” was completed I headed north on Route 3 to Plymouth passing a campground I took the boys to in the early 1970s. 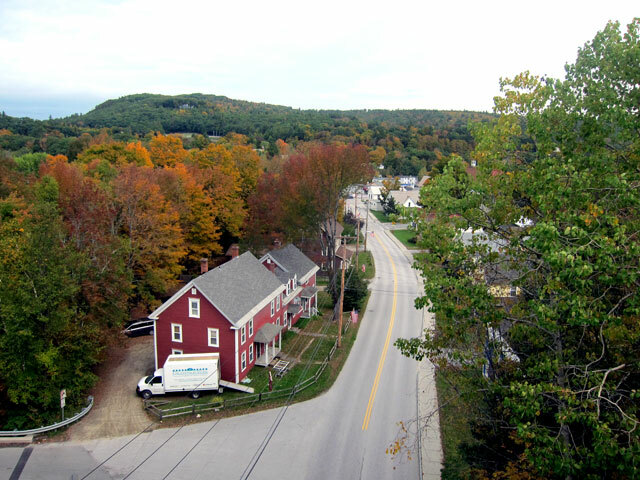 Heading west on Route 25 from Plymouth, then south on 3A and along the east side of Newfound Lake. Getting there before 5 PM, I spent (other than dinner inside) about 5 hours on the porch. 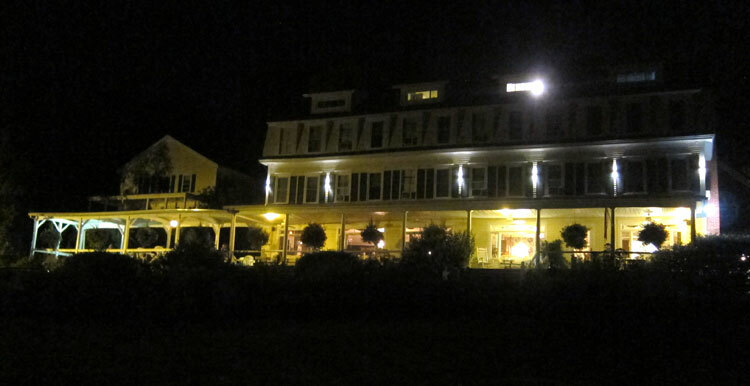 Did not get to take an image of the The Inn on Newfound Lake until dark. 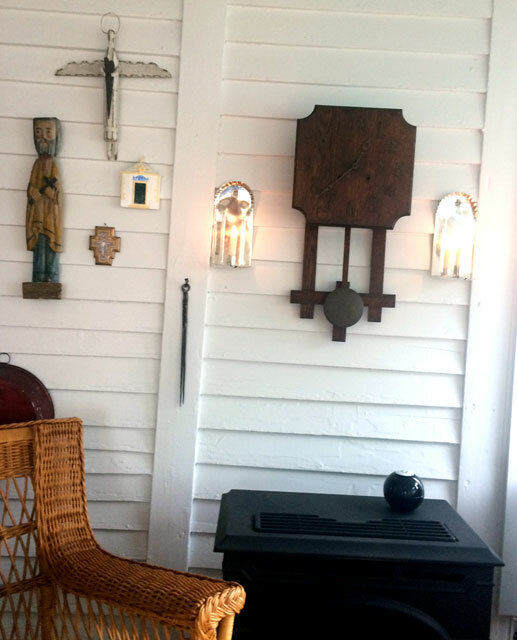 Porch, yes the porch overlooking the lake. 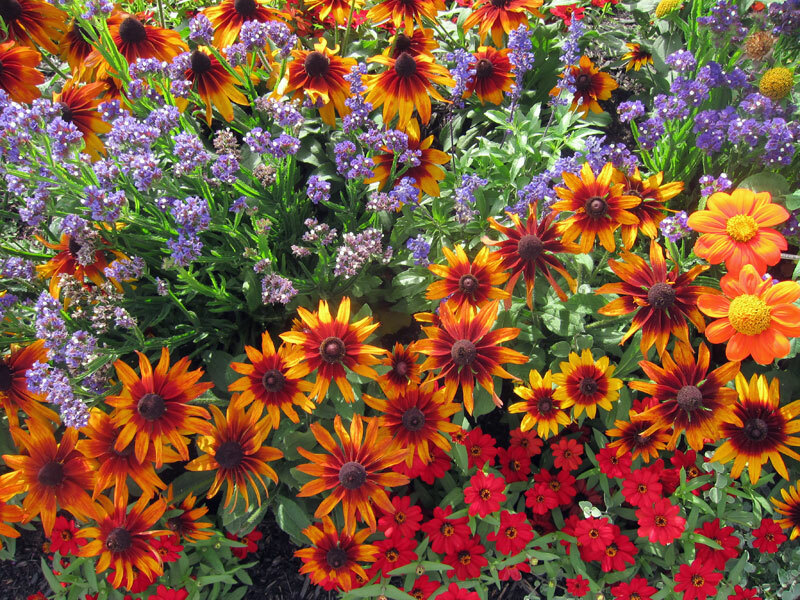 Here is where I planted myself. and some views around the Inn. I must tell you, the owners love Rabbits — in one form or another (even the key fob) are everywhere. And, the restaurant is wonderful. 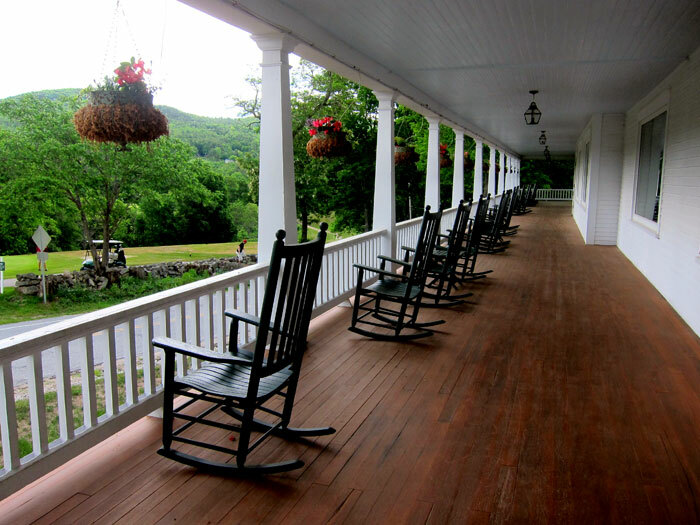 Locals trickled in all night, the Inn is popular for wedding parties — but well worth a stay to experience. 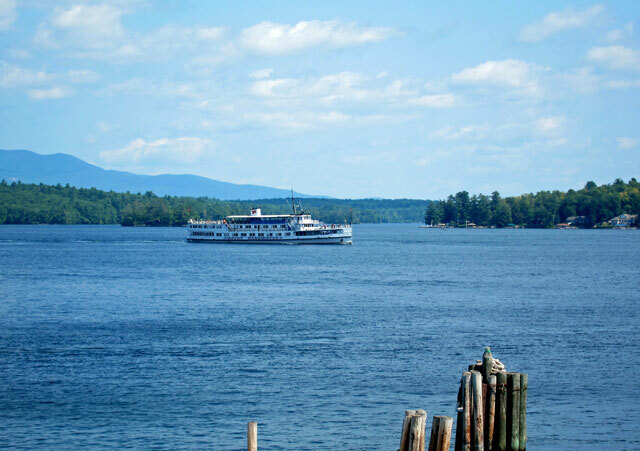 Monday’s plan was to take a cruise on the MS Mount Washington on Lake Winnipesaukee. I could have done a one day combination of rail and sail, but then the temptation would have been to drive home. Instead I choose to separate the rail and sail with an overnight. 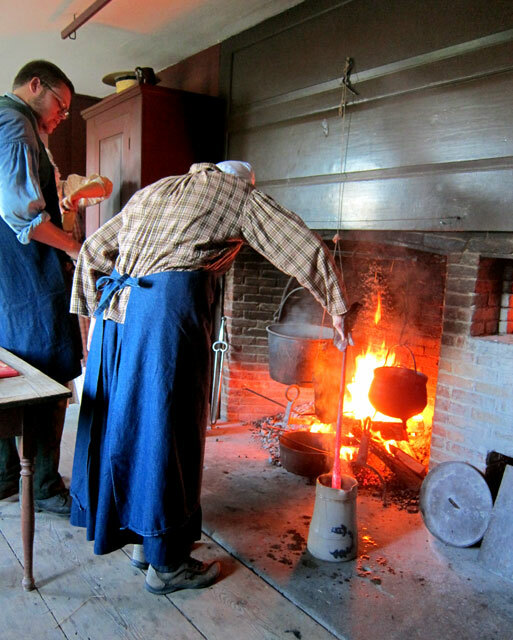 At the continental breakfast I visited with a few couples staying at the Inn. 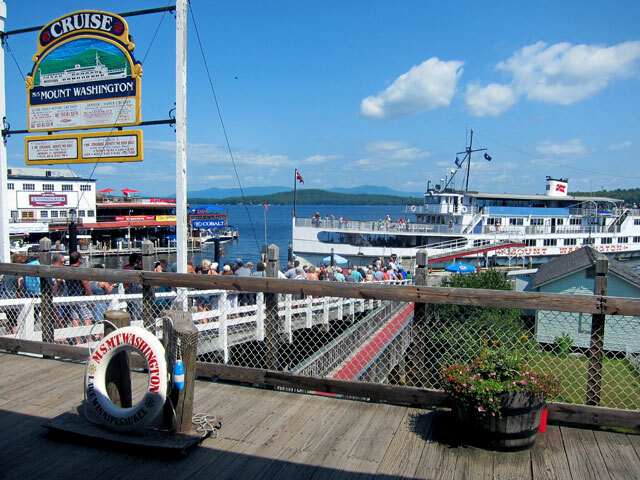 I had thought, and then discarded, touring around Newfound Lake on the way to Weirs Beach. 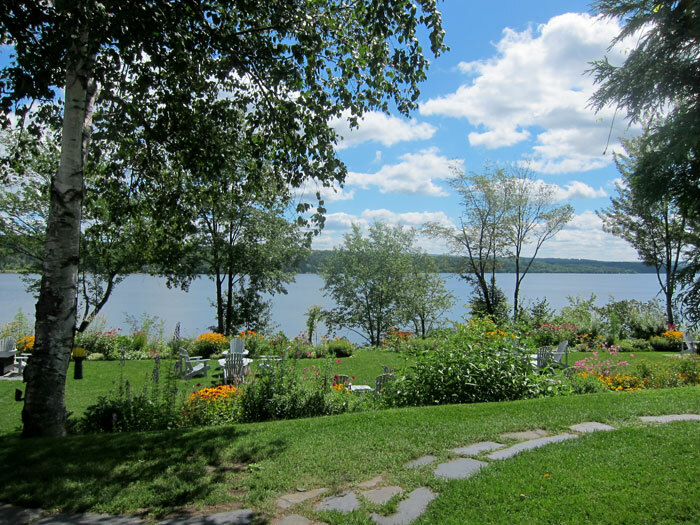 One woman, whose family had over a 100 year history on the lake, convinced me I should take the drive. So heading back north on 3A, a left toward Hebron, to get West Shore drive. 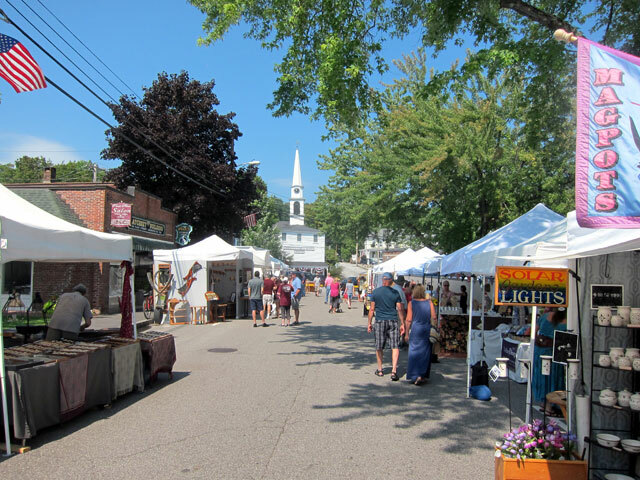 Hebron is a perfect New England Village. This is half of the bucolic green. And, this sign on the porch of the Country Store – I want one. Looping back to Bristol, then Route 104 east to Route 3, and south to Weirs Beach, I arrived. 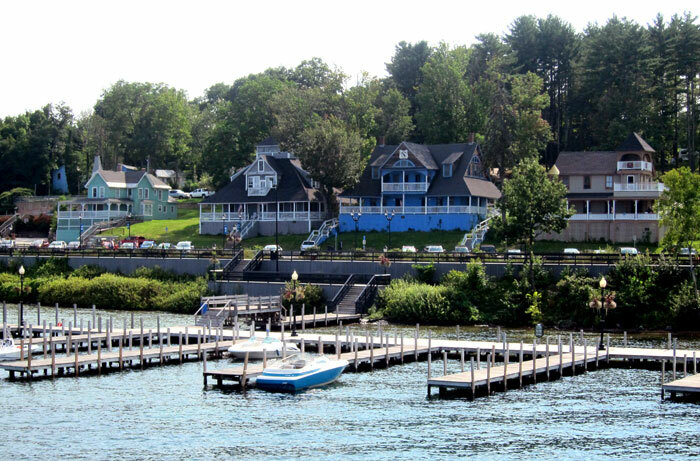 I have visited Weirs Beach for over four decades, and it has not changed. 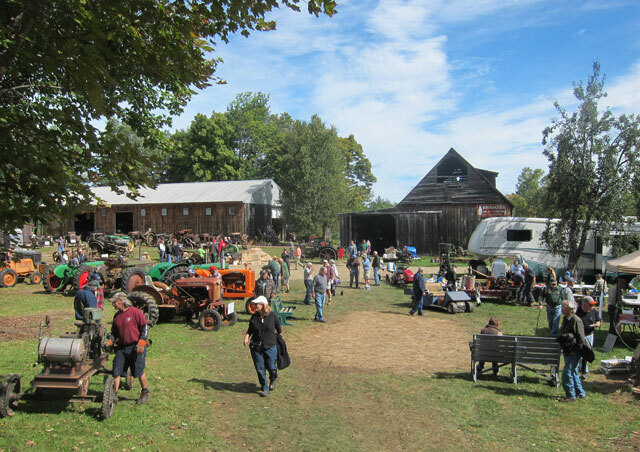 It is the perfect early 20th century lake side honky-tonk with games, gift shops, and food establishments, not to mention 19th cottages and architecture. This view is looking south from the footbridge over the railroad tracks. 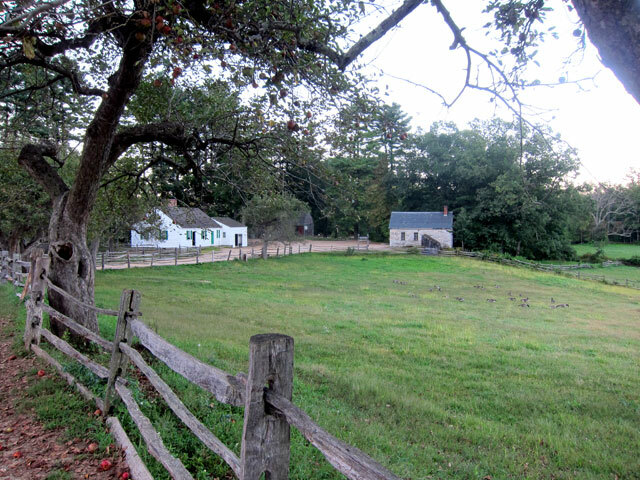 Looking north – to the right is a neighborhood of 19th century summer cottages. The machines have changed, and I forgot to look for the Skee-Ball machines I played with the boys, getting tickets, then prizes. 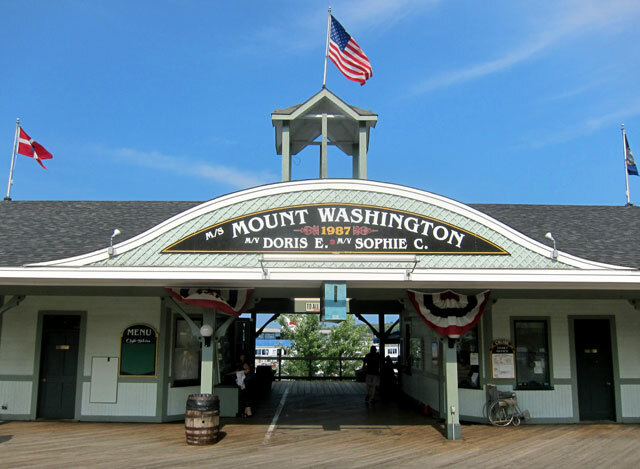 I then headed over to wait for the cruise on the MS Mount Washington. checking out the wheelhouse, I approved. Everyone has always wanted his or her own island. And, a close-up. 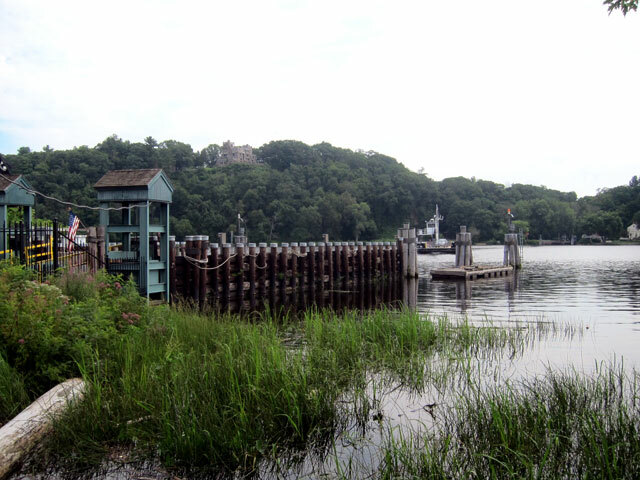 On the marine railway is currently the original mail-boat undergoing some repairs. 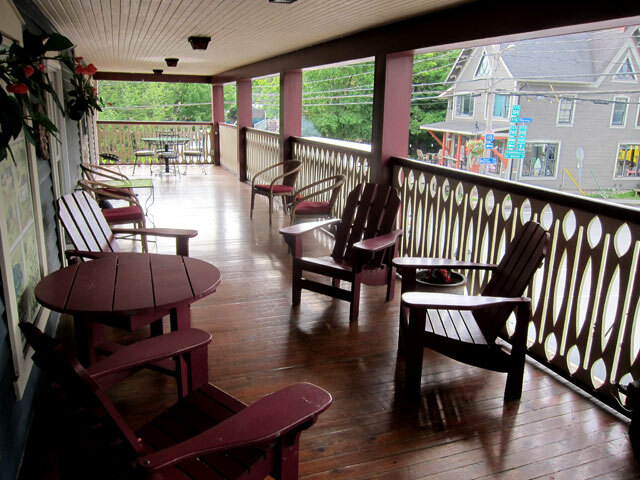 This is where the MS Mount Washington is pulled up for the winter. Notice Tom on the pier tying up the ship. 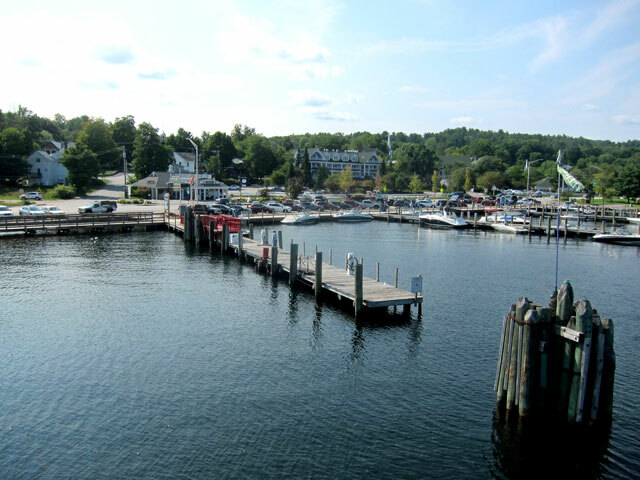 Tom was at Weirs Beach, now Center Harbor, and then met us at Meredith before we again saw him upon docking in Weirs Beach. I told him, “I hope they are paying your mileage and speeding tickets.” Too much fun. And, then pulling into Meredith. 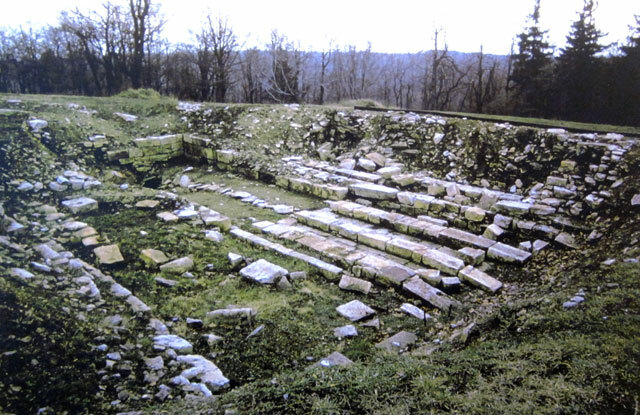 Remember, this is what you see traveling through. As I mentioned before, Main Street is just up the hill. 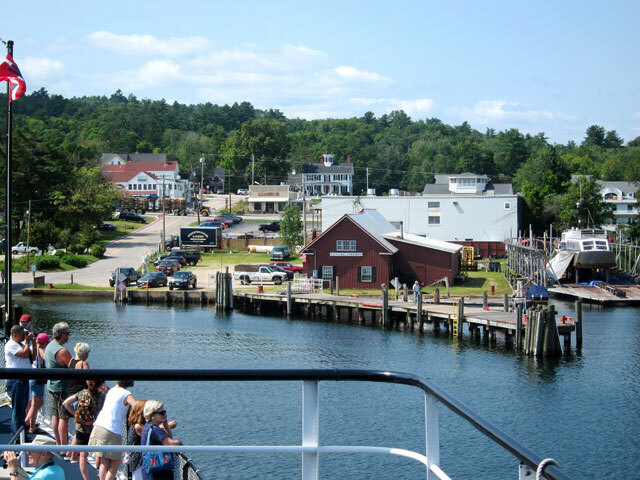 and, back to Weirs Beach, and my favorite buildings there. 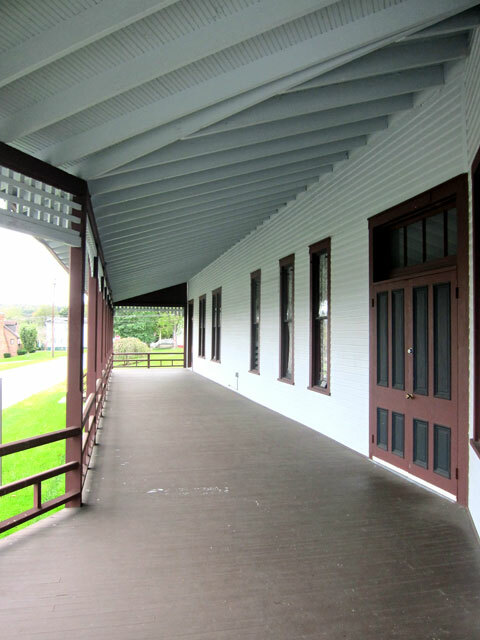 Built for Civil War veterans for their post war encampments. Just beautiful. Several years ago Ms. T loaned me a bag of Louise Penny mystery books, but sadly I never got into them. 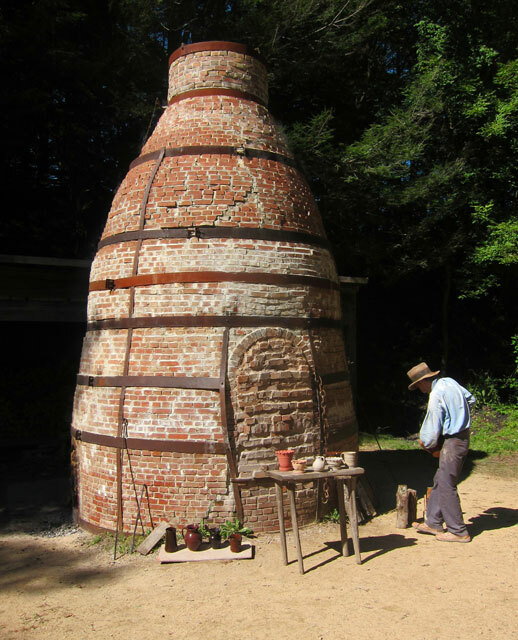 Last year she and a friend journeyed overnight to Knowlton, vowing to return. 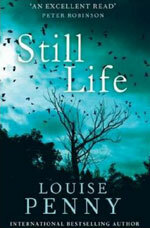 A few months ago I was encouraged to pick up and read STILL LIFE. I have now found award winning Louise Penny a brilliant writer filling her tales with intriguing paths of learning and characters that are flawed. There is so much psychology revealed by her characters and you get to understand yourself and others better. 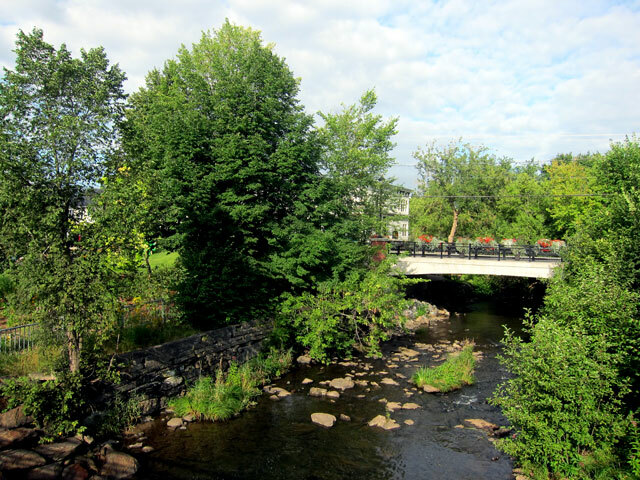 Set in Three Pines in the Eastern Townships, Chief Inspector Armand Gamache is the quiet hero who heads murder investigations, and becomes good friends with the town’s residents. 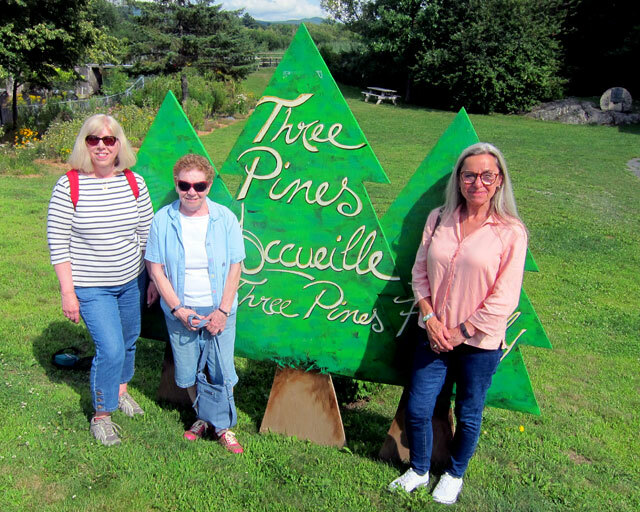 I became hooked, and in conversations with Tara, Carolyn, and Chris, we needed to search for Three Pines. But alas, Louise has created the town from an assemblage of places in the Eastern Townships all a short distance from Knowlton. Did you know you can get there in only three hours? 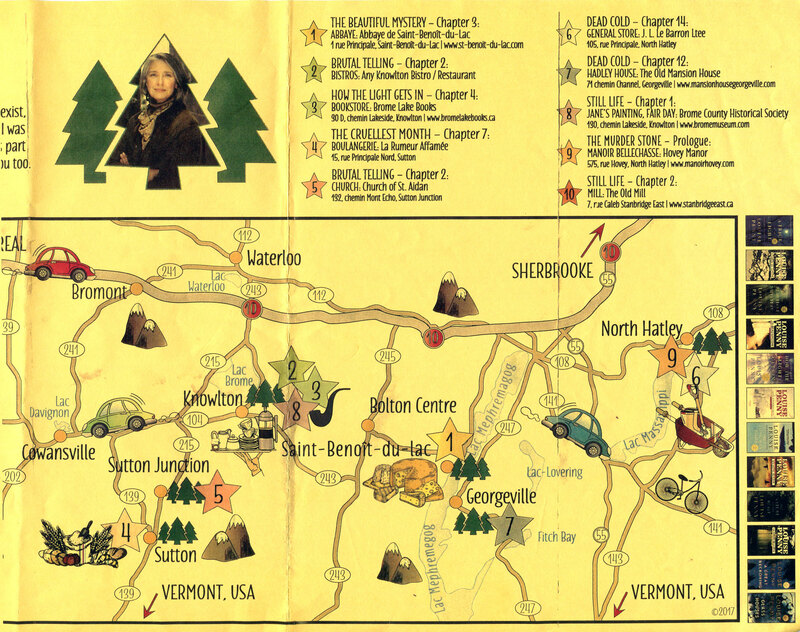 We met briefly, reviewed the “inspiration” map below (which you can click on to enlarge), and booked our rooms. 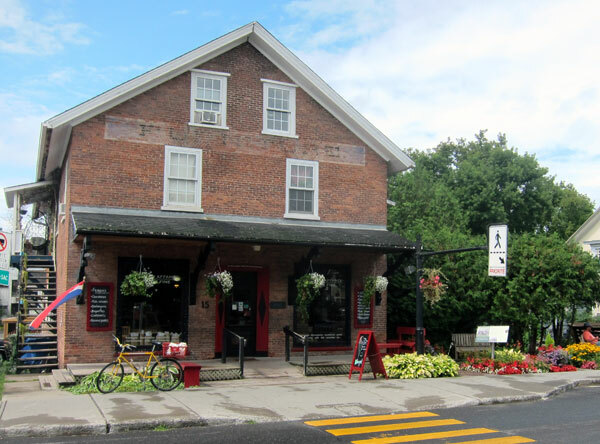 Leaving early on Tuesday the 14th, we crossed a remote border spot (again, you know I love those) and headed to Sutton to have lunch, but also to see the inspiration Boulangerie (below) for THE CRUELEST MONTH. 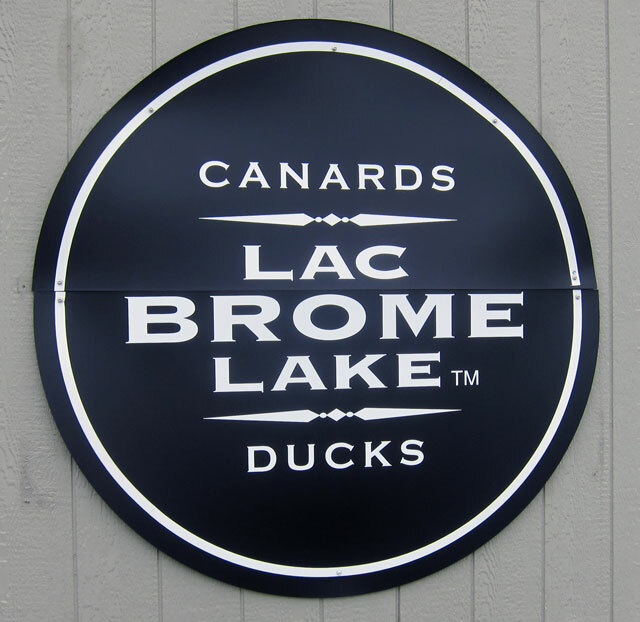 Then we circled up through Cowansville, through Bromont, then east to Route 243 to head south to Knowlton, passing along the east side of Lac Brome. 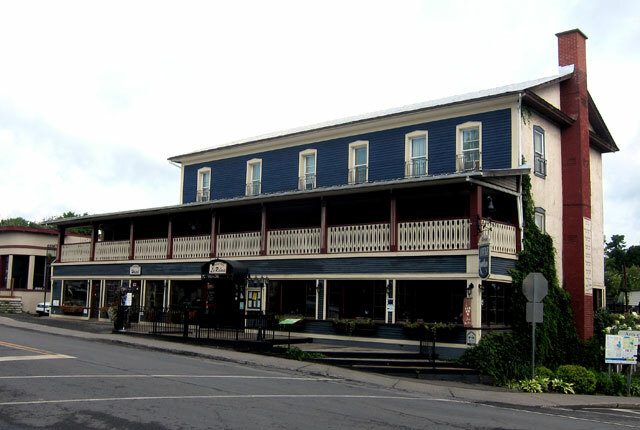 Lodging was booked at Auberge Knowlton, built in 1849, and the oldest continuously operating hotel in the Eastern Townships. 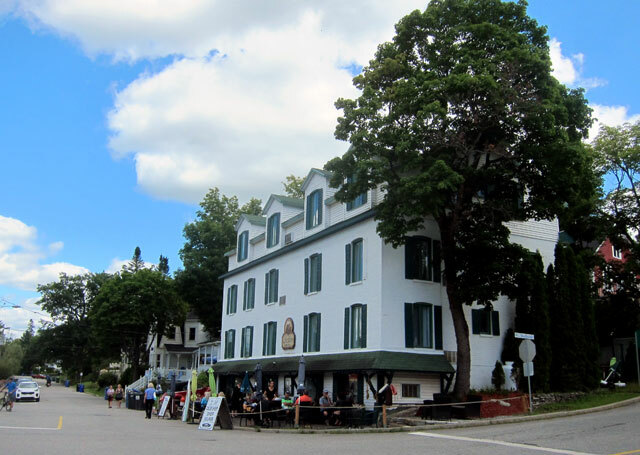 Considered to be the B&B and dining room that Inspector Gamache stays at, Louise Penny is often to be found here. 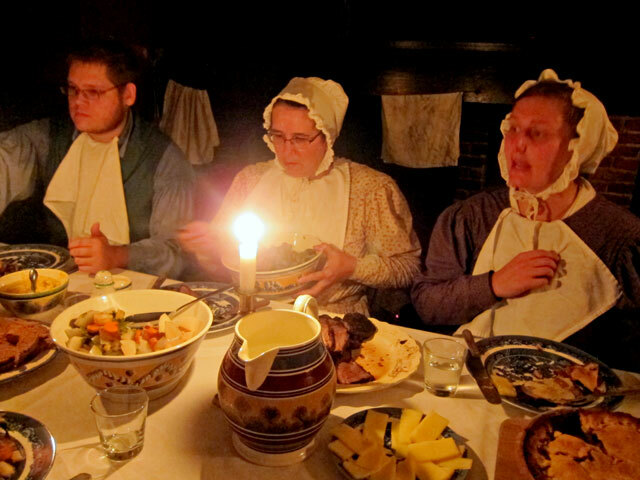 Our host said that the week before she had dinner three evenings there, and recently Louise’s good friend Hillary and husband Bill (along with a number of cloaked gentlemen) enjoyed the fare. Note the duck – more on that later. 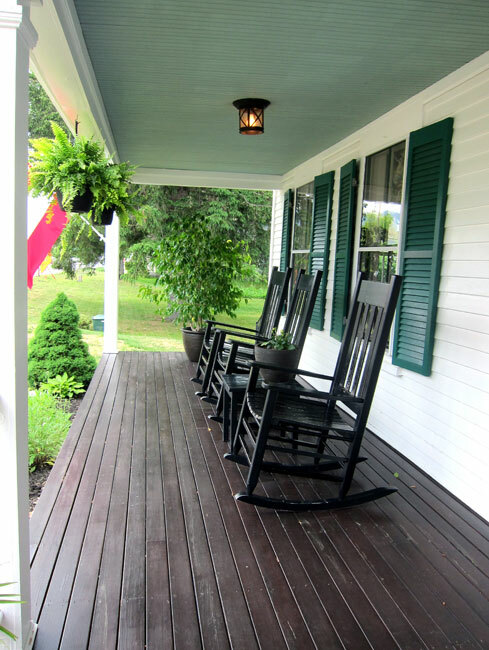 and, where we spent our time, the second floor porch. Sitting with wine, cheese, and our new best friends (also on Louise Penny pilgrimages) along with our host. I never got to read a single page, or even have to recharge the battery on my laptop. 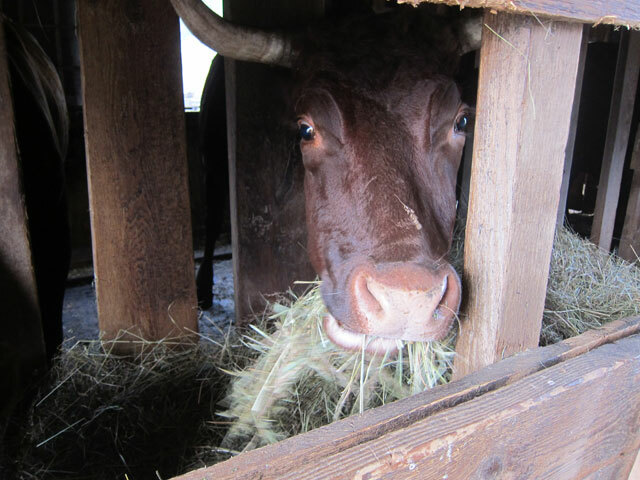 We talked and talked – that is except when a 53 foot tractor trailer, or massive dump truck went by. Ends up this is the busiest intersection in Canada. Well, it seemed that way, we laughed about it, but never a sound was heard inside. Before dinner we went for a walk, and YES, we had found THREE PINES. 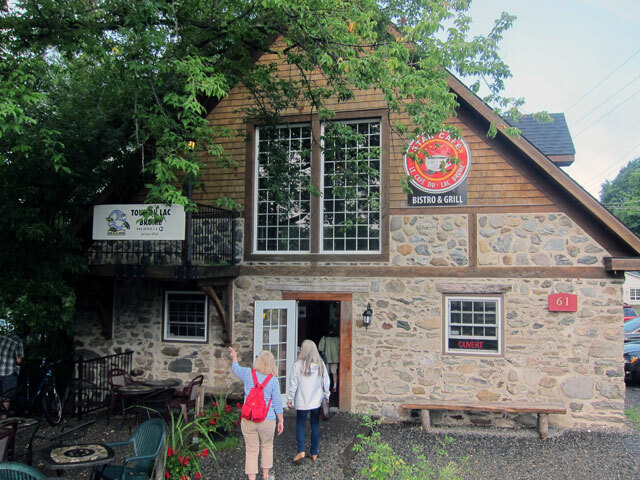 Knowlton is the base camp for Louise Penny fans, and the bookstore (also to be found in Three Pines) the Center of the Gamache World. 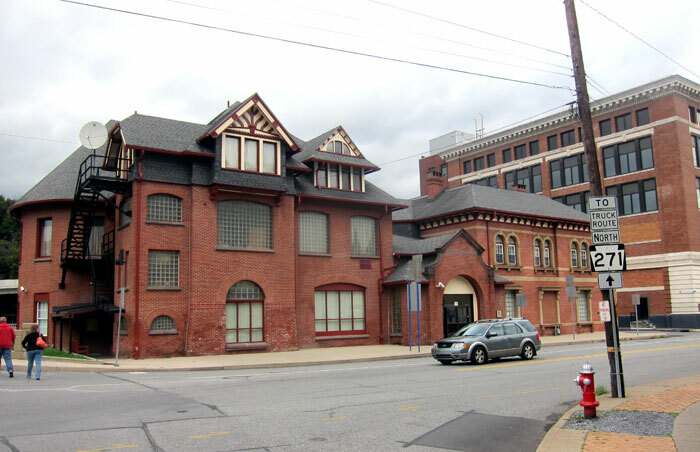 This building (on the site of an old mill) was built in the 1980s, but wonderfully done in the style of the Victorian village. 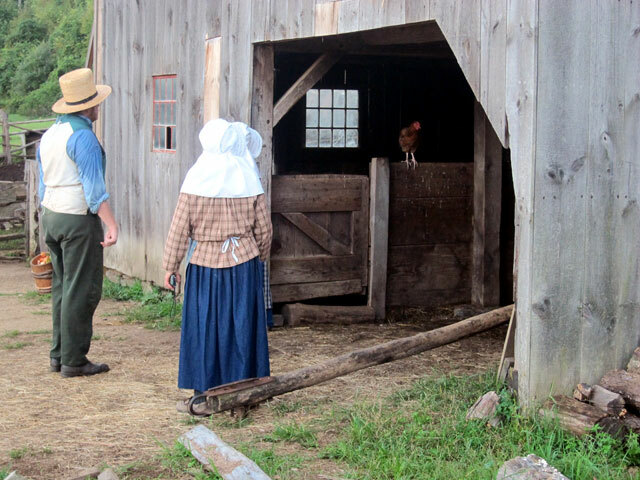 One must remember, the Eastern Townships really only got populated in the late 19th century. 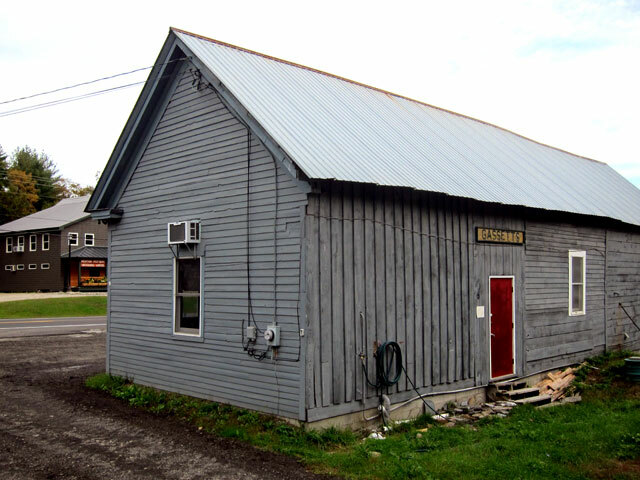 A nice bookstore, new books, but not many, it is probably the Gamache pilgrims that keep the shop alive. Here is the Louise Penny corner. 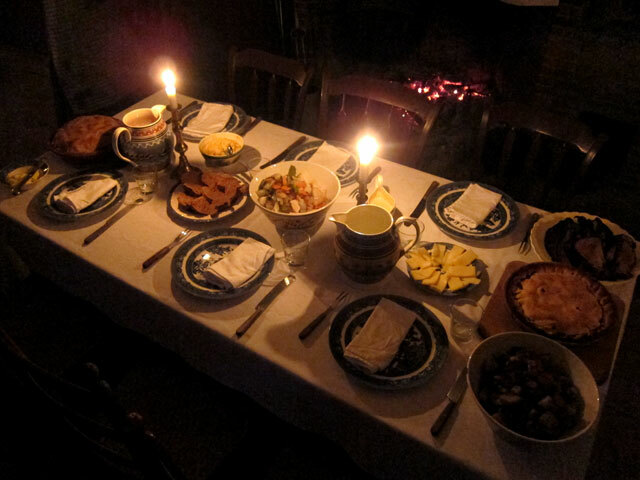 It was then dinner time back at the B&B, and I had (believe it or not) Duck Breasts (more on that later). Wednesday and also Thursday mornings we walked around the corner, crossed Coldbrook, and took breakfast at the Star Cafe. 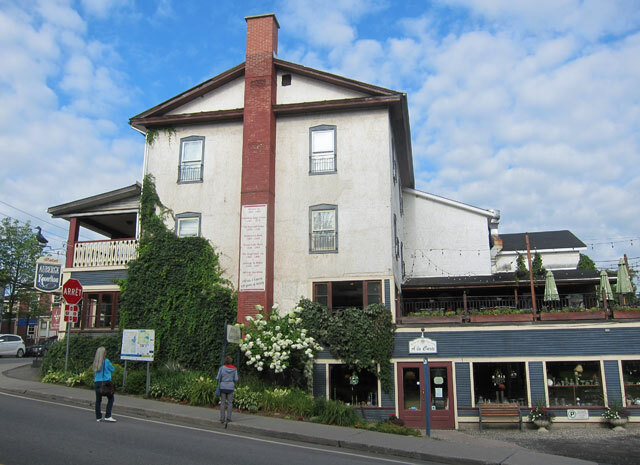 Built as a tannery in 1843, a fire in 1903 left only the stone walls. Restoration in 2009 created this wonderful place to eat. 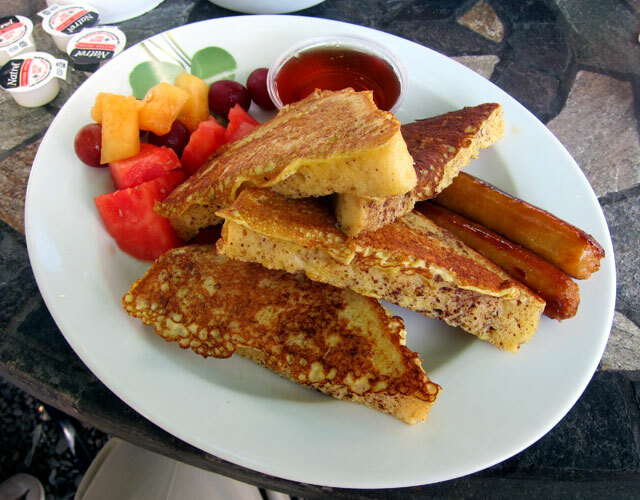 I did not get a picture of my colorful breakfast on Wednesday (just like in Deep River the week before), but did capture my French Toast on Thursday (just like in Deep River). 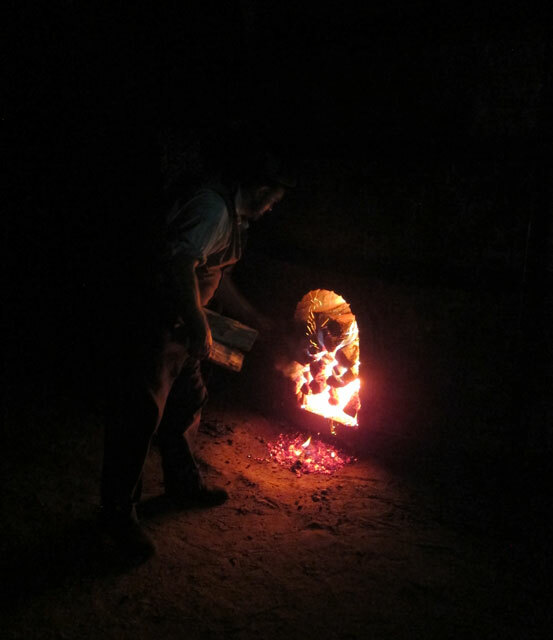 The breads in the Townships are amazing. Sometimes I (and this time we) have too much fun. 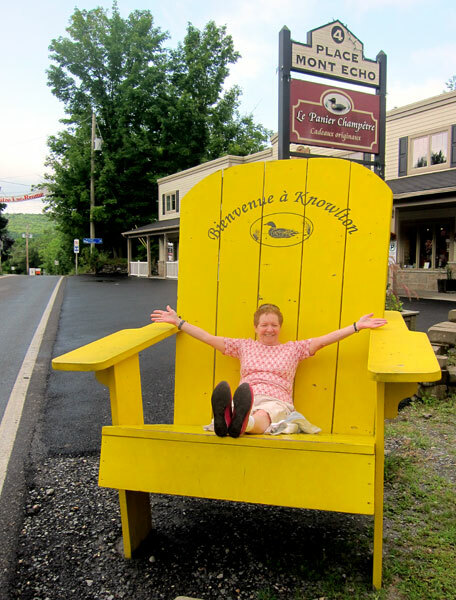 Here is the smallest in Knowlton sitting in the largest. 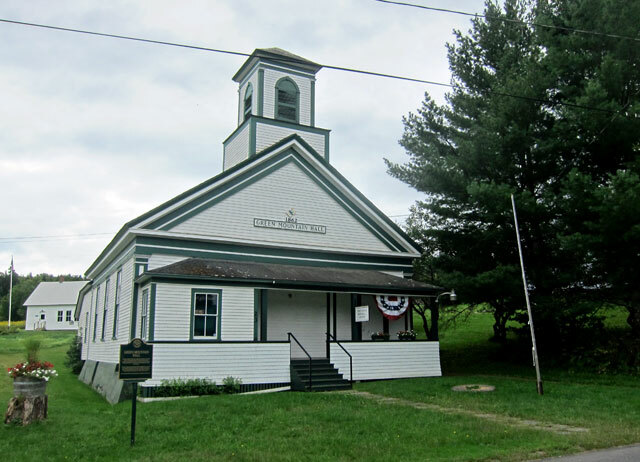 If you only visit Knowlton for the day (possible from here), you have to visit the Brome County Historical Society, and its buildings and exhibits. 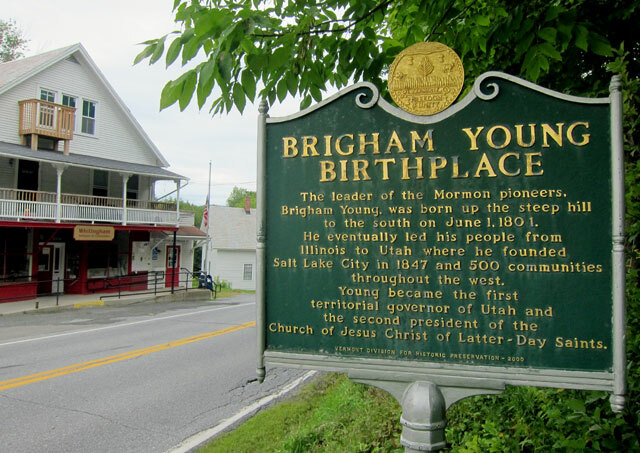 I remember driving by in 2013, took a picture of the sign then, but we spent over 1 and 1/2 hours there – worth the trip. 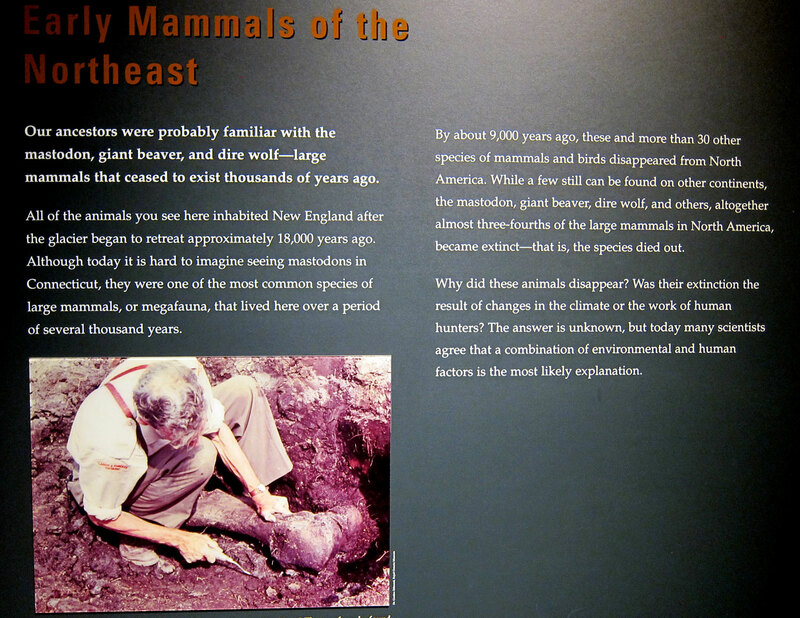 Here are some images around the museum, and, as you know, you can click my “galleries” for larger images. A display room in the Old Academy building. German Fokker DVII plane, obtained as a war prize after World War I. The only plane left with its original fabric covering. 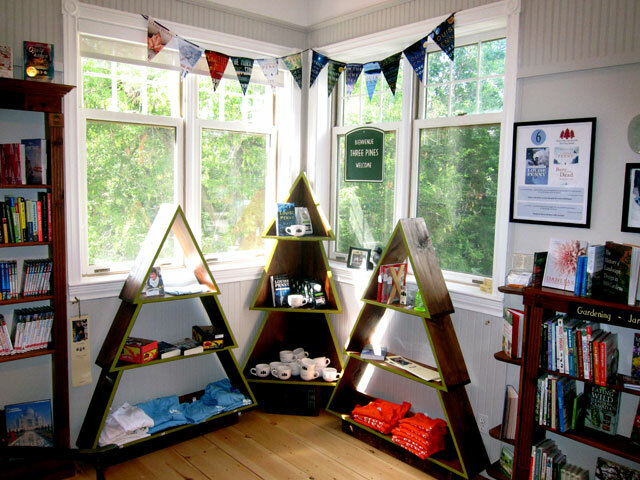 General Store exhibit – you know me and general stores. The children’s hands-on museum was AMAZING. 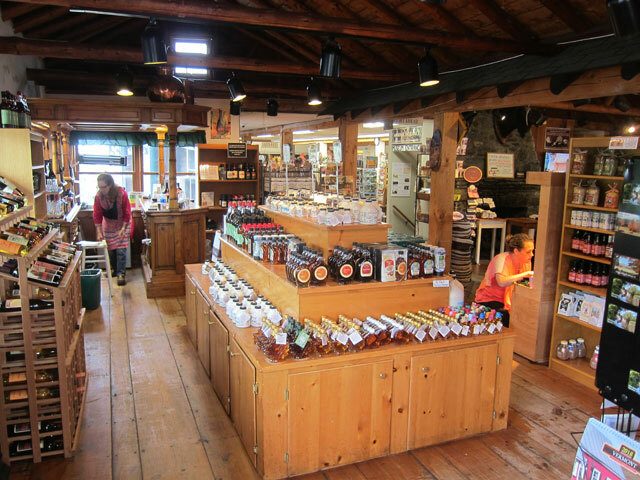 Here a young lady is clerking in the country store. 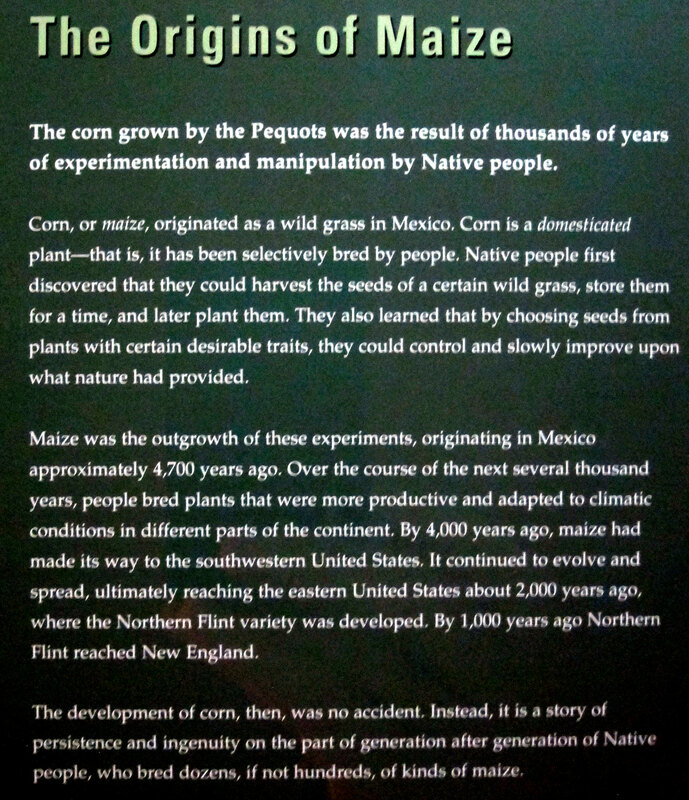 And the farm exhibit in the Children’s Museum. 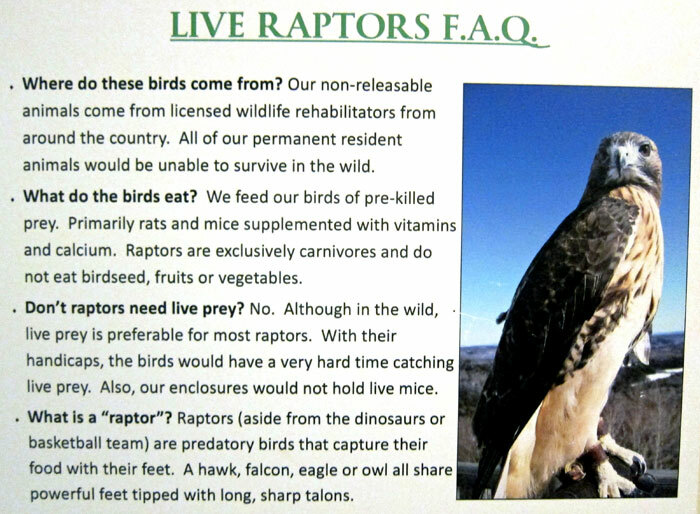 There is so much to see, and learn, but here are a few panels of information I need to share (and you can click and enlarge for larger type if need be). 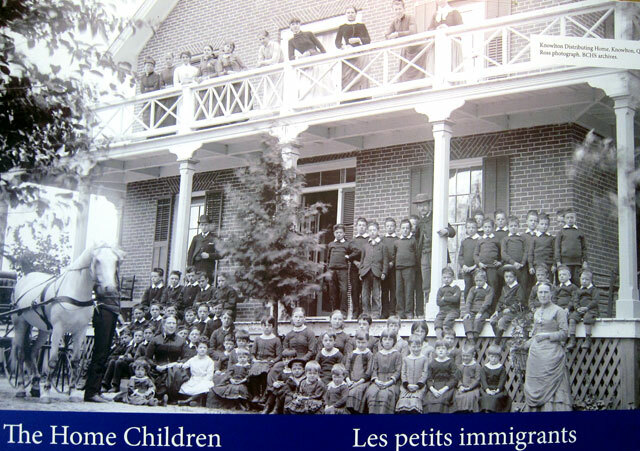 This exhibit on bringing children to Canada from the British Isles was fascinating. 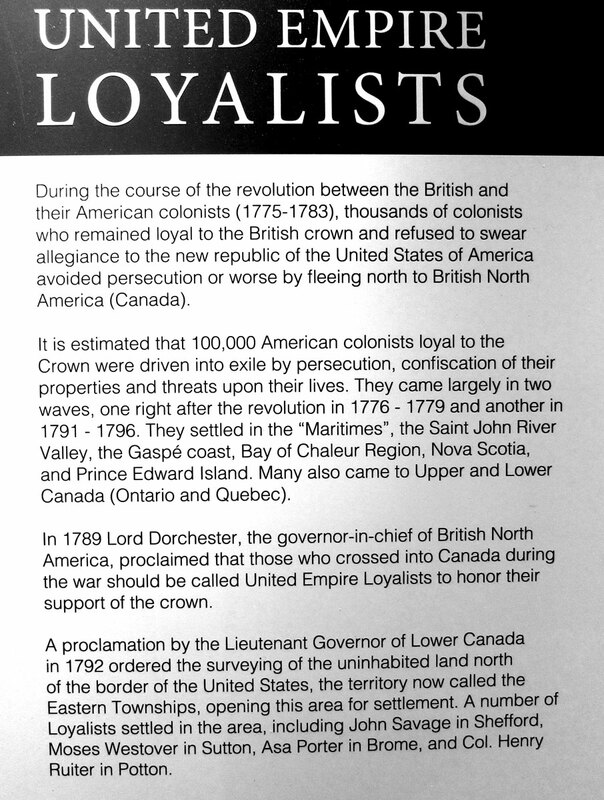 Pondering why we (the US) did not do something like this, it hit me “Canada, a British colony, was solving a British problem. A transfer contract for a child. 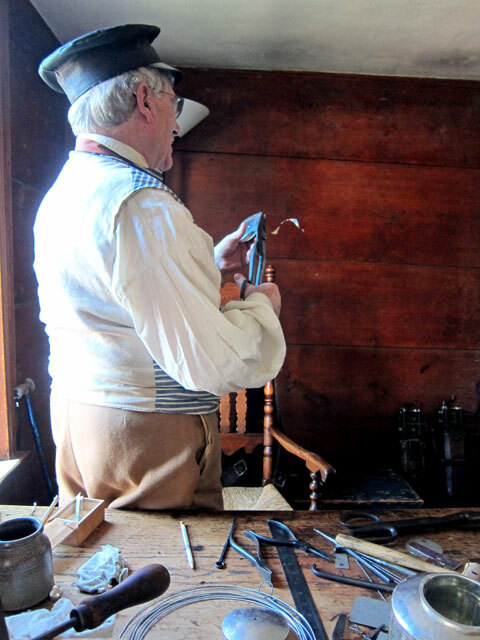 RAY RECOMMENDS — Visit the Museum in Knowlton. Touring the streets, here is some “street art.” How many handbills have been posted over time? Remember I said I would be back to Ducks? 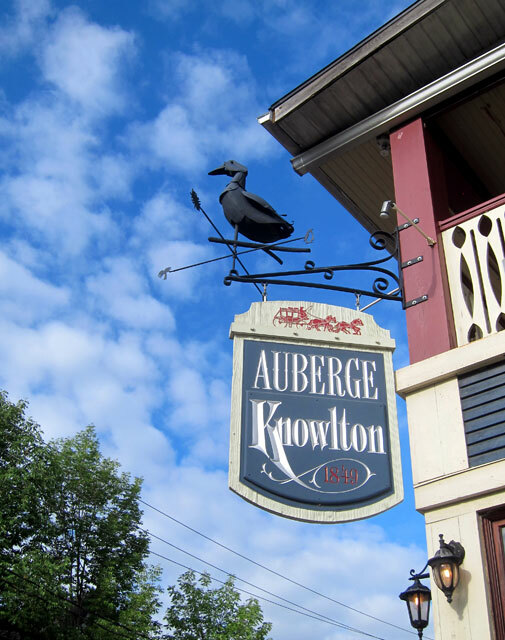 Remember the duck on the Auberge Knowlton sign? 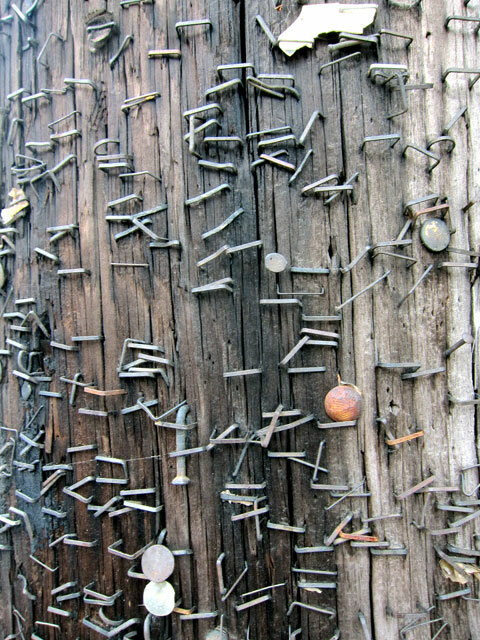 Well, there are duck images on all the poles in town. Why you ask? Seems as though over 3,000,000 ducks are annually raised in town for human consumption. 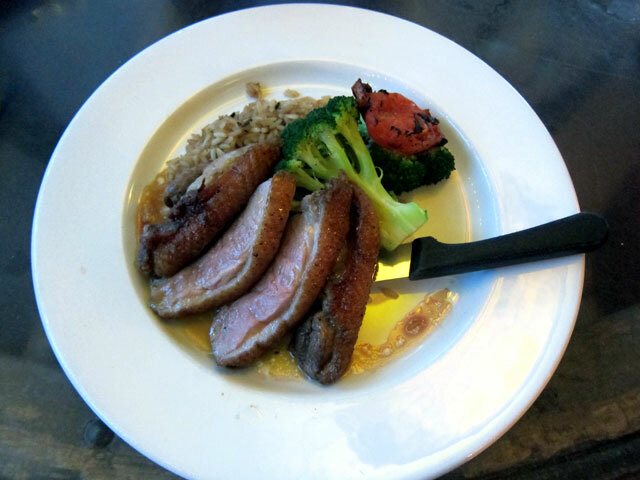 You see duck on every menu – not so in the states. 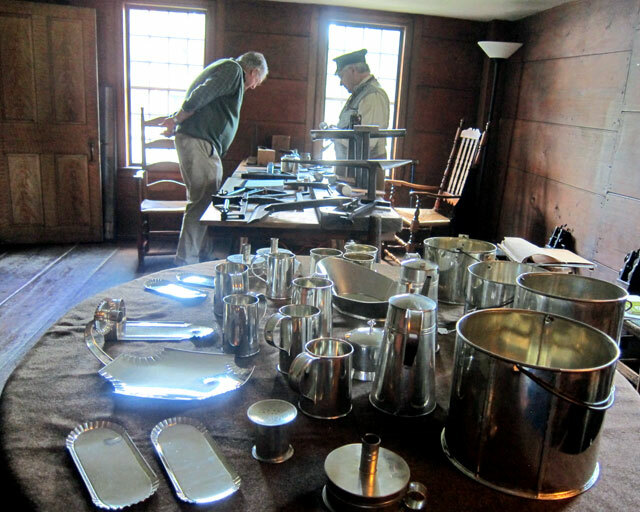 We visited the facility, and below is some of what you can buy. We then had lunch on a porch along the river. 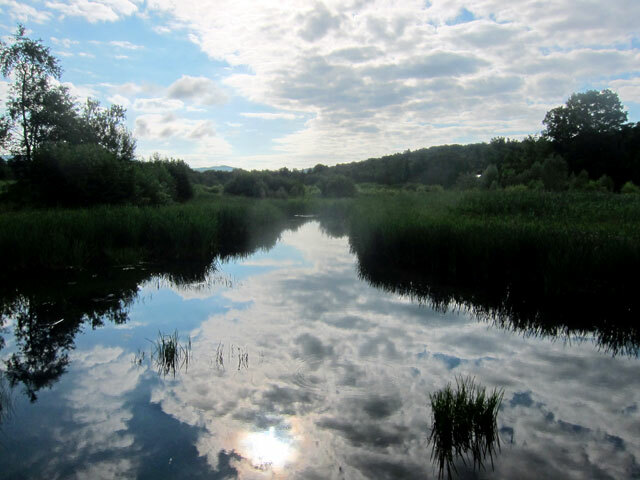 Just so relaxing here – I think I have another RLI and Stockbridge. 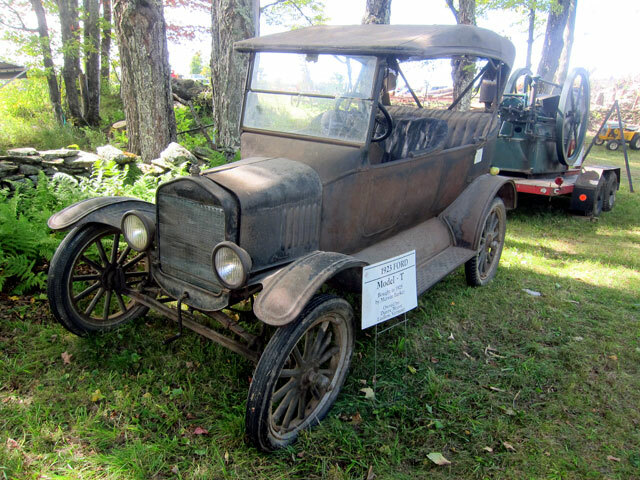 One of our party (remaining nameless) then retired for a nap, and the hardy drove on touring remote roads heading around Lac Brome clockwise. At the top of the lake was a visitor center in the original Foster Railway Station (moved to that spot) and I obtained great travel literature for upcoming adventures. Diner then was outside at the Knowlton Pub. 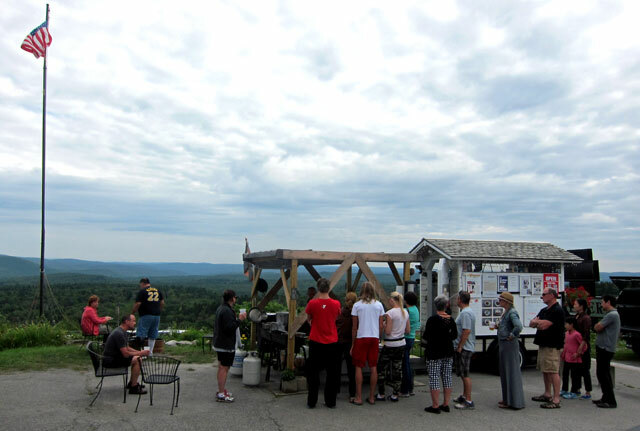 Following was another amazing evening on the porch with our host, wine, Louise Penny aficionados, and trucks. “Throw me in that briar patch,” says RAY. Thursday plan was to head further east, first to the Abbey de Saint Benoit du Lac (Cathy and I visited many times) where one of Louise’s books is set, and then to North Hatley and the Manoir Hovey, the setting of her fourth book – A RULE AGAINST MURDER – which I was reading at the time, and finished last night (late). 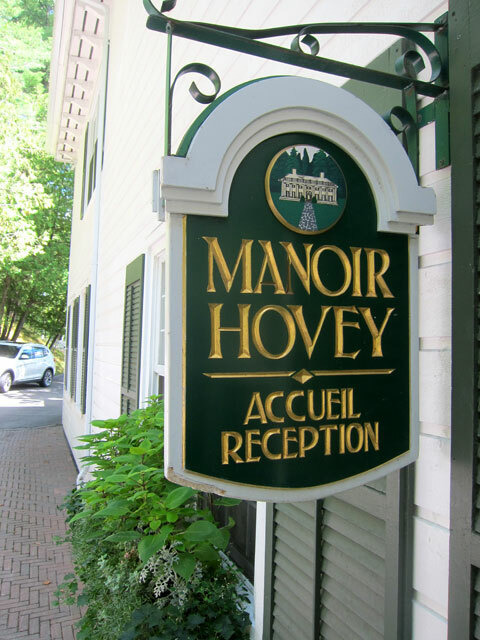 Built for the Robber Barons on Lac Massawippi, the hotel and grounds provide an early 20th century experience at a high end 21st century price. 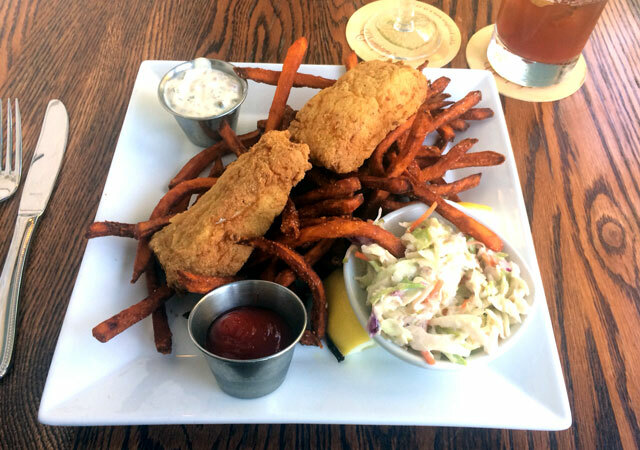 We took a look at the lunch menu in the tap room. 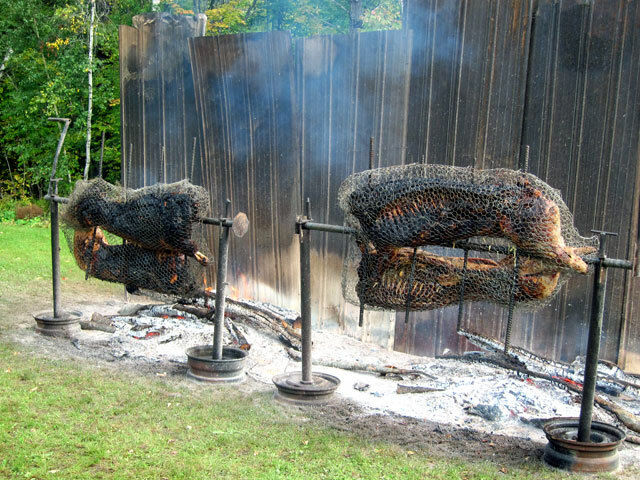 It was not the price that kept us from staying – there was nothing intriguing on the menu. But maybe someday I will stay with someone. 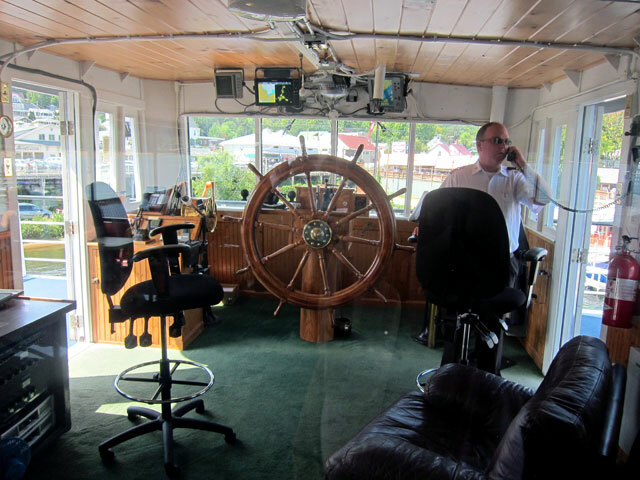 Here is a galley of views in the common areas we experienced. I have no idea why the books in an inn’s library are what I, as a bookseller, would be tossing to be recycled into new books. 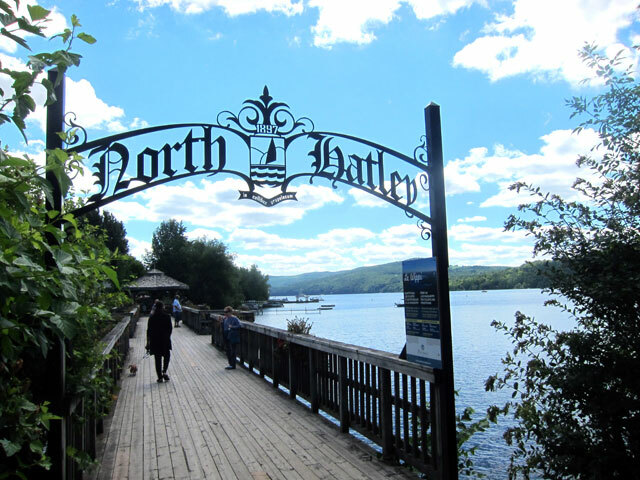 And, then it was onto North Hatley. Just three hours from home by direct route (play with Google Maps), and I am ready to head back. 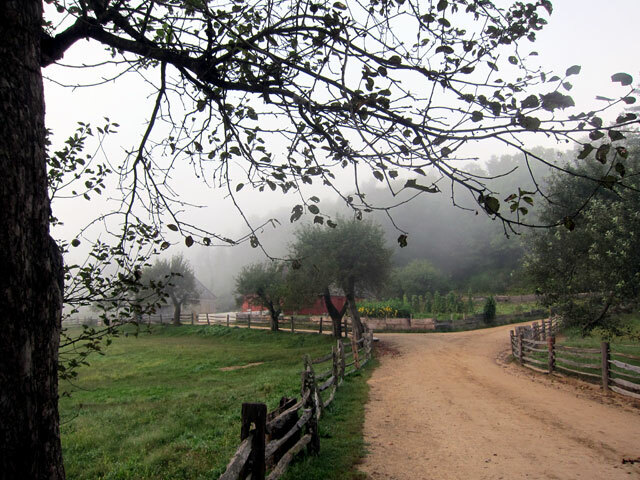 What a perfect, lakeside, bucolic village, and attuned for visitors. Again, amazing meals, and amazing presentation. 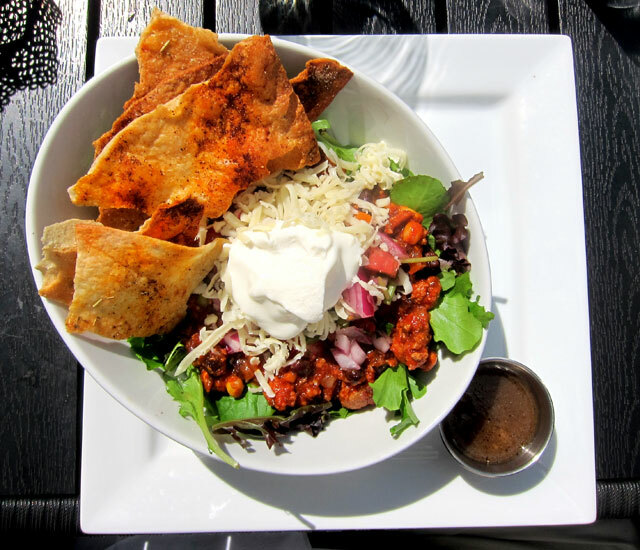 Here is my Mexican salad. For a day plus we debated how to cross back into the states. A friend recently told us he spent two hours awaiting customs returning from Montreal, but that was a Sunday, and on I-89. But here we were close to the I-91 crossing. Would it be as horrendous? But it was Thursday afternoon – let’s take a chance. I looked at the map. 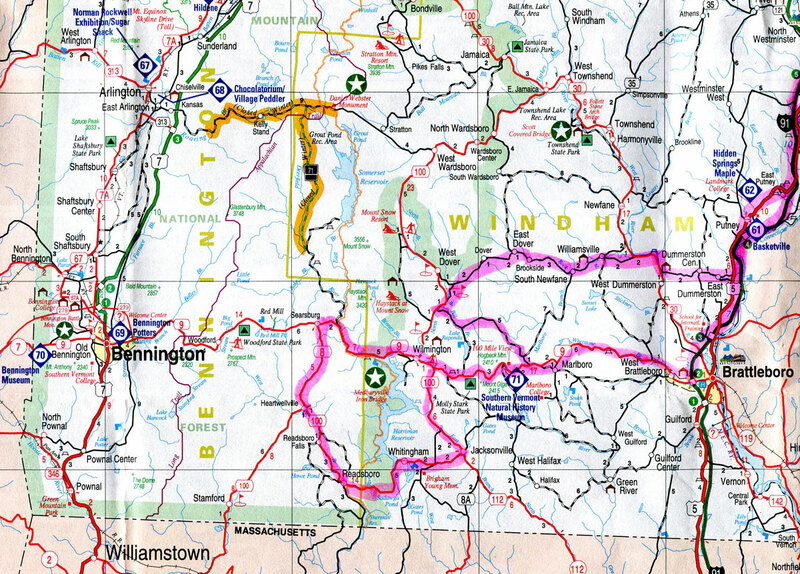 Route 143 would take us almost to the border at Derby Line. Let’s go for it, we decided. 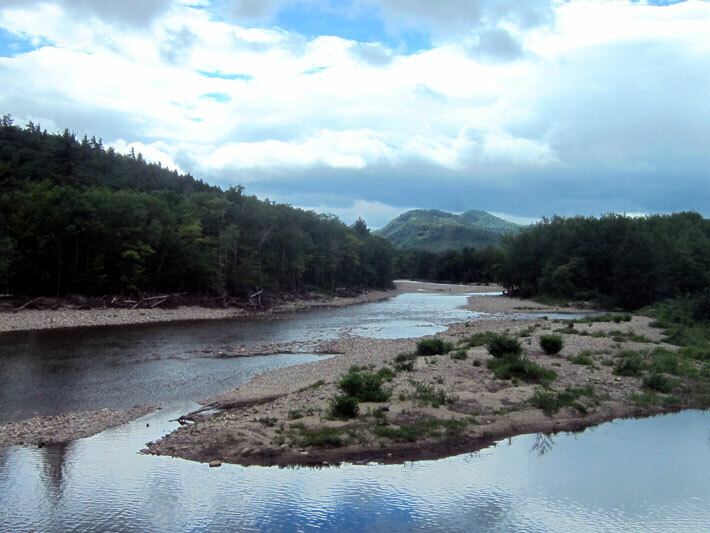 GOOD CHOICE – Route 143 from North Hatley to Stanstead has the most gorgeous vistas I have experienced. But, sadly in minutes we were at the junction with Canada Interstate 55. I hopped on, and before I could get up to speed we were at the border. Hours wait? NO, I was the second car in line, and we sailed through. Of course, I did get looks with a cargo of three ladies. 2 – You do not even have to get Canadian money. You can use a credit card for everything, and the best part — the EXCHANGE RATE. I can remember spending $1.20 US for a Canadian dollar, and I can remember times with an even exchange. BUT RIGHT NOW – 76 cents gets a Canadian dollar – I researched, but cannot find out why. What that means is that my two nights lodging and all meals for three days cost me $360 USD. 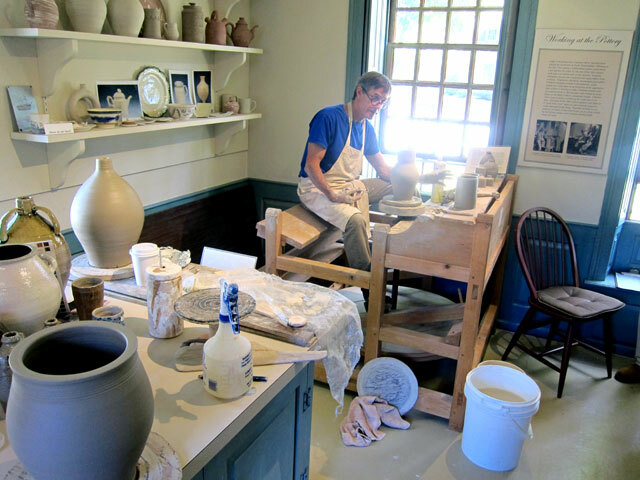 Wednesday, August 8, was my “full day” away. 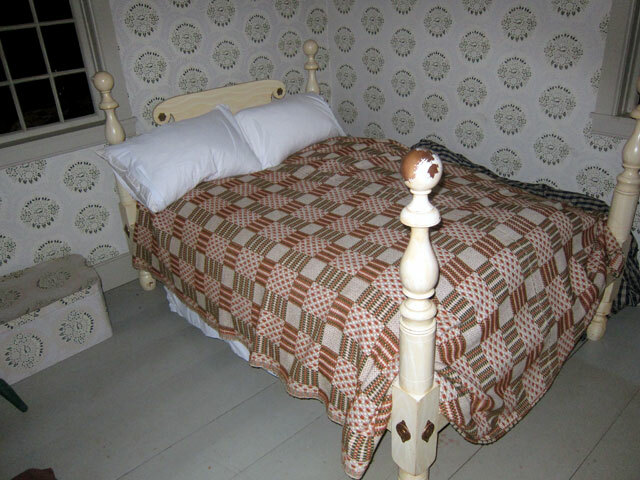 As I have discovered, and told you, it makes the most sense to remain in the same place for two nights – and then have a full day of exploration in-between the two nights of rest. 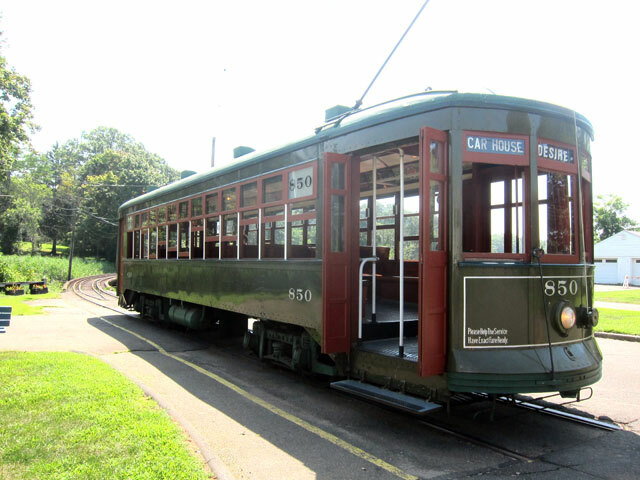 My plan for the 8th was to journey to the Branford Trolley Museum, now The Shore Line Trolley Museum. 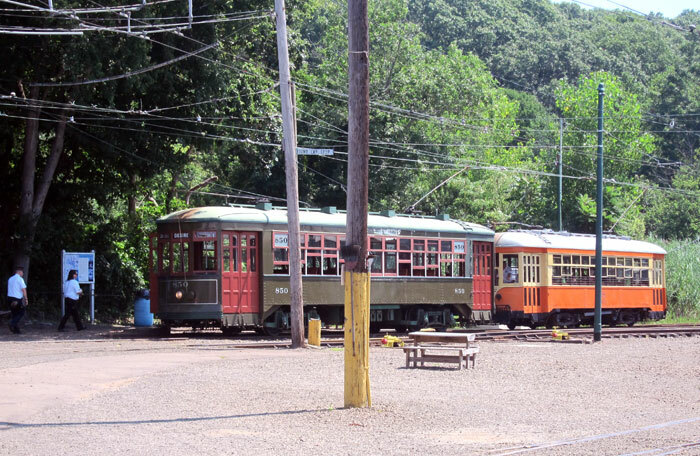 In 7th grade, Peter Hottelet (son of journalist Richard C. Hottelet) got me hooked on trolleys. 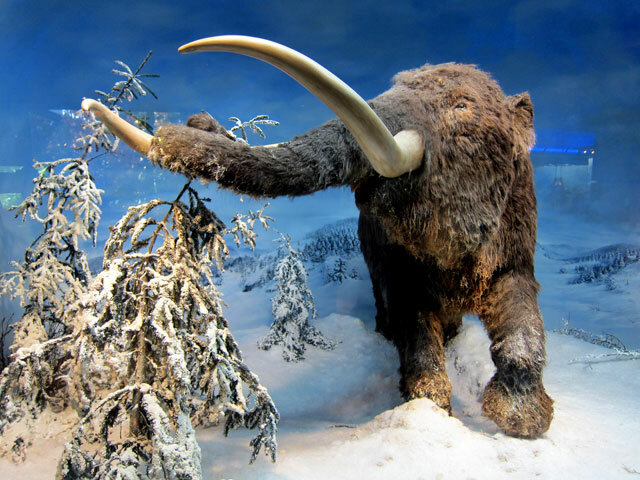 I joined the museum, and convinced my parents to take me there in about 1960. I was a member for years, and wanted to visit again. Also, I wanted to give them all my old newsletters saving them from being tossed by my heirs. 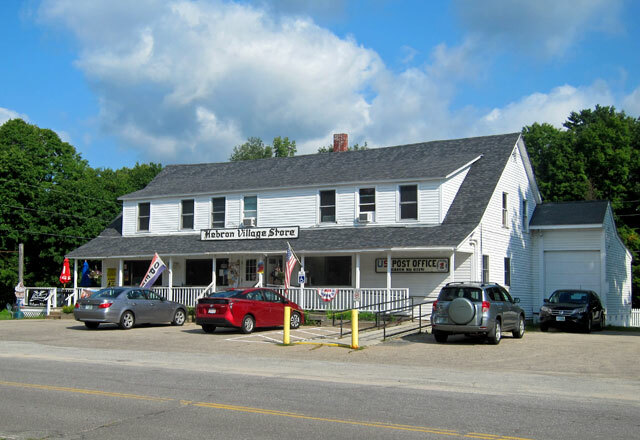 Googling a back road route I discovered that Abington Spares (formally in Walpole) had relocated to Deep River. 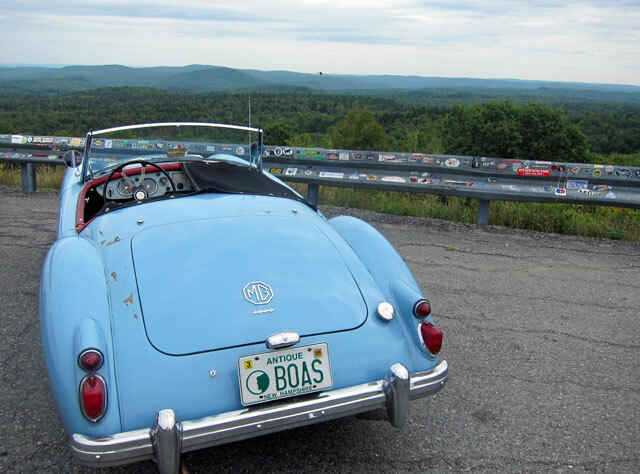 You had better know that the Morris Brothers started building cars at their Morris Garage – MG Motors (and you better know that is BLUE BELLE’s ancestry). And the location – Abington, UK. I stopped and got catalogues for David C. and Dr. Dewey. 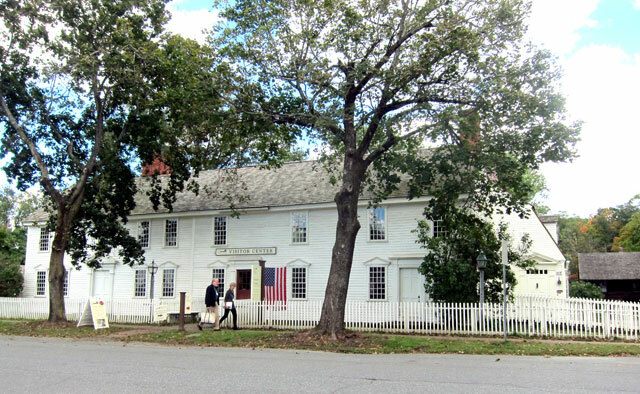 The route I took to Branford – Connecticut Route 80 – give it a try. 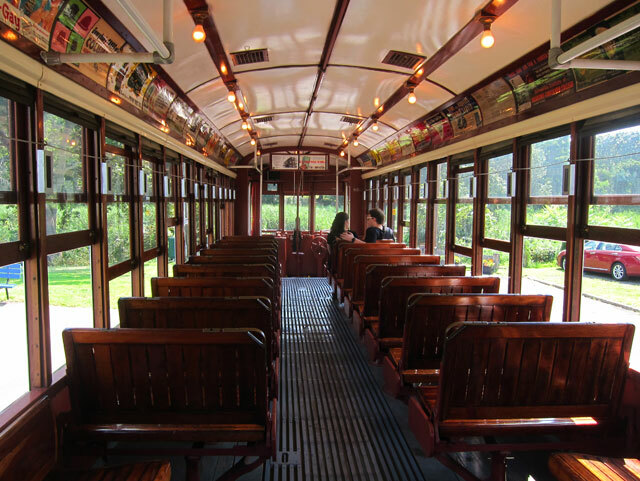 Hard to find, I arrived at the museum and a trolley was waiting for me. 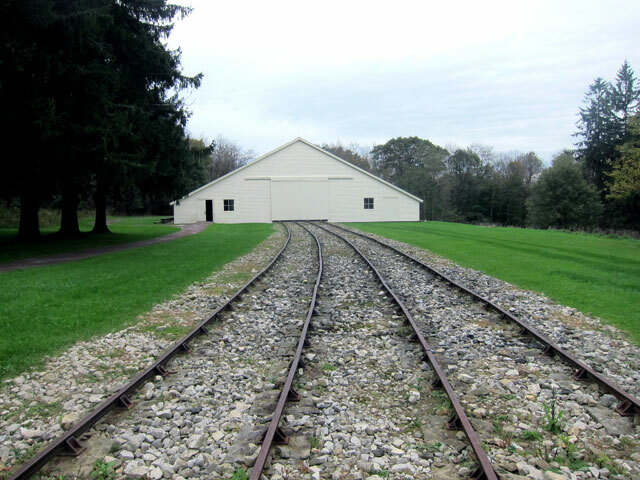 The track in the museum dates back to about 1900, and the line discontinued in 1947. 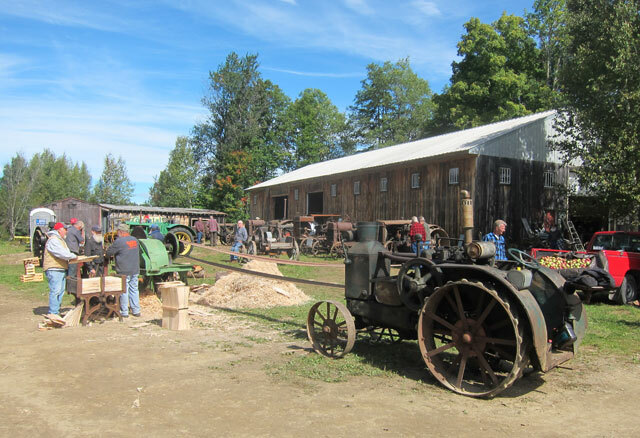 The museum was established at that time to preserve history, collect cars, and use 1.5 miles of the original right of way. The collection now includes about 100 cars, but recent hurricanes brought flood waters in from Long Island Sound necessitating repairs and new buildings on higher ground. You pay your fare ($3.50 with my senior military discount) and get aboard. 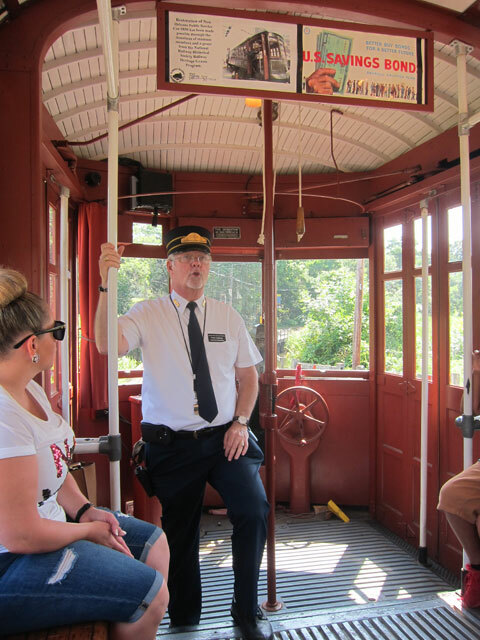 Peter was a great docent touring our small group along the line and in the yards. it was nice to see young families joining in. 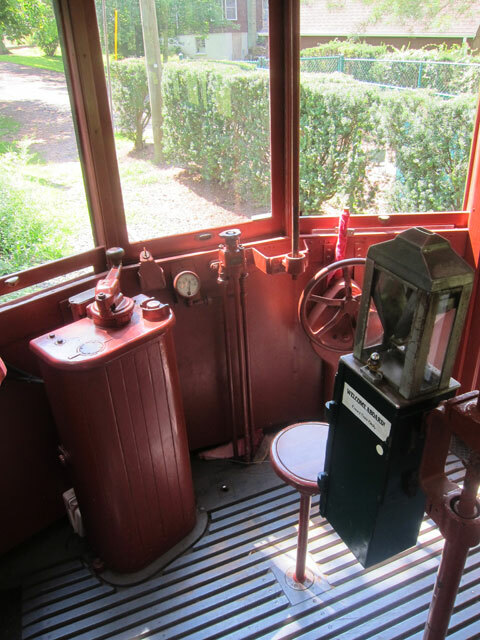 and, the controls (at either end to reverse direction) in case you are not familiar with this mode of transportation. 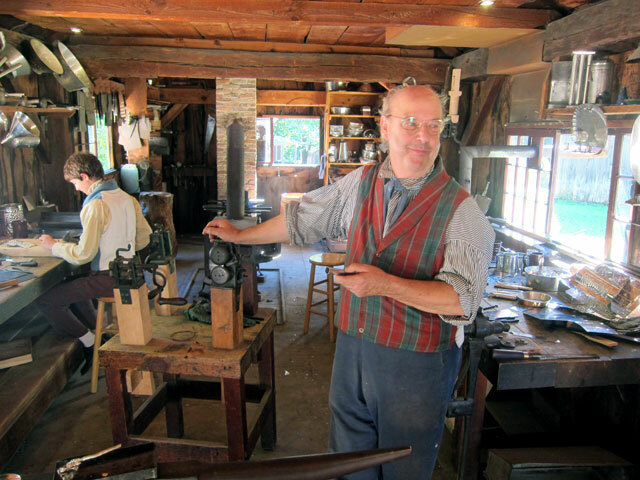 You first go to the end of the line, and then return to the yards for a guided tour. A second trolley arrives with another group. 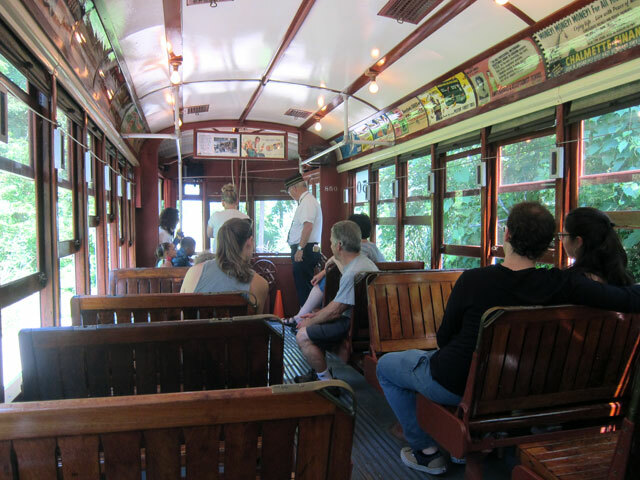 You can stay in the yard to tour on your own, and I did, returning on the second trolley. Note the curved sides. A hang over from earlier models needing protection from mud. The electric motor actually inside and not on the wheels for propulsion. This car simply towed others. Plow and brush to clear tracks. 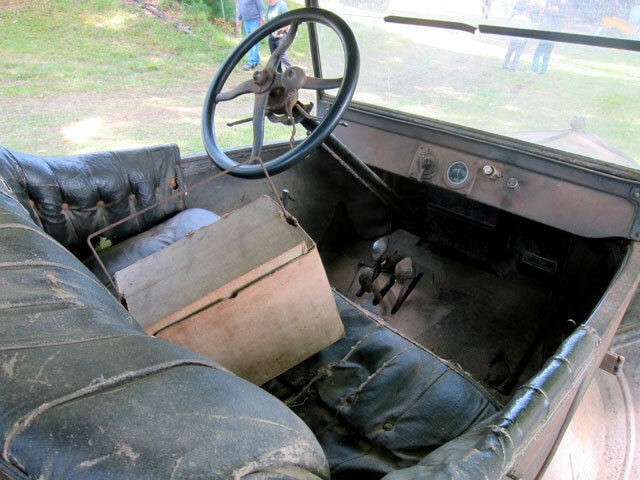 the interior of the car (below) is unique. 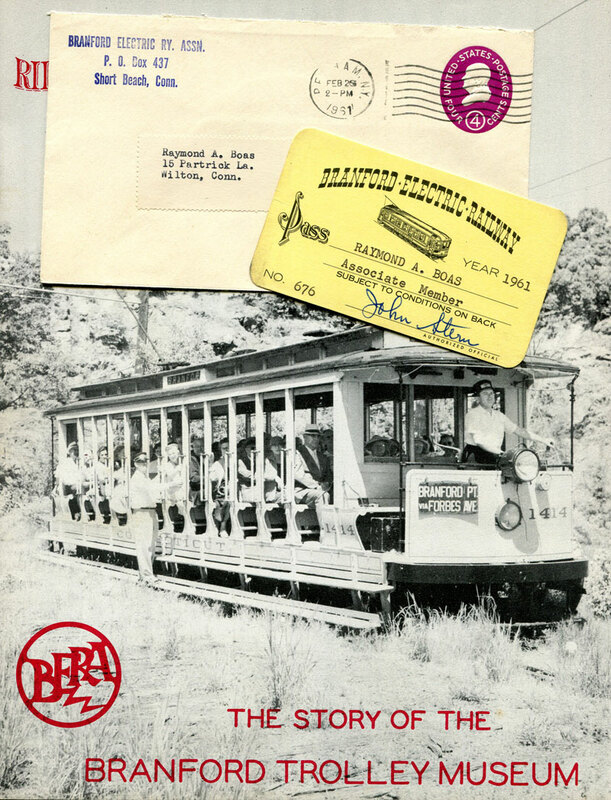 This car was used to take revelers to the Savin Rock Amusement Park in New Haven (yes I have old postcards of the park in my postcard collection). 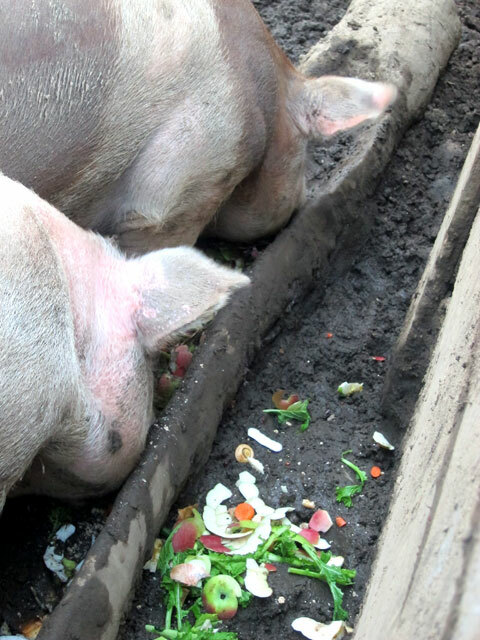 But after a night of heavy beer drinking, the happy guests often “lost their lunch.” The floor of the car is concrete facilitating hosing down, and the seats sat opposite each other for more open space. The museum uses the car for party trips setting tables up in the middle. 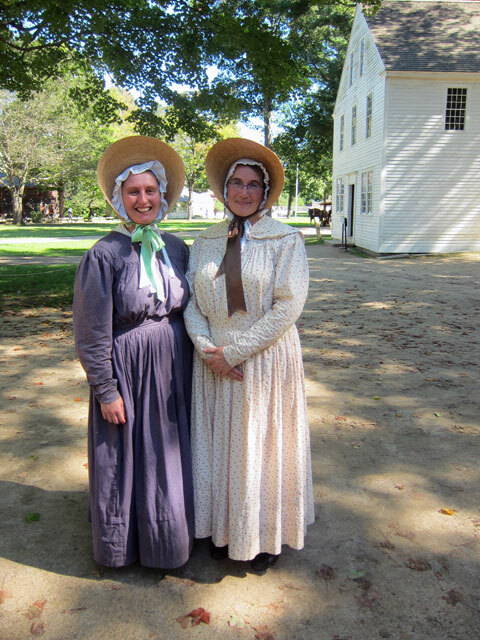 Finishing up at the museum, the plan was then to follow the shore on secluded route 146 back to US Route 1 to Old Saybrook, and then back to The Riverwind. Lots of nice vistas, many close islands, but “not my thing.” Glad I drove along and explored, but I don’t think you need to do it. 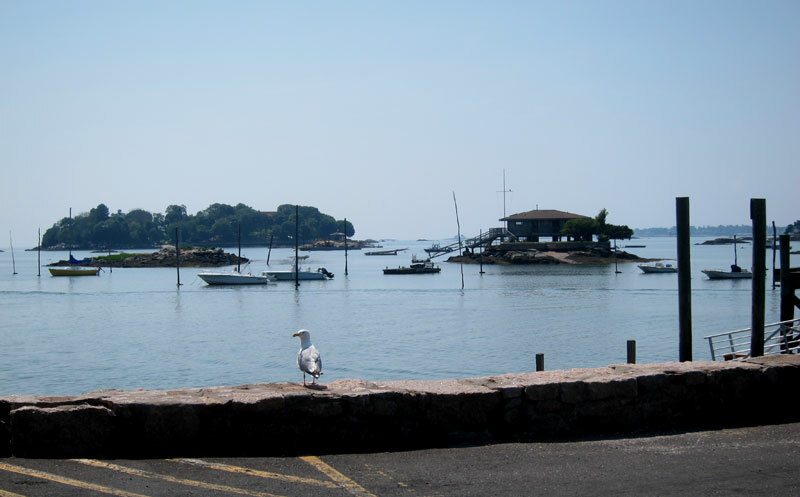 Here are the Thimble Islands. 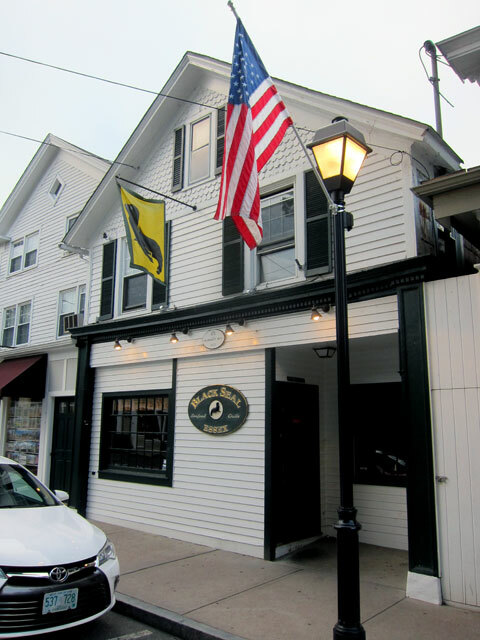 So many places to eat in the Deep River, Chester, Essex, and Ivoryton areas. I choose the BLACK SEAL in Essex. I can’t be right all the time. I do not recommend them. Poor service, and my salmon came with a flock of fruit flies that I could not completely kill off. I did not say anything to them — just to you here. And, now Thursday, the 9th. Sadly I did not get a colorful image of my breakfast at The Riverwind yesterday. 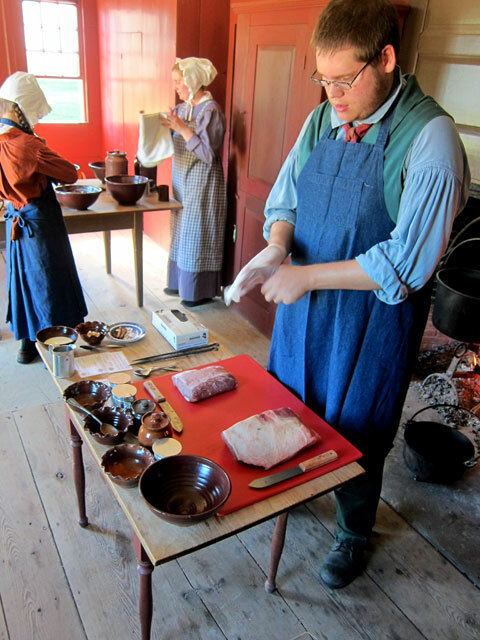 AMAZING – Mike serves everyone the same meal, opening the dining areas at 8:30. 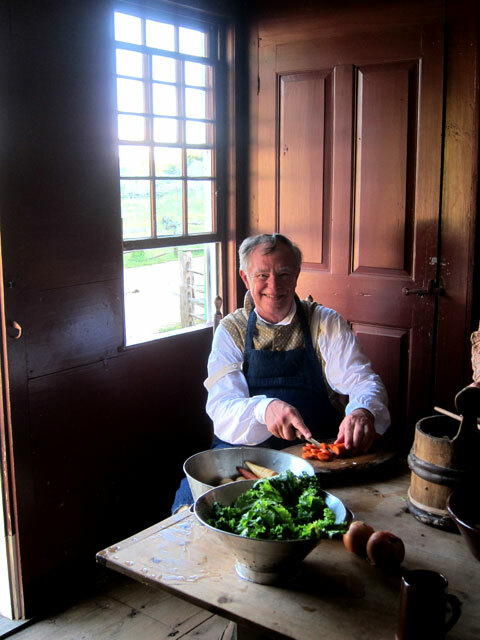 His cooking and presentations are amazing. 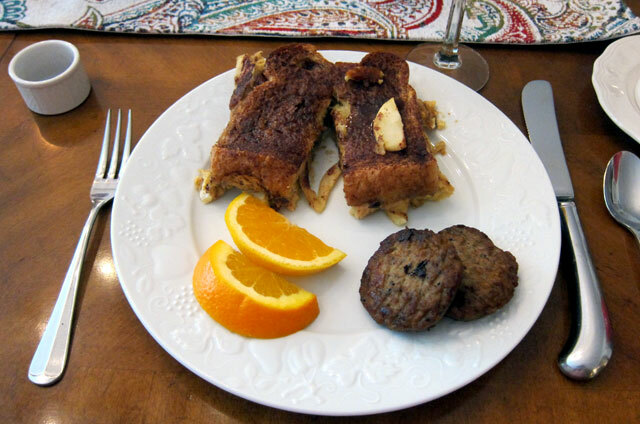 Although not as colorful as Wednesday’s breakfast, today’s “French Toast” was unbelievable. 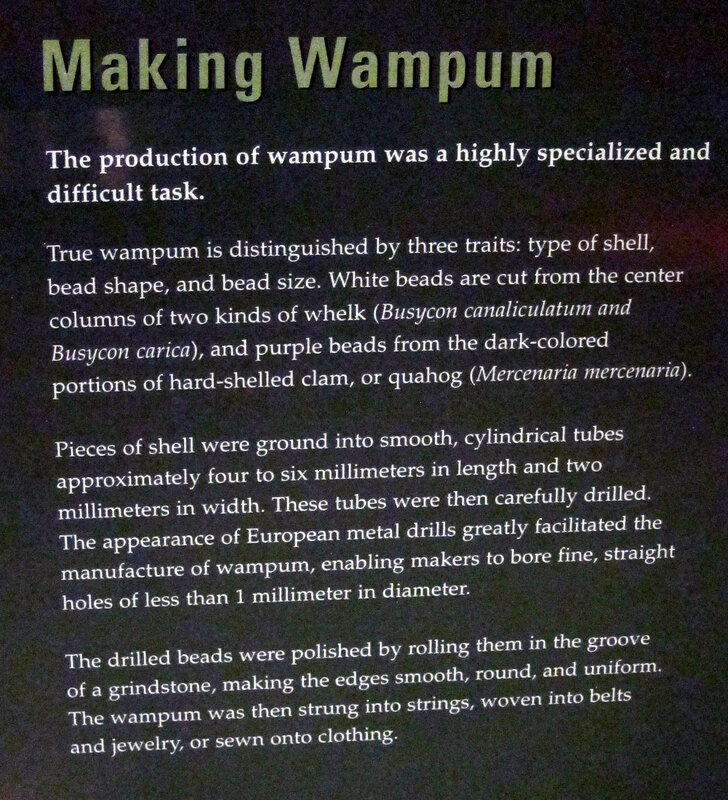 I wanted to visit the Pequot Museum – Mashantucket Peqout Museum & Research Center – but was unsure of what else to do, and what route to take home. Ends up, no problem, after over 4 1/2 hours at the museum, leaving at about 4:15 PM, I just selected the quickest route home. To get there, I back-roaded (surprised?) 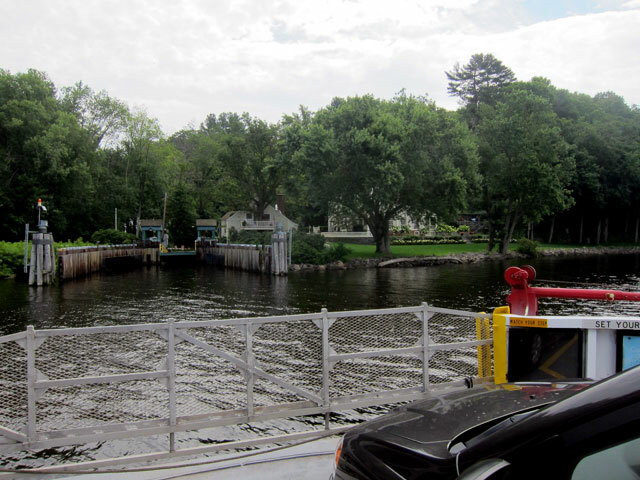 heading up to Chester on Route 154 to catch the Chester-Hadlyme ferry. I first crossed here in 1963. 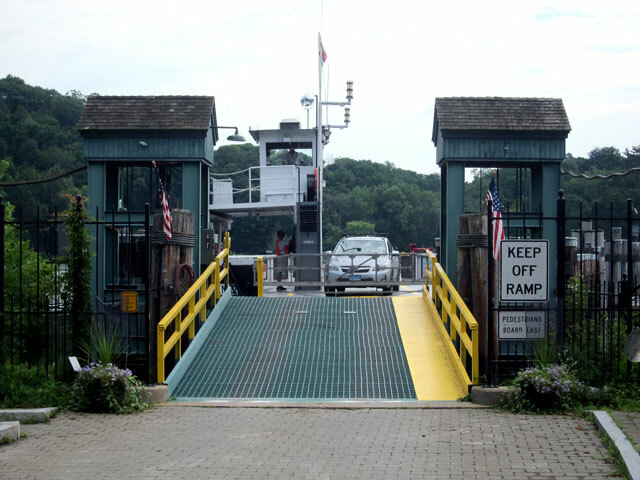 A Shunpiker “in training,” I was picking up my brother at Camp Hazen in Chester, but went further east so I could circle around and cross the river on the ferry in my mother’s 1960 Chevy Impala Convertible (of course I had the top down). 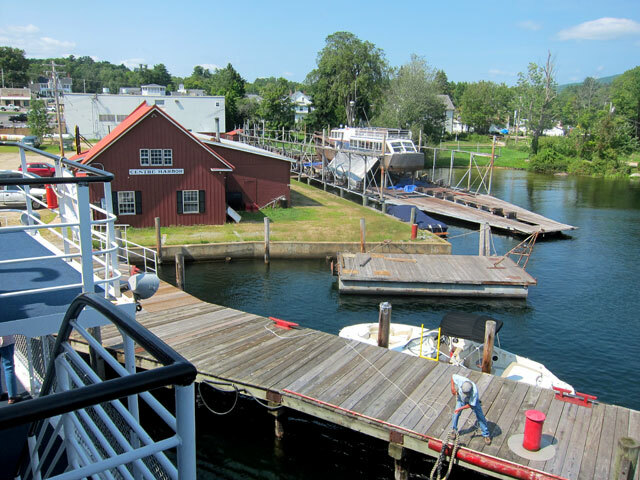 I attended Camp Hazen in 1958 and 1959, Coming from the east I had to wait for the ferry in the small village setting — You Must Experience this Spot. 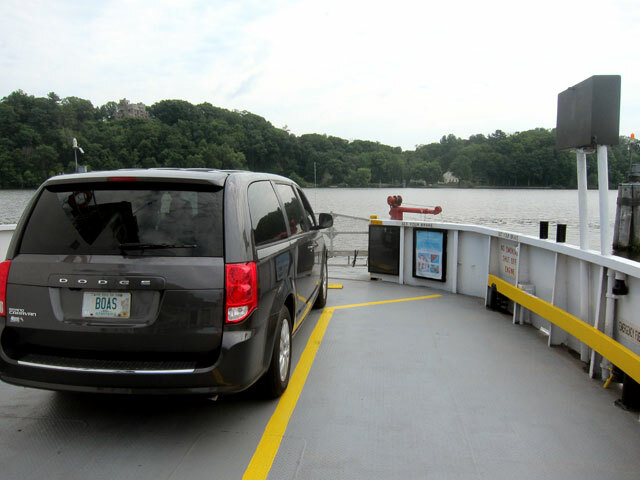 You can click on the image above for easier reading, but this is the second oldest ferry in continuous use in Connecticut – gee, I was on the oldest two days ago. Not a populous area. GiGi on her second ferry ride. 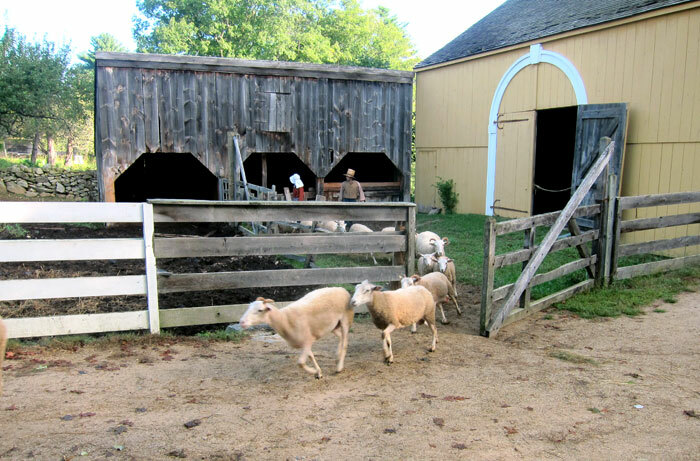 SHUNPIKING ALERT — Travel Connecticut Route 82 from the river to the end of Route 11 – bucolic, and like being home in New Hampshire. I stopped at the Connecticut casinos in February, 2017. I wanted to experience them, and do not have to return. The museum was closed that day. 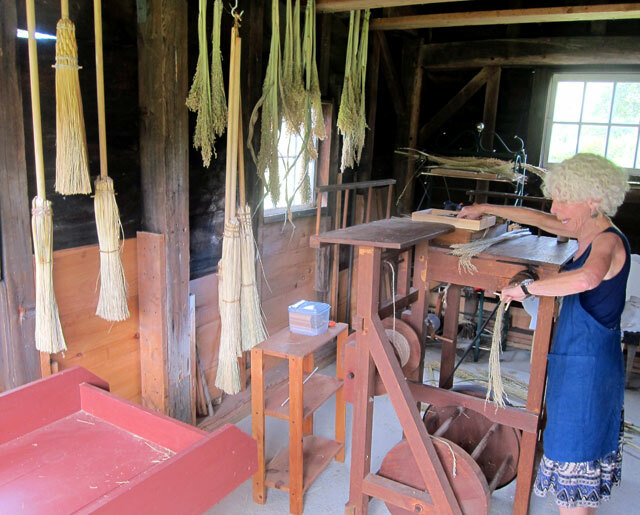 RAY RECOMMENDS – VISIT Mashantucket Peqout Museum & Research Center, and plan on spending the better part of a day – you will not be disappointed. 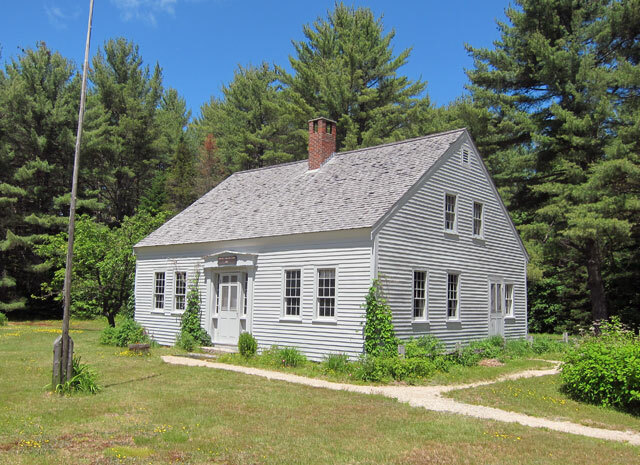 Since living in New Hampshire I have been able to get a better comprehension on the American Revolution in this area (not much has changed), and recently been getting a better understanding of the French and Indian Wars. 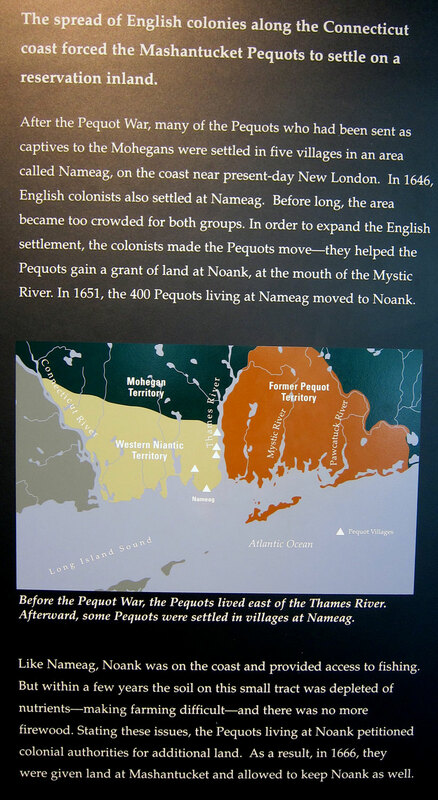 And, now learning about the geology and formation of the Connecticut Valley, I was exposed to the Pequot War in 1636-1638, and needed to learn more. 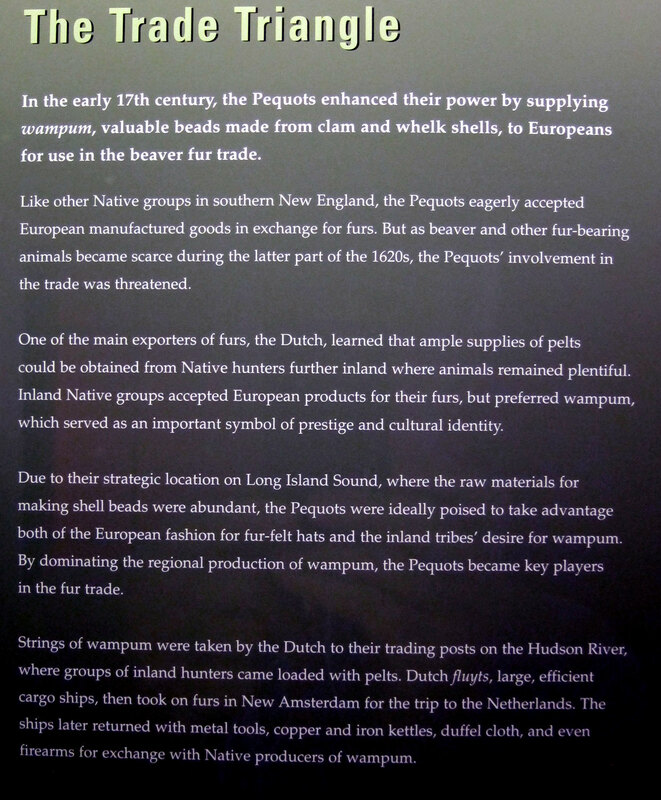 The museum is wonderful, and met my information needs on the Pequot War and so much more. Hopefully it does the same for others. Three nice criticisms, that cannot be changed, but be forewarned. Parking is not convenient, but a small hike. 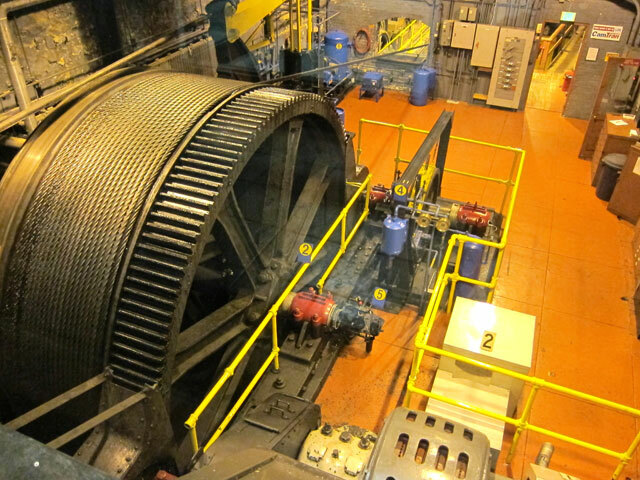 Although the museum is logically laid out, it is not easy to backtrack since elevators and stairs do not connect the correct spots and are poorly marked. And, at least I could get some sustenance to survive, just expensive, small, and nothing exceptional. But still, please go. 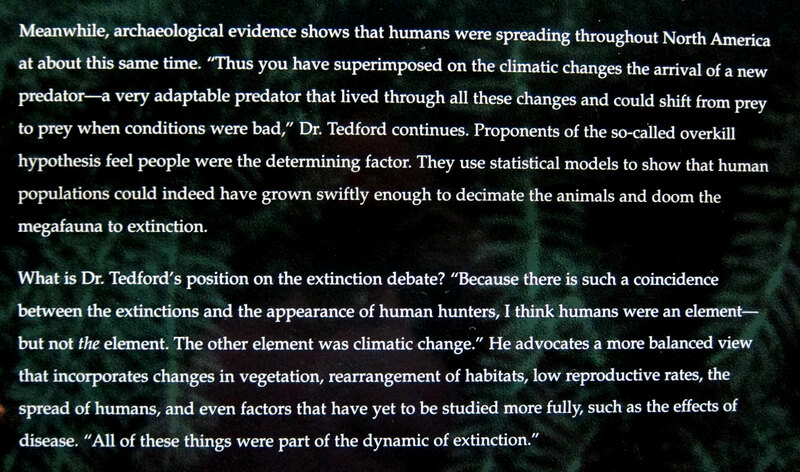 So, since you promise to get there, I have decided to share some panels of information that really helped me learn some things (you can click to enlarge for easier reading, or just ignore – I will never know). 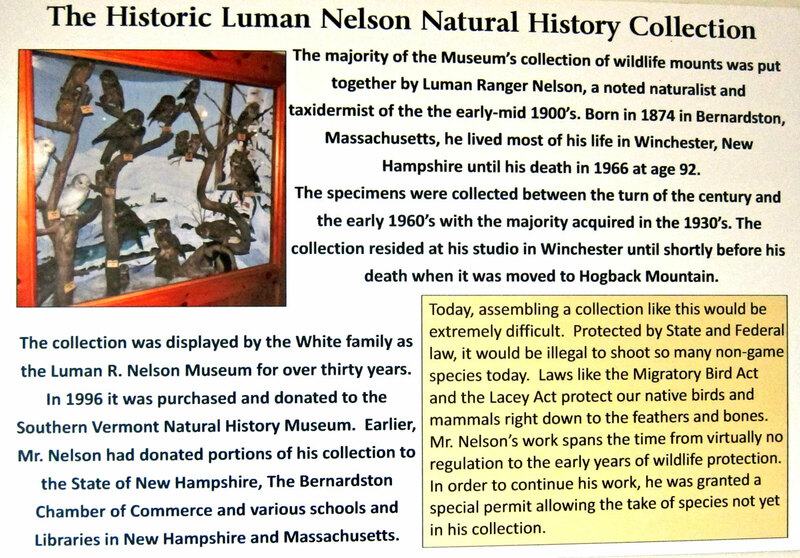 The museum is logically starting with the ice ages, and then arrival of the first peoples in New England. 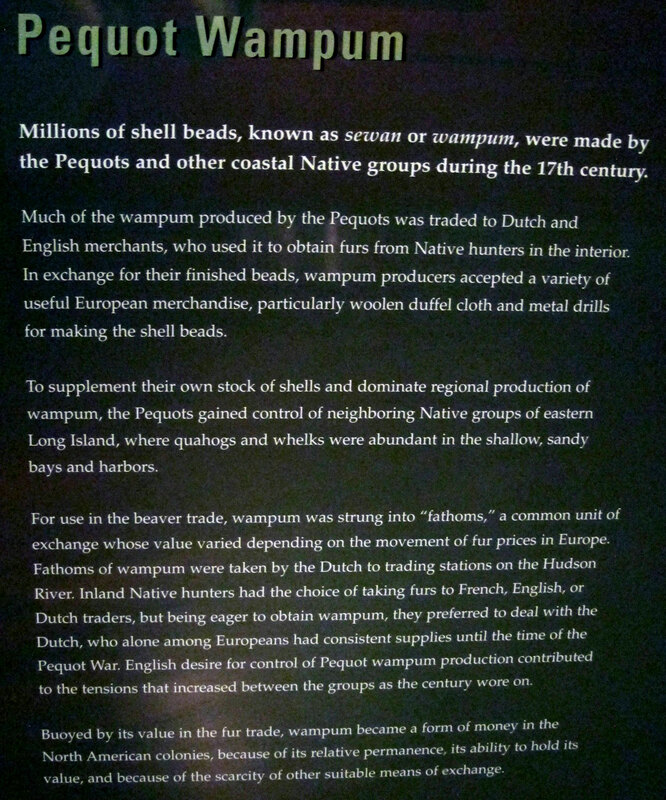 You learn about the different tribes, arrival of Europeans and the trade cycle, and then the events leading to the Pequot War (see the movie – THE WITNESS at the museum). 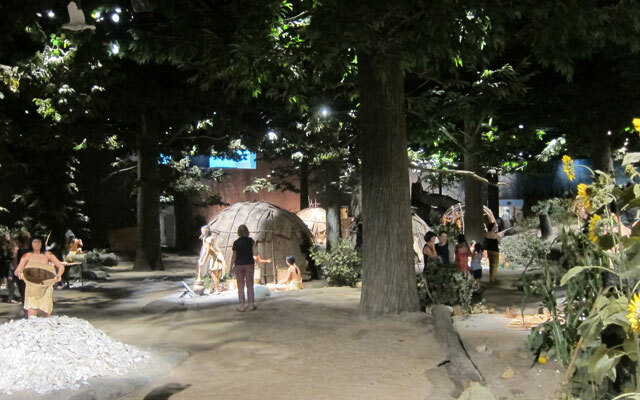 There is a recreation of a Pequot Village that I should have spent more time in. 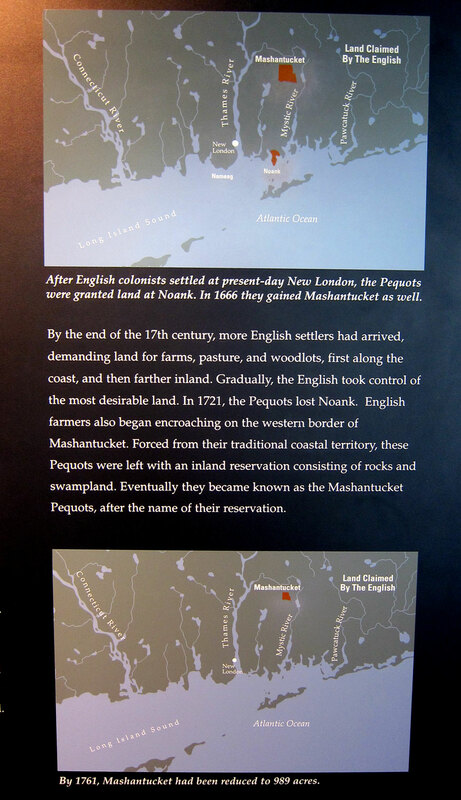 But most disheartening, and leading to the establishment of the museum after almost 350 years of mistreatment, is what followed the Pequot War. 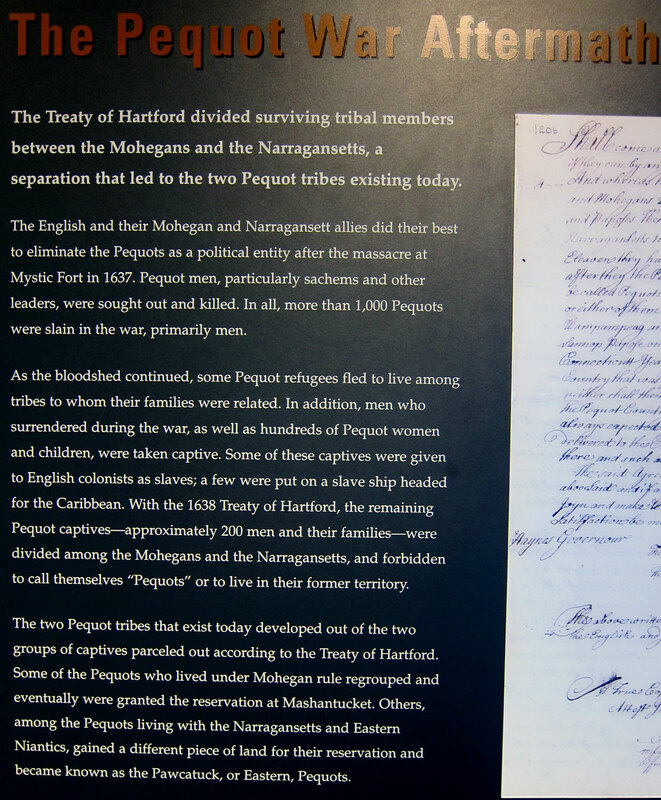 Those Native Americans were essentially to be forgotten, and written out of history. I am a native of Connecticut, but am now embarrassed as to what my home state did. 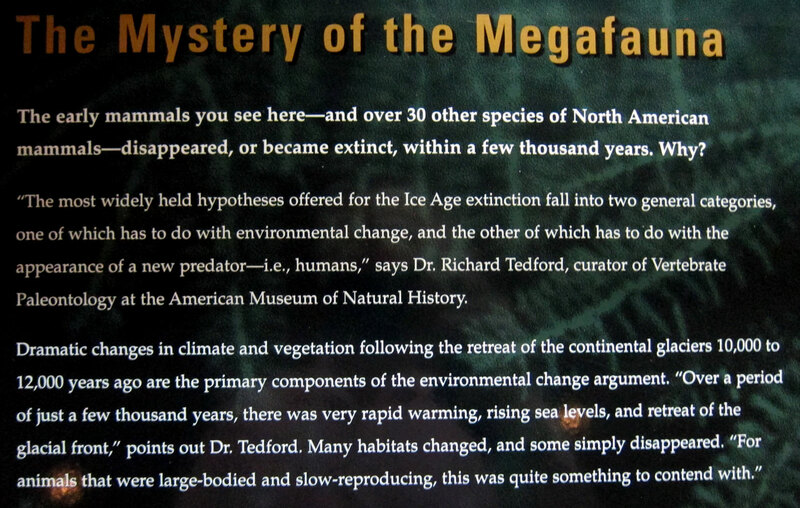 I decided not to overwhelm you with the panels I took pictures of, but here is an extremely brief synopsis. Mistreatment persisted, and in 1855 the State sold off most of the Reservation Lands. Just a handful of hold-outs remained into the 20th century, and were wards of the State Welfare system. 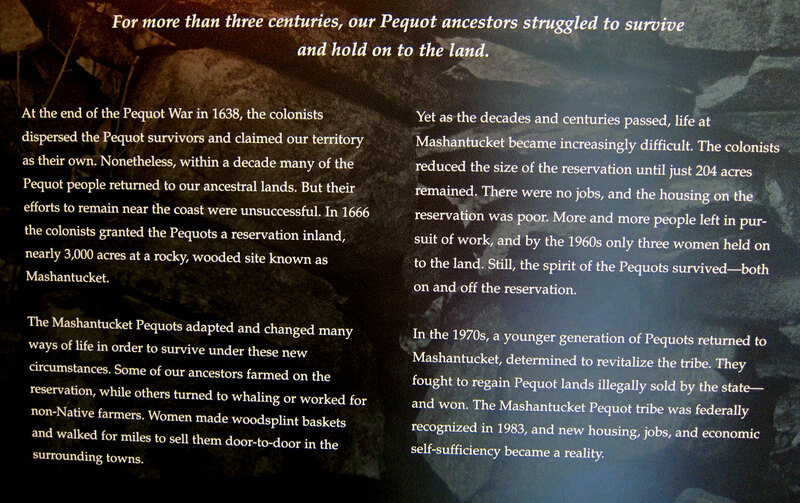 In the 1970s Pequot youth began returning to the barely 200 acres to keep their heritage from disappearing. They wanted their lands back, and it was discovered that George Washington in signing a document setting aside lands for Native Americans prohibited sales of those lands by states (hope I have it right – the concept is correct – I am good with concepts more so than details). 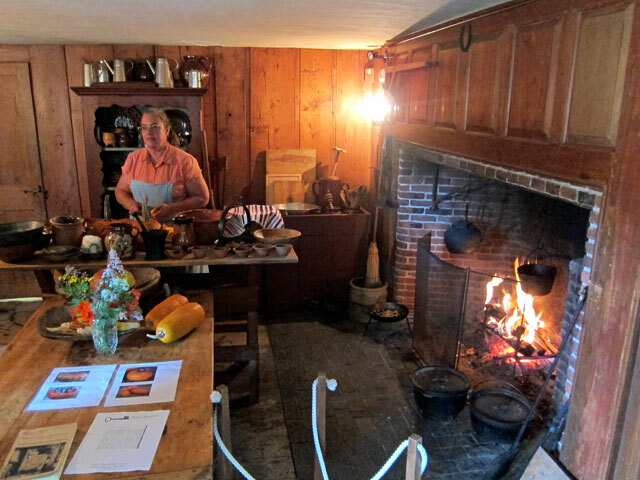 In the courts, working its way to the Federal Government, and Reagan finally signed the paperwork declaring George Washington’s proclamation also applied to Eastern Tribes, and Connecticut was wrong. 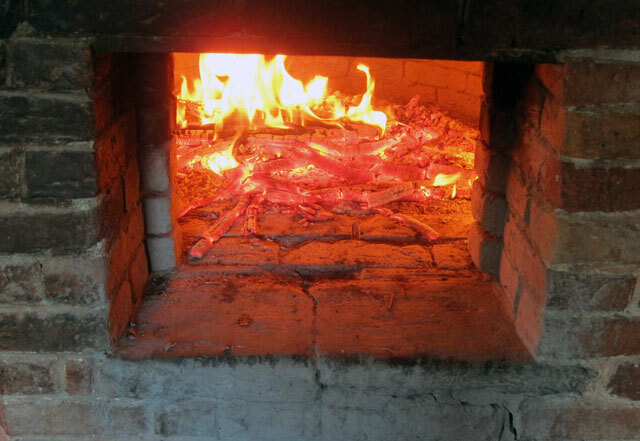 With the Tribe winning and getting reimbursement, they first invested in a pizza franchise, and carefully reinvested funds, saving their heritage, and presenting their story in the Museum. I now have a much better understanding – well, finally have an understanding, and could visit again to solidify my understanding. 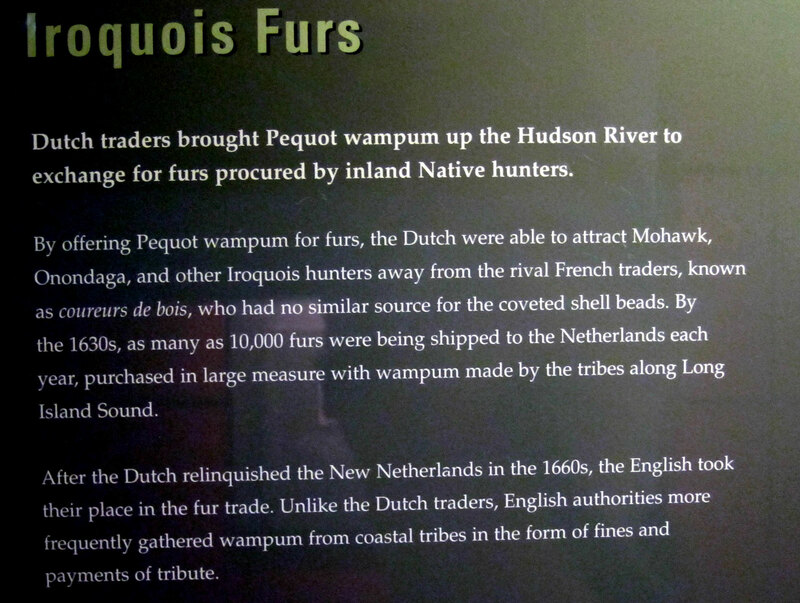 I said it before – RAY RECOMMENDS – Visit the Pequot Museum adjoining FOXWOODS. 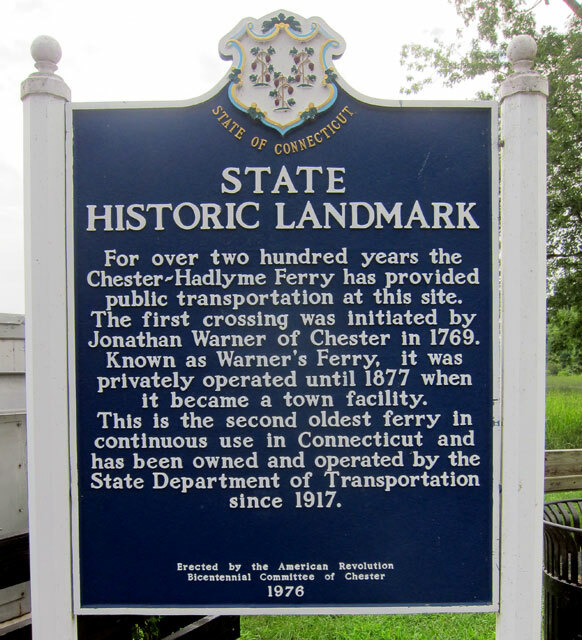 I then hopped on Connecticut Route 2, joining up with I-84 for a short hop to I-91 North, and home. Addition – August 12 – so I can remember these other places to visit, I told my friend who sent me his memories that I would post here to help in planning my next trip, and for you to plan to do also. I think I now know why cars are so precious to us — they carry us to memories, and we make nice associations.